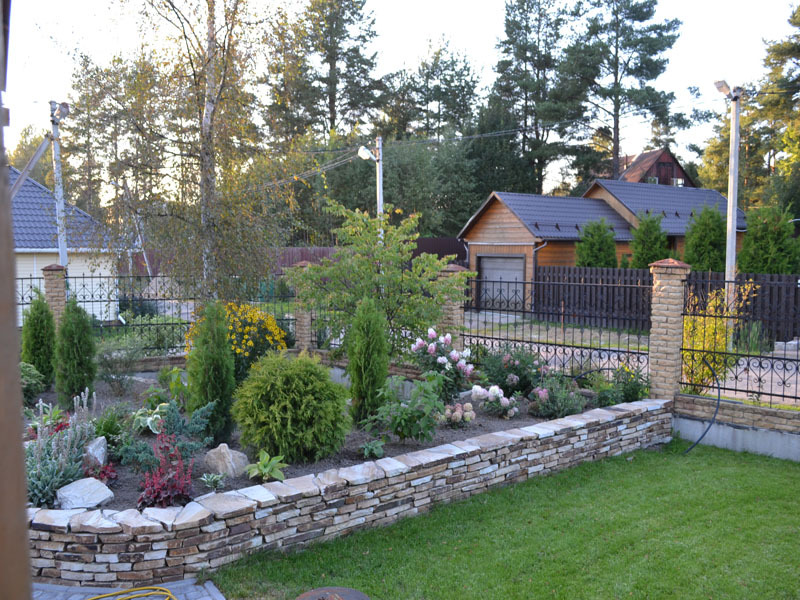 Record under the year 1473 in the Pskov annals: "... and a hedge of stone hedge and planted with apple trees"
In the 16th century, Gills Fletcher noted that "Of fruits, apples, pears, plums, cherries, red and black (however, the latter grow without vaccination), a melon that looks like a pumpkin, but sweeter and more pleasant than taste, cucumbers, watermelons, raspberries ... and many other berries in each garden , while melons were planted "with special care and diligence: the soil mixed with manure is poured into special kind of beds, rather high, and seeds are buried in them, in this way they are equally protected from heat and from cold". 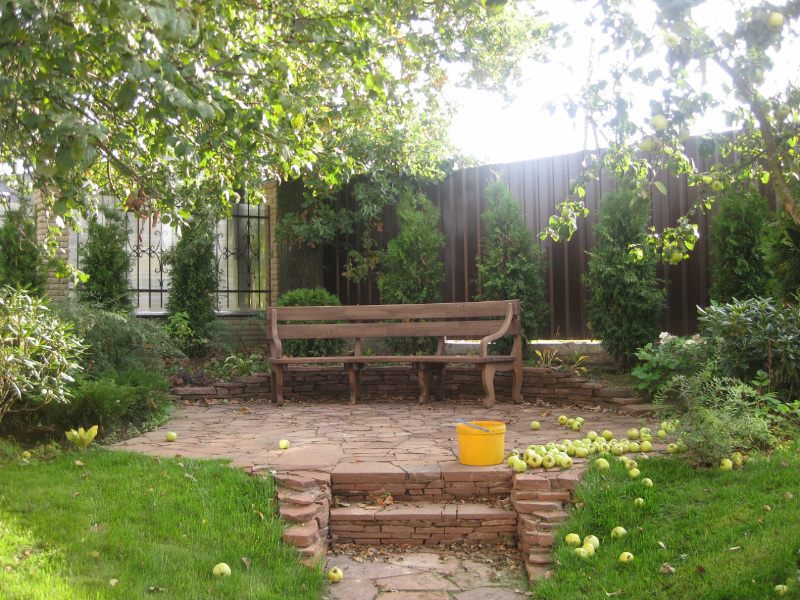 Nearly a hundred years later, Peter the Great wrote: "Some people think and write that in Russia neither fruit trees nor greenery grow: they are grossly mistaken and are in error, because not only are various trees planted there, but seeds are also sown, so that it is easier to get fruits in Russia than in another place, such as apples, plums, cherries, small plums, gooseberries, currants, melons, carrots, beets, parsley, horseradish, radish, radish, pumpkin, cucumber, gray and white cabbage, onion, garlic, sage, marigold, various flowers of violets, myrrh, carnation, hyssop, marjoram, thyme, basil, pepper and other s like fruits, which do not consider it necessary to tell here". 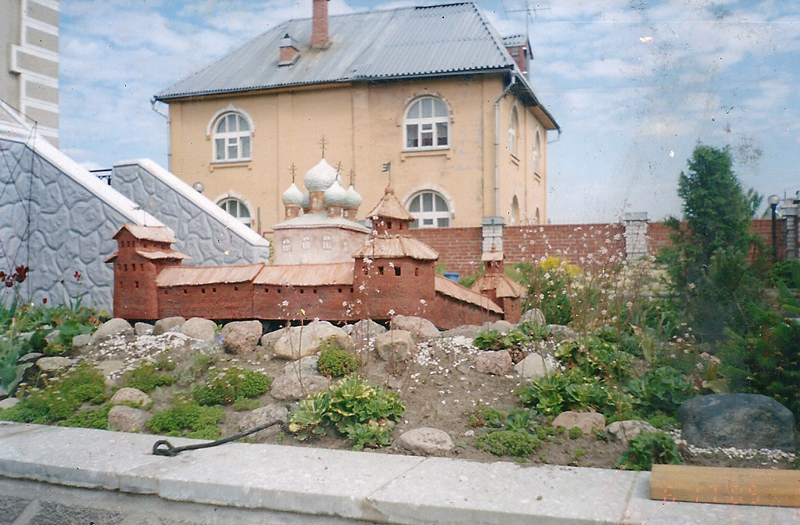 Since the beginning of the XVII century became the capital of the Russian city of St.Petersburg, founded by Peter the Great . 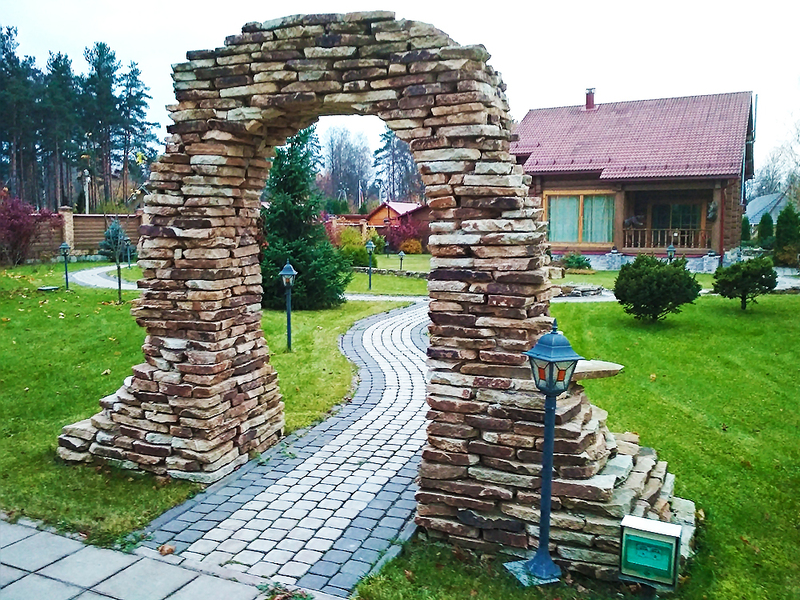 He founded a unique city, all built by single architectural plan. 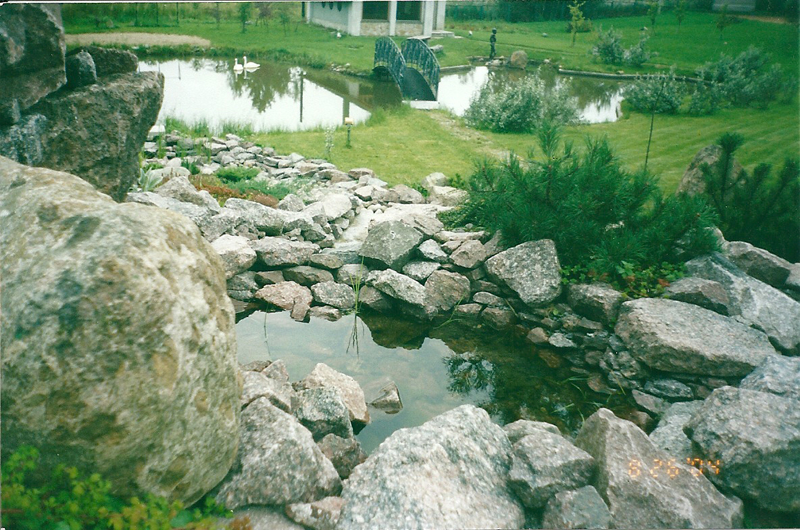 The city itself It is a great work of landscape architecture. 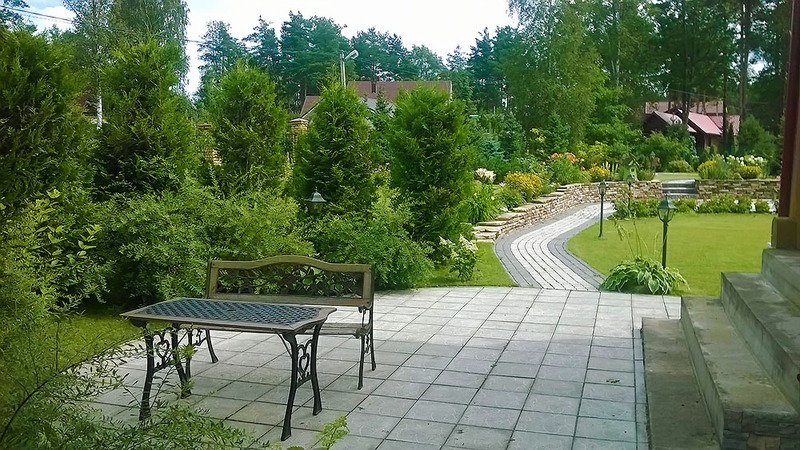 In 1704 the city was founded Europe's first public park – Summer garden . 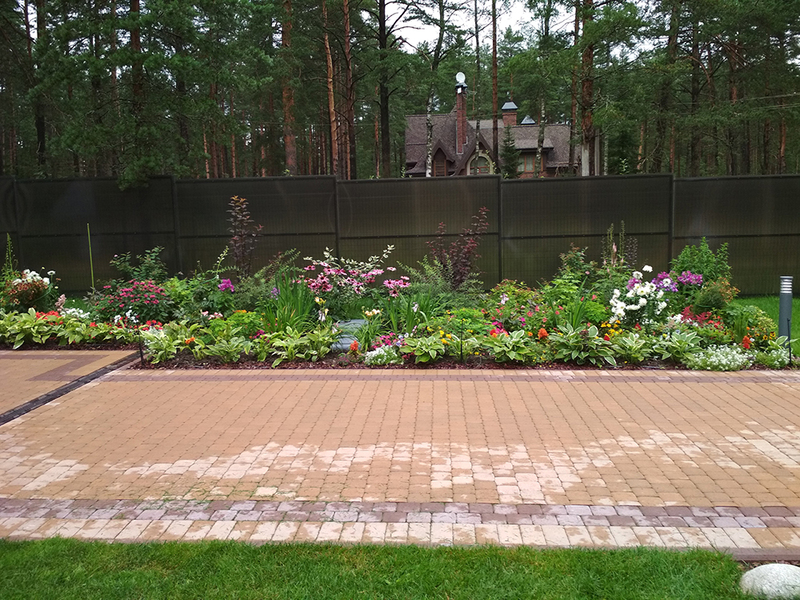 In the vicinity of St. Petersburg are located in the most luxurious Russian imperial residence of Peter and his successors: Peterhof, Tsarskoye Selo, Pavlovsk . 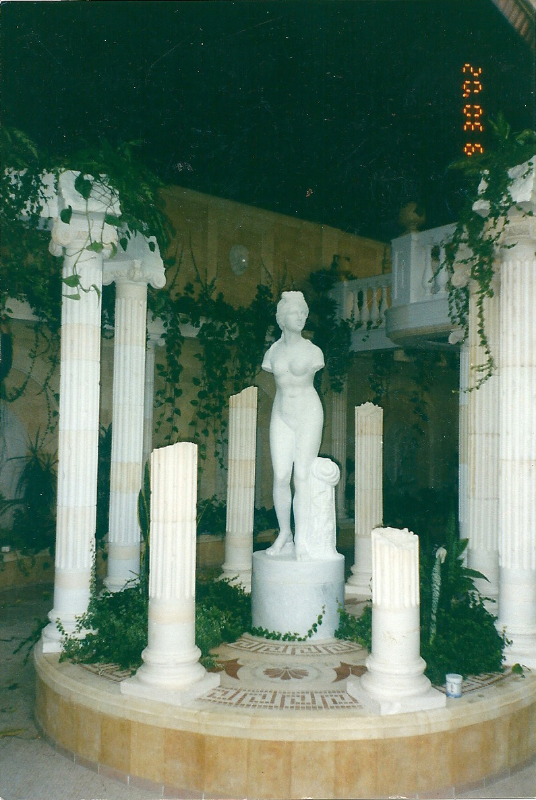 They are well preserved to this day, and attract many tourists from all over the world. 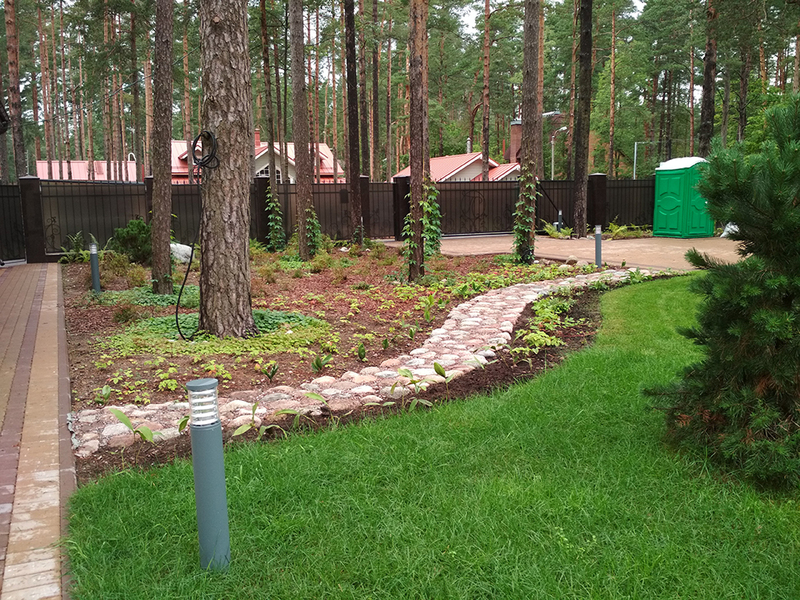 Peterhof is designed in a regular-style . 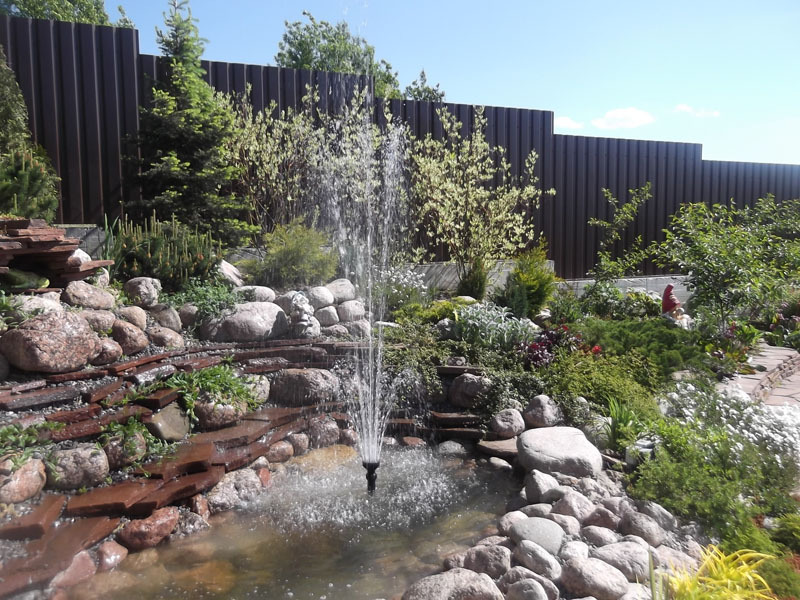 The park has more than 150 different fountains. 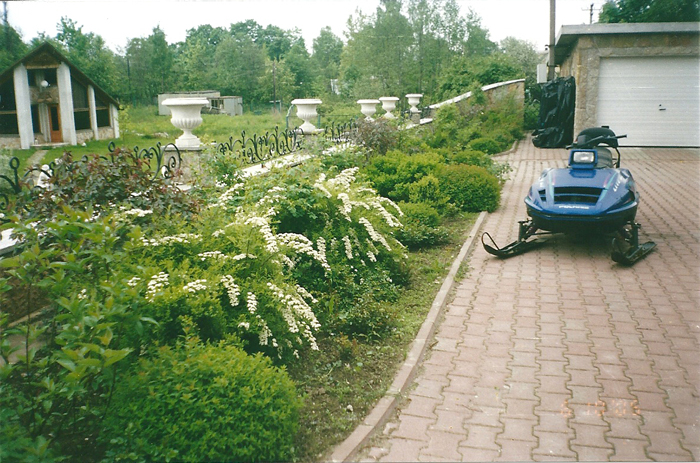 Park in Pushkin, too, was a regular, but later partly transformed into a paysage . 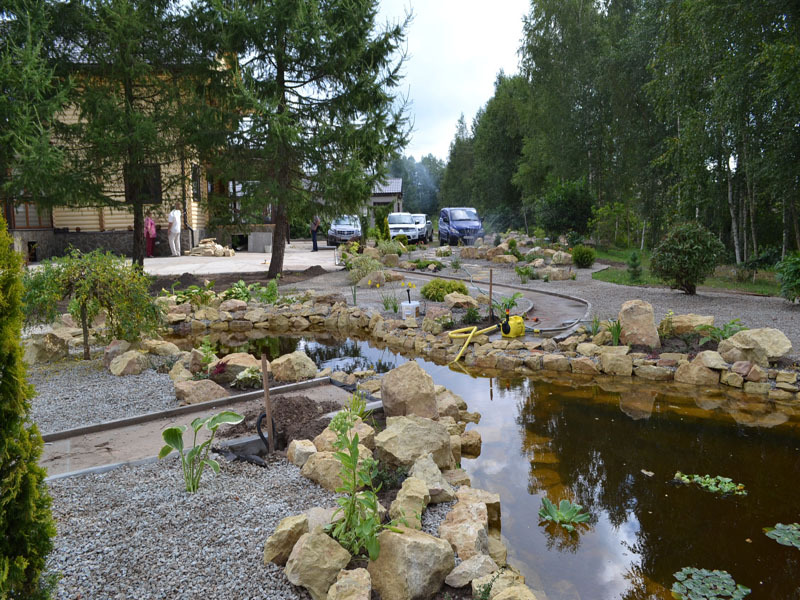 In Pavlovsk immediately created a landscape park. 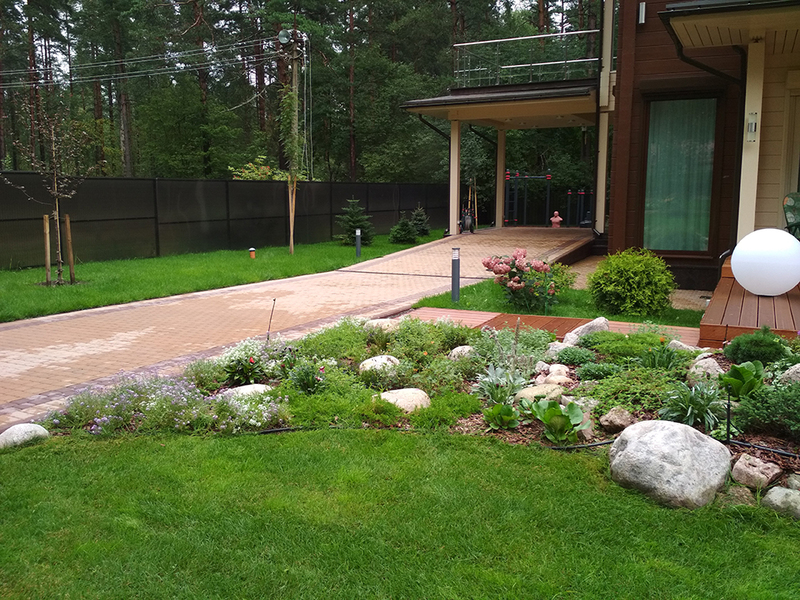 The climate in Russia is very different from the European. 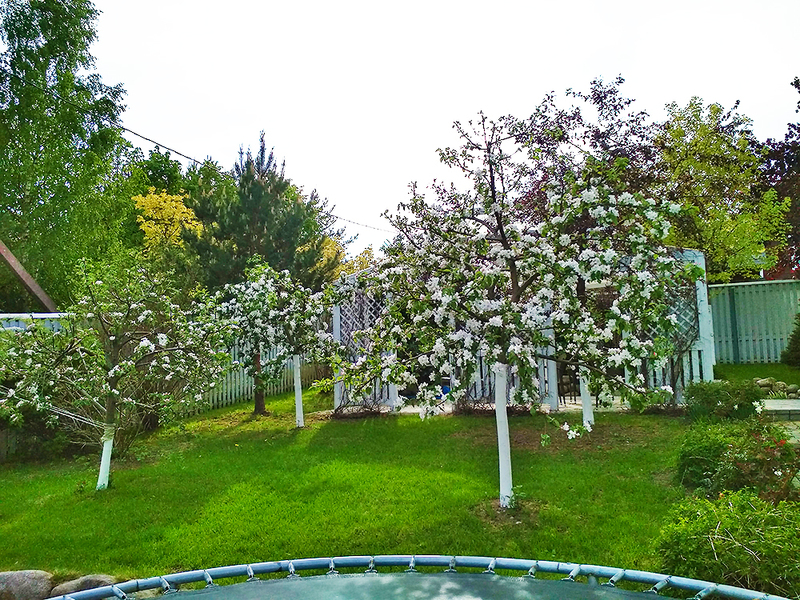 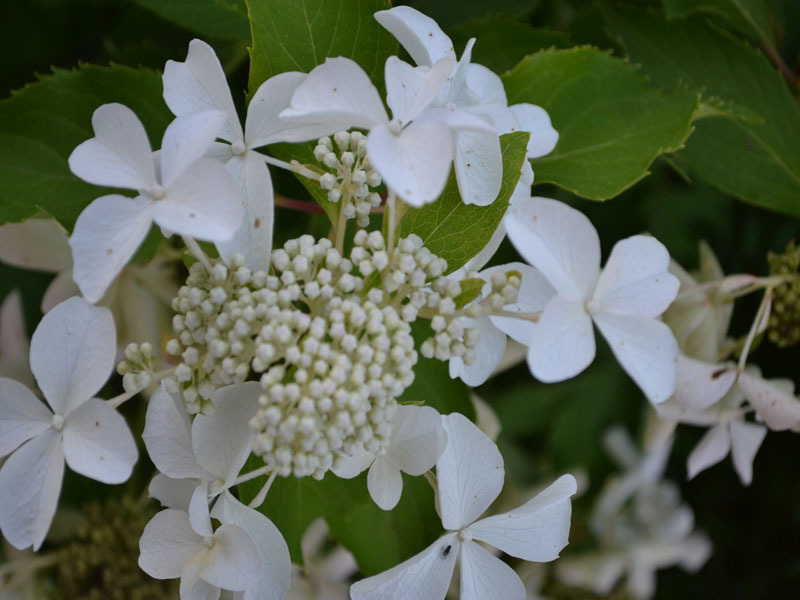 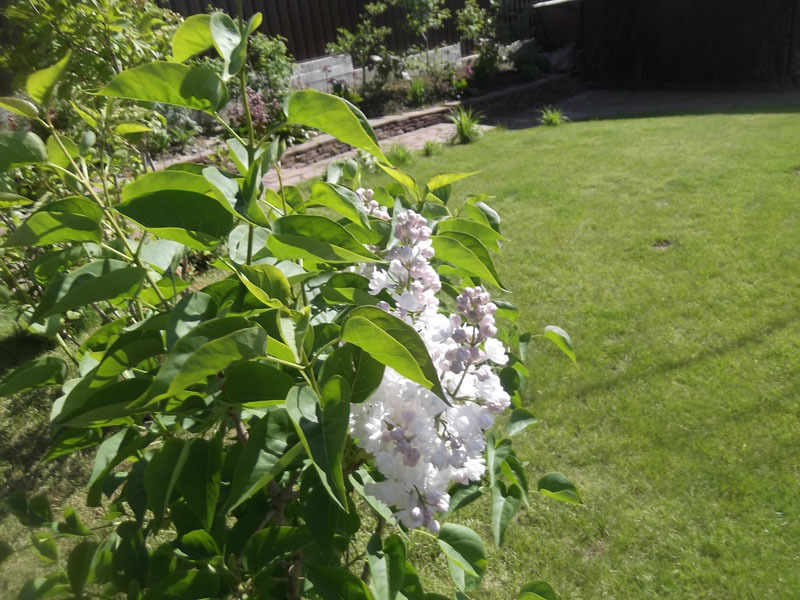 We have a fairly short summers and long snowy winter. 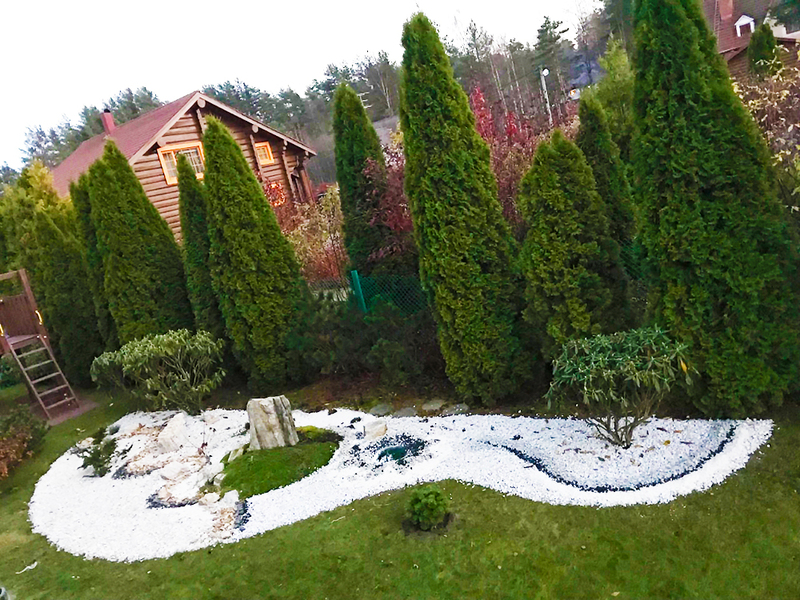 Therefore, we have winter fun: riding a roller coaster on skating on frozen ponds, swimming in the hole, the construction of ice houses, creating ice sculptures. 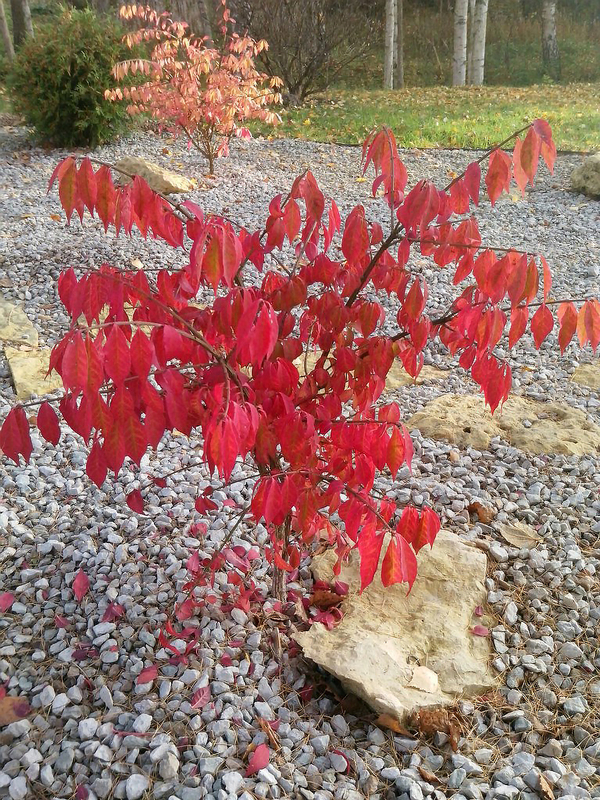 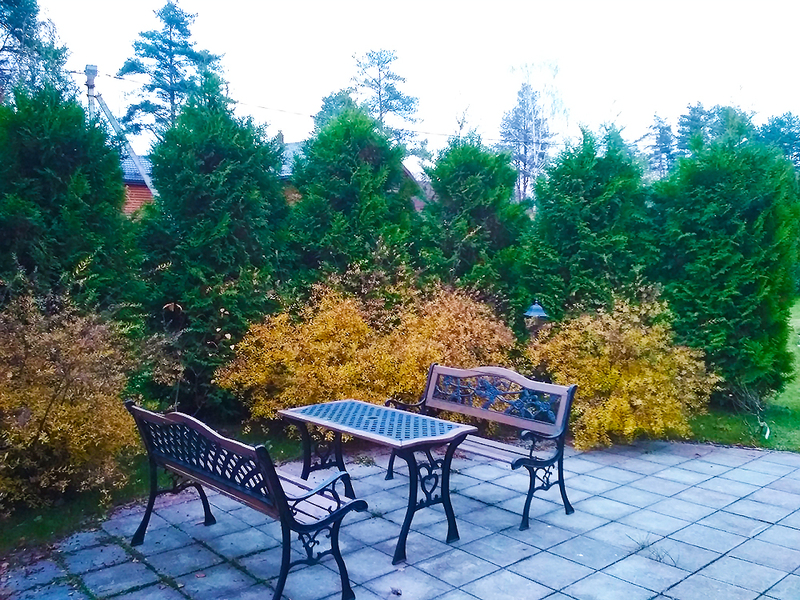 Because of the long winter has always been held in high esteem bright colors - clothing, architecture, gardens. 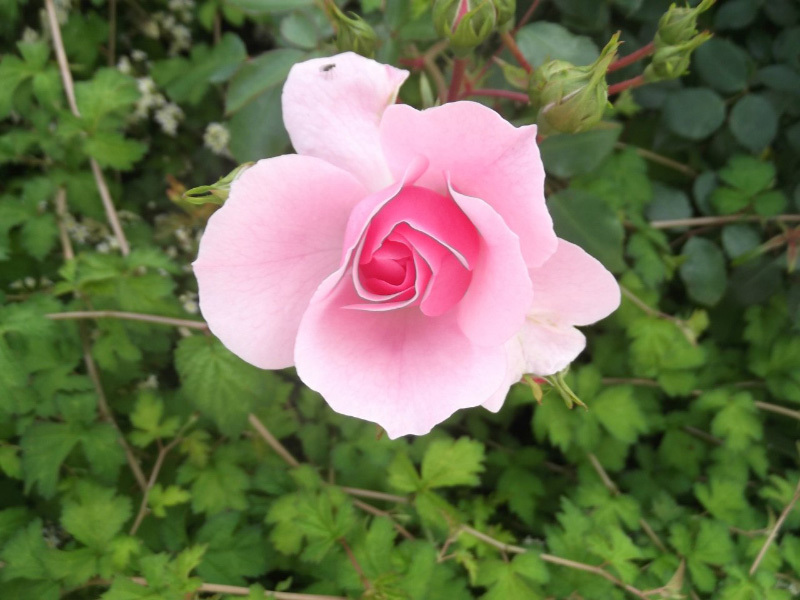 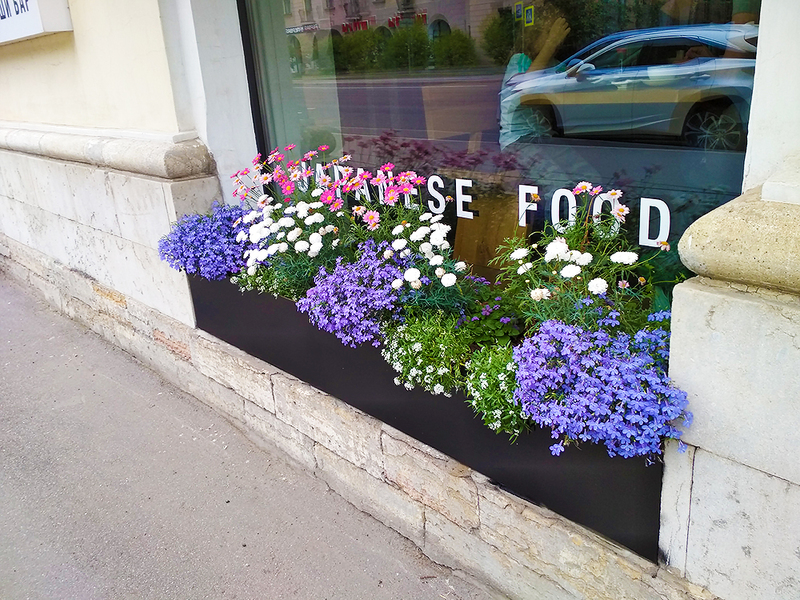 This is evident today - our people very fond of decorating gardens with flowers. 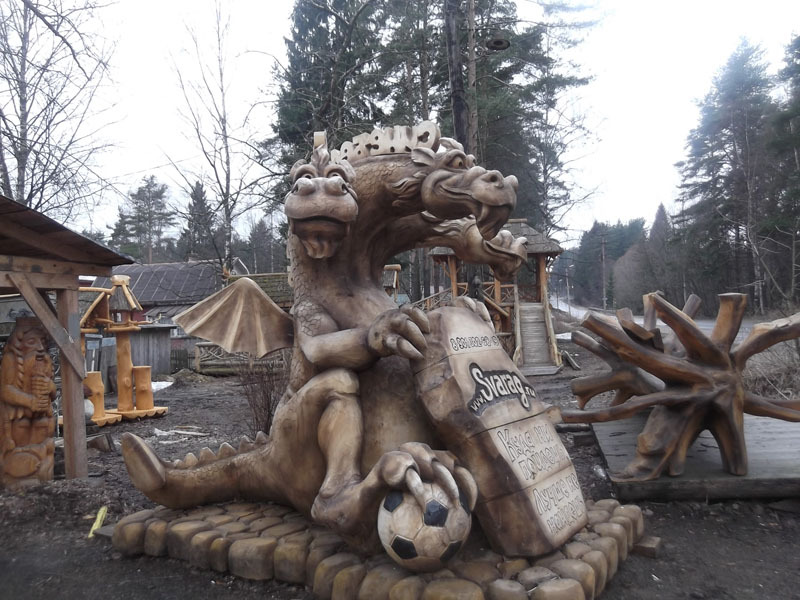 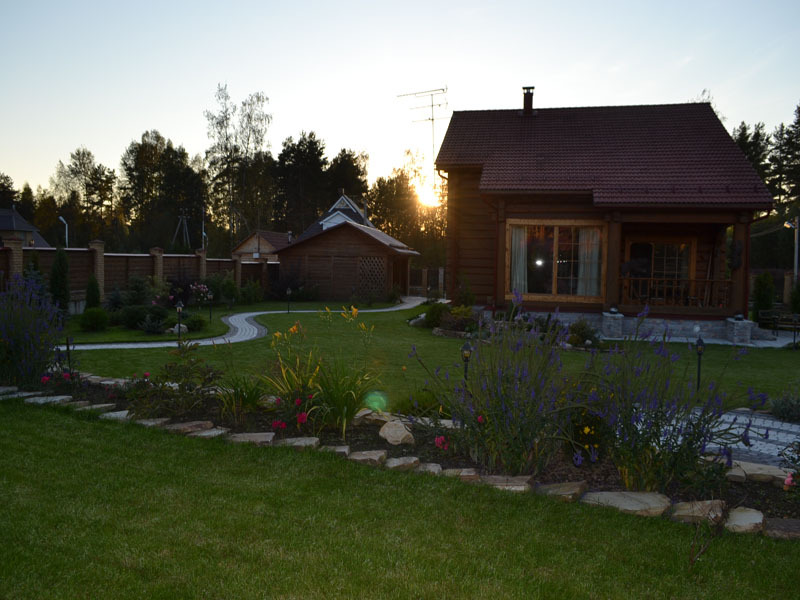 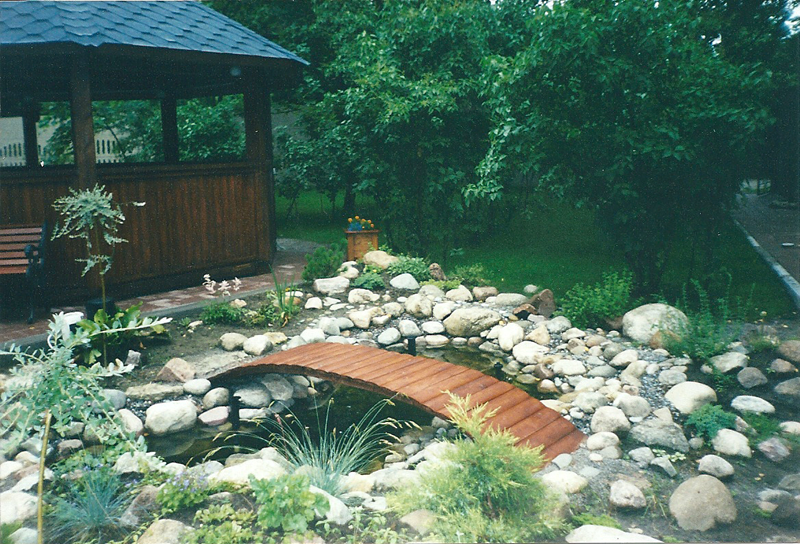 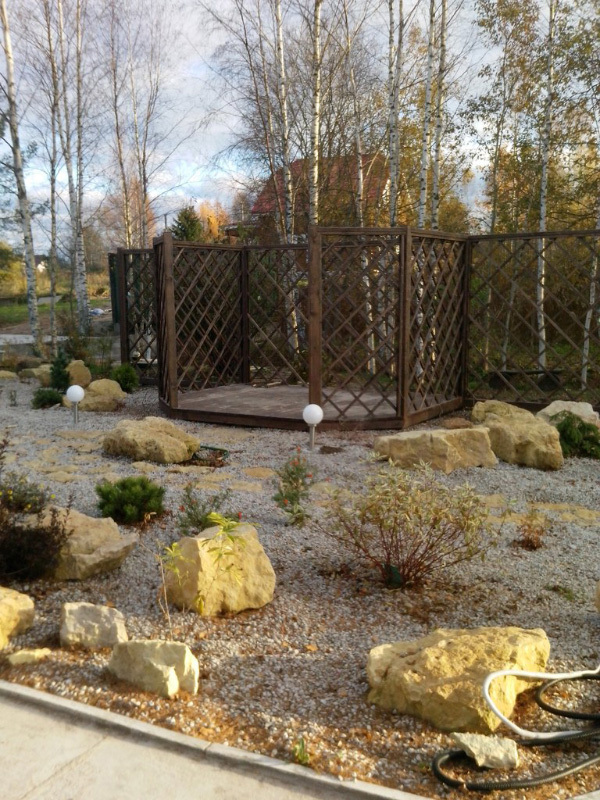 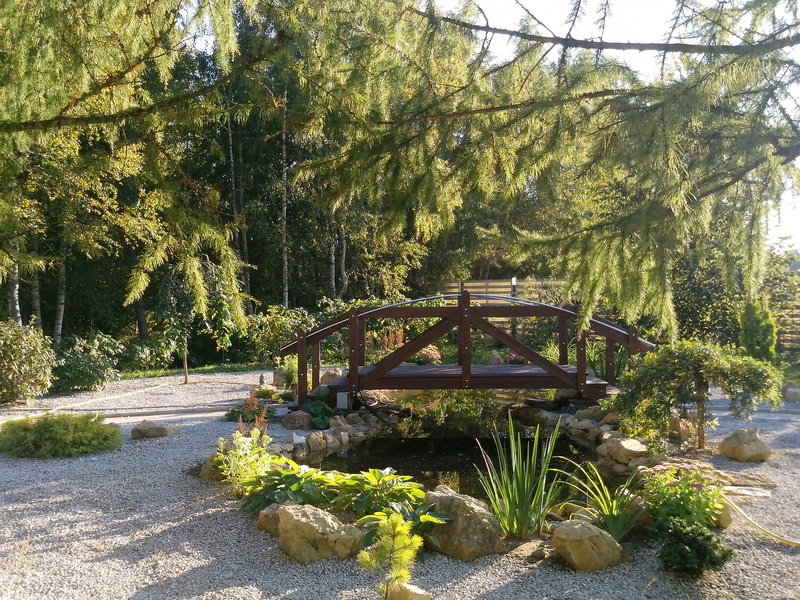 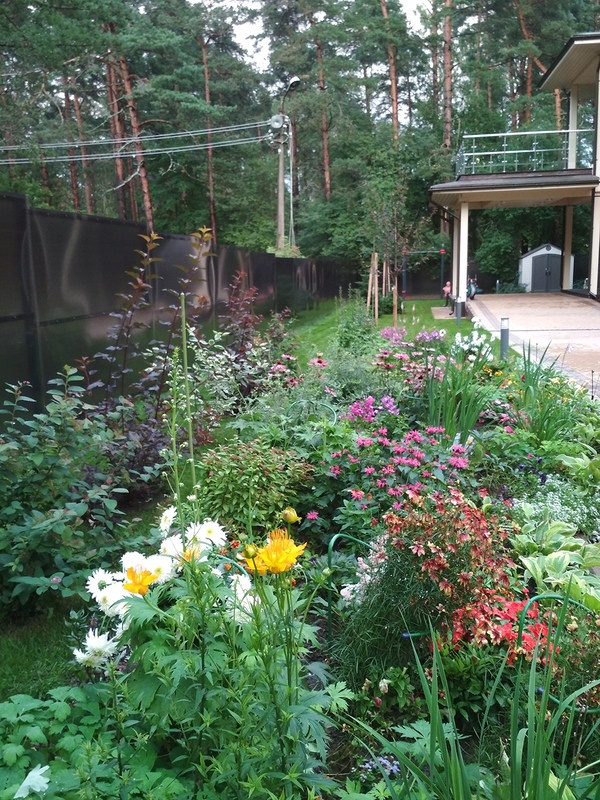 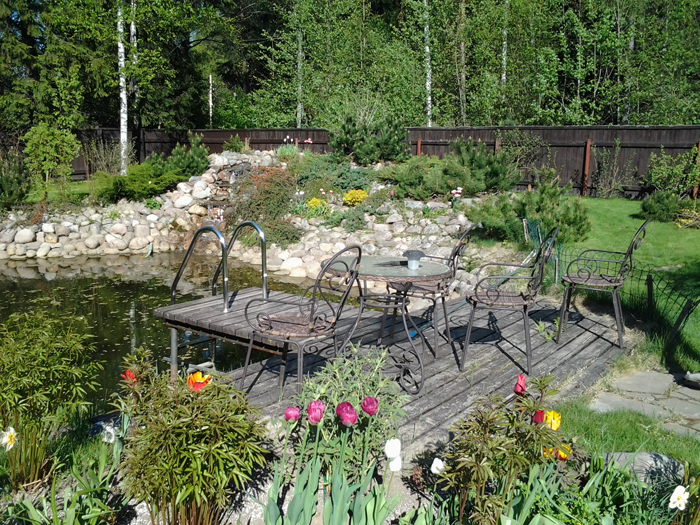 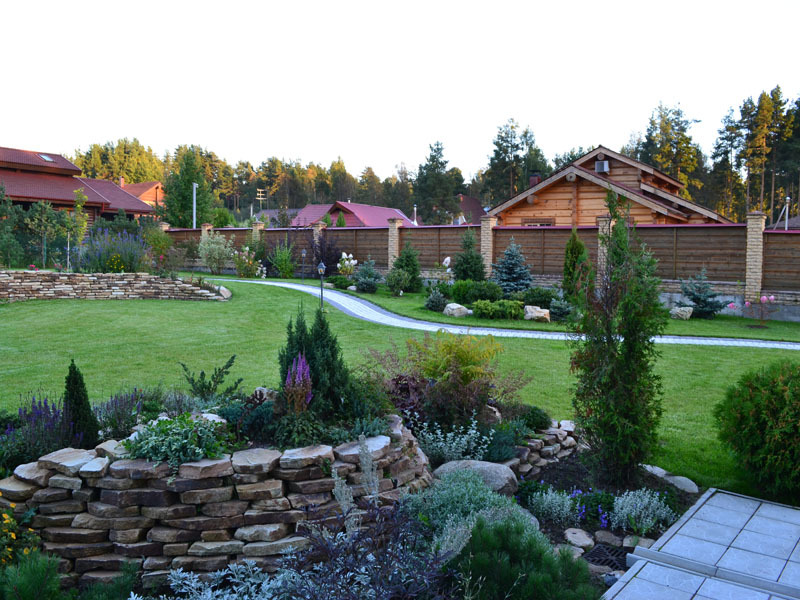 A special place in Russian life and Russian sauna garden covers баня . 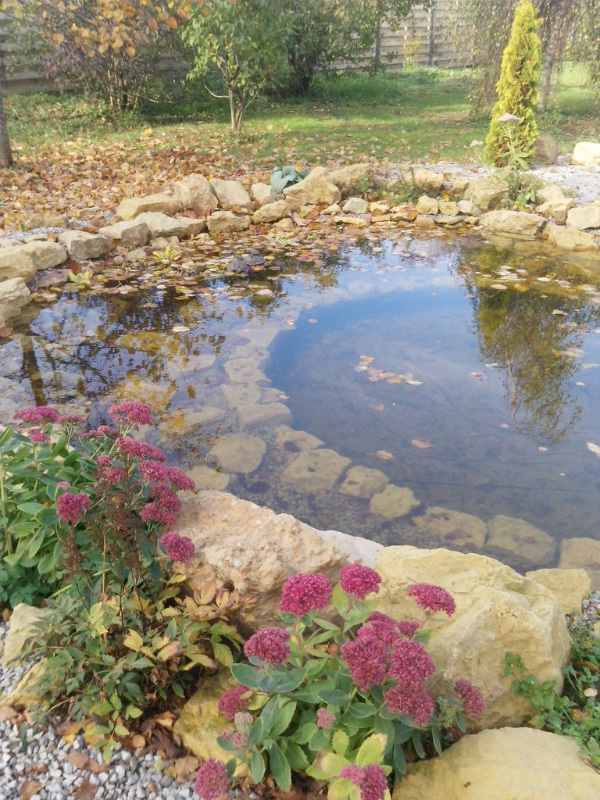 In the bath and went to the princes and the common people. 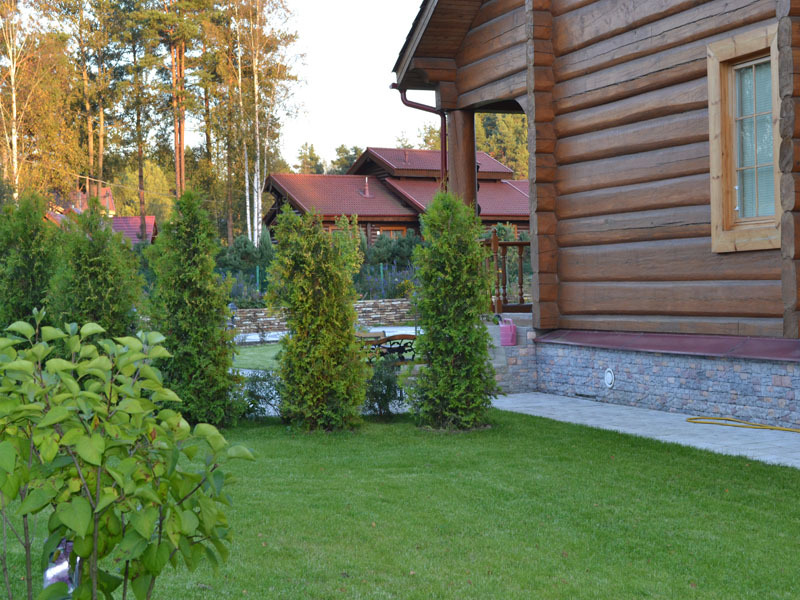 Sauna purifies not only the body but also the soul, heal disease. 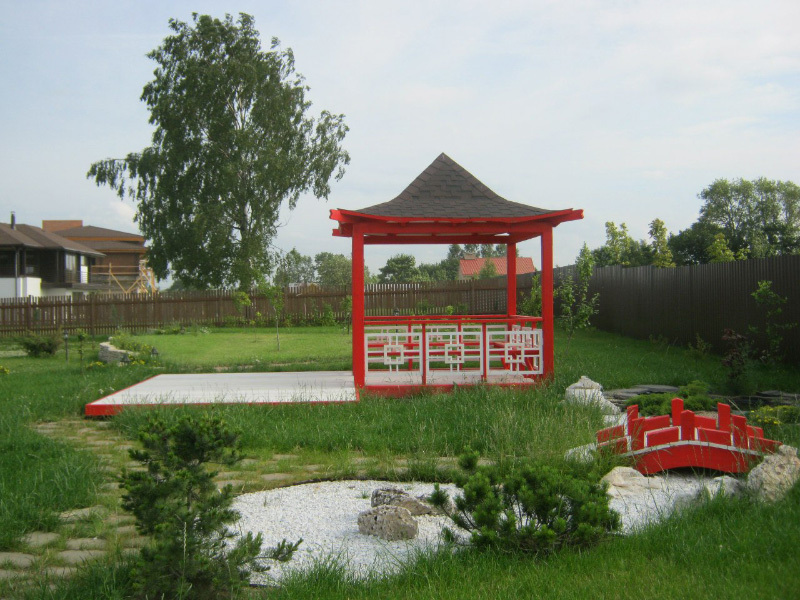 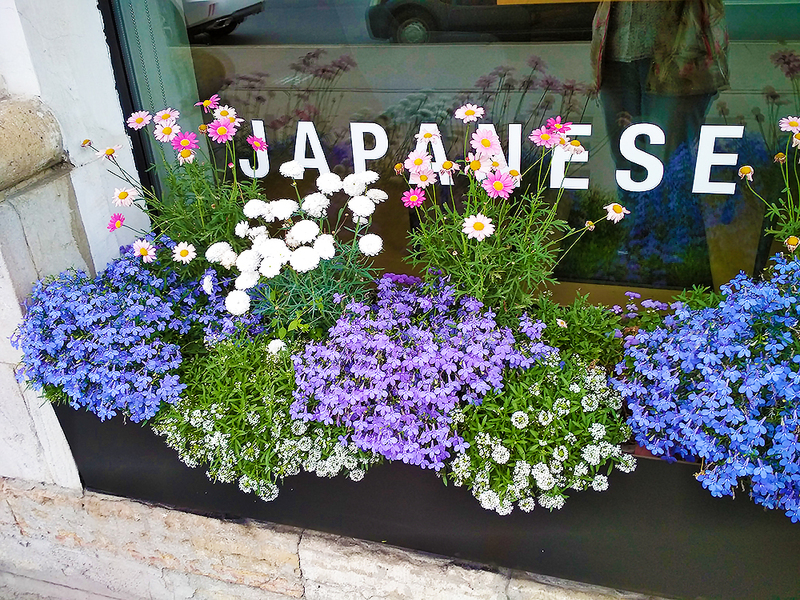 This tradition has been preserved and now - almost every owner of a plot of land to build bathhouse. 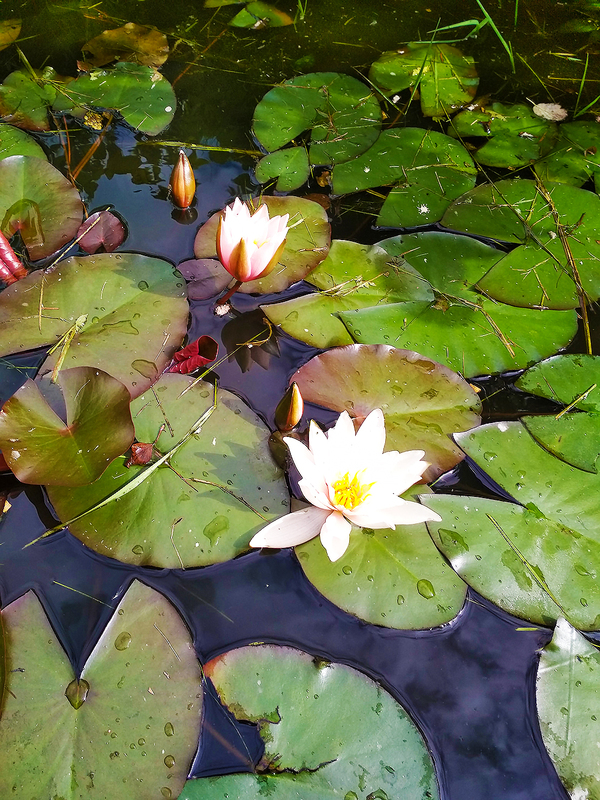 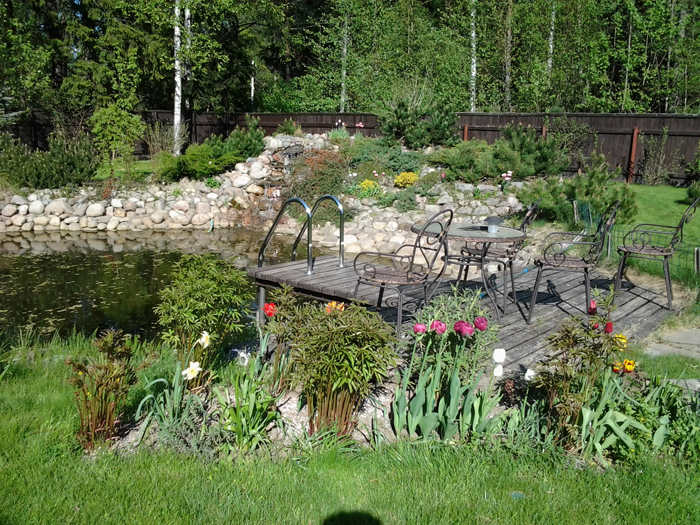 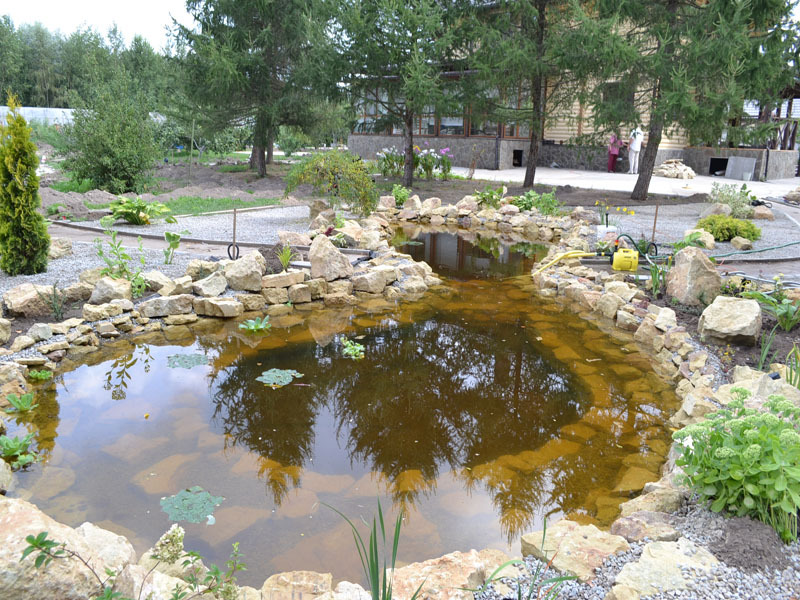 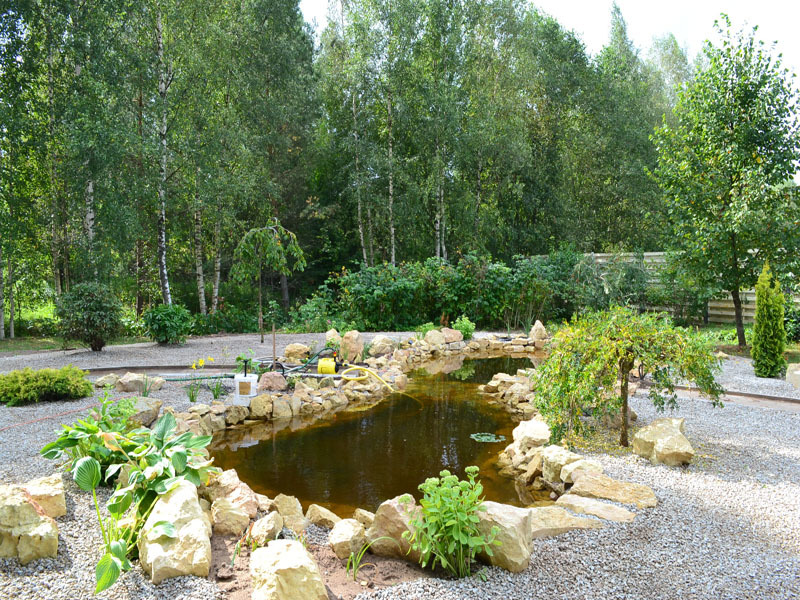 If space allows, then it arranged пруд, a pond where you can swim after a bath. 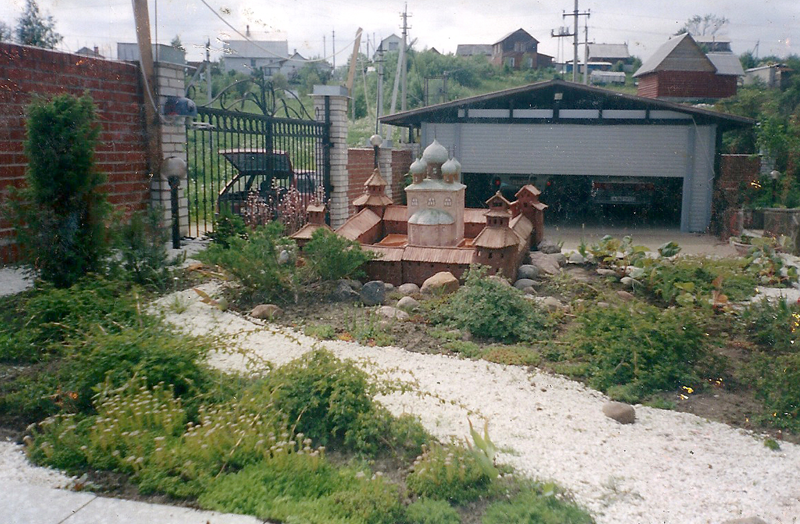 The tradition of bathing in Russia, too, ancient. 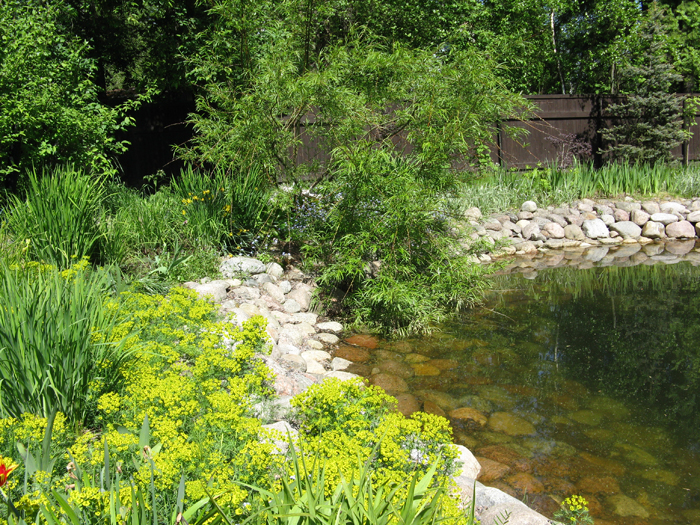 Previously, on the banks of rivers and lakes provide special arbors-baths. 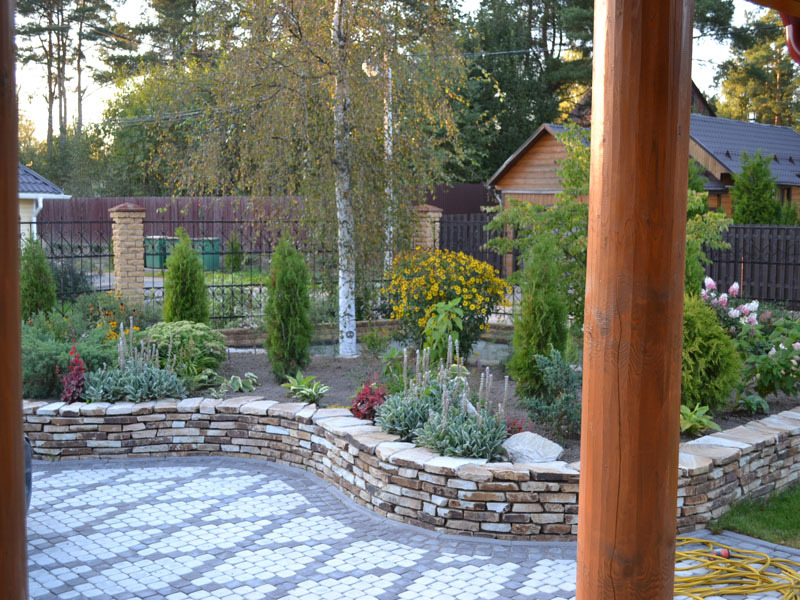 In 1638 the Russian Tsar was presented tea. 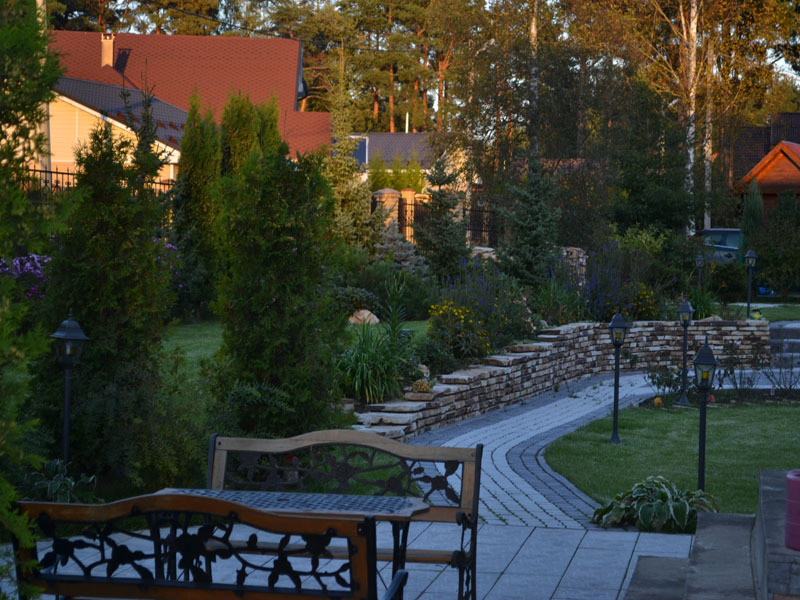 This drink quickly became popular, and the tradition of tea firmly established in Russian life. 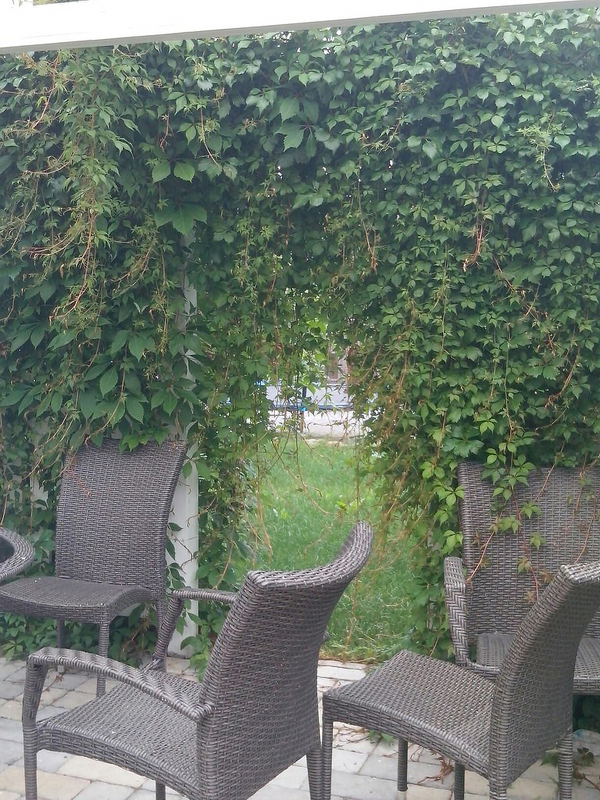 Summer drinking tea in саду the garden on the terrace террасе or in the gazebo беседке. 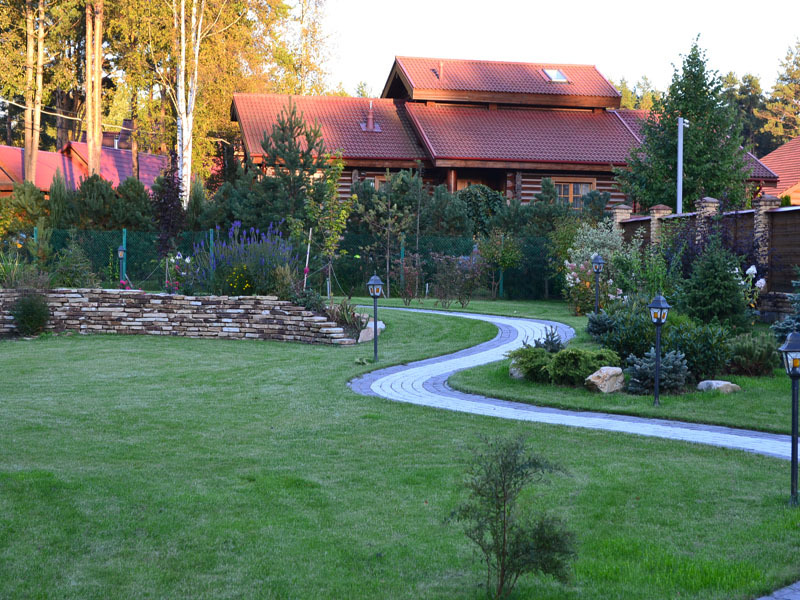 In the Russian language there is a word that is difficult to translate into other languages - giving дача . 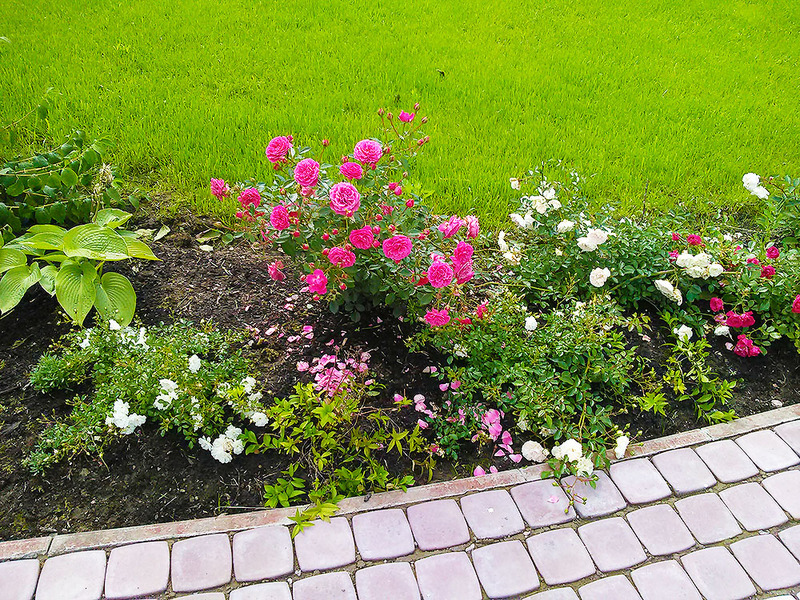 This is a characteristic of our life. 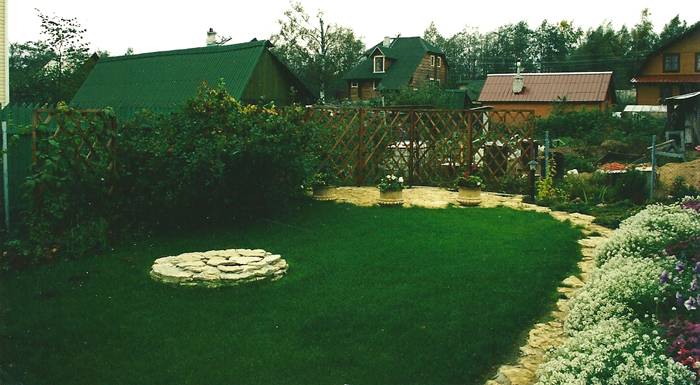 Cottage we call a country house загородный дом with a garden where townspeople go for a weekend or even for the whole summer. 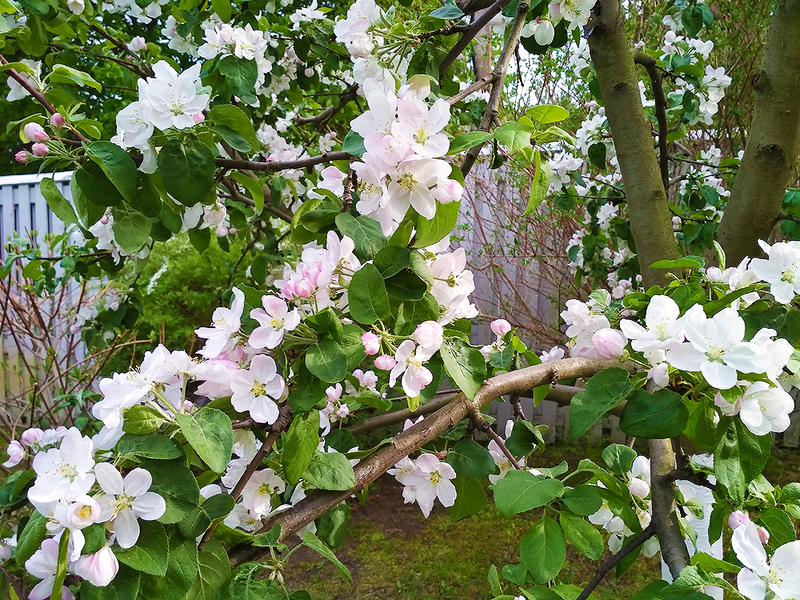 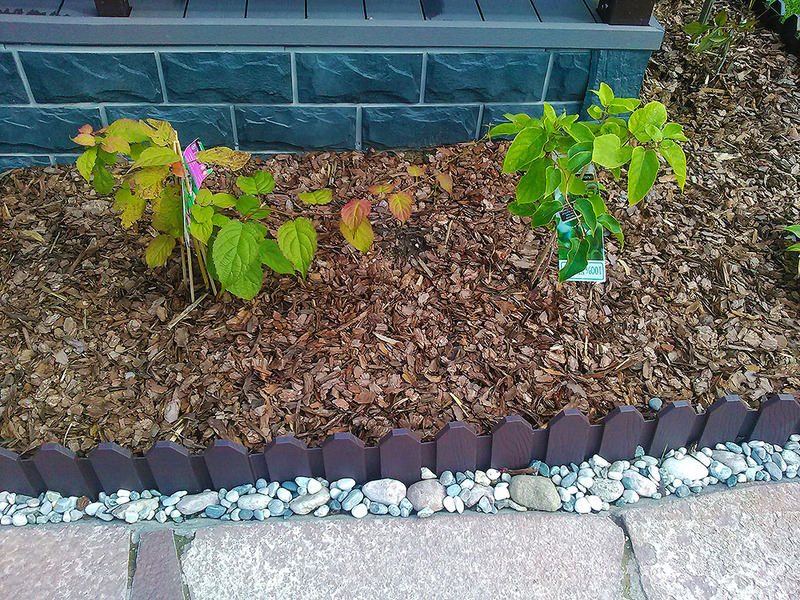 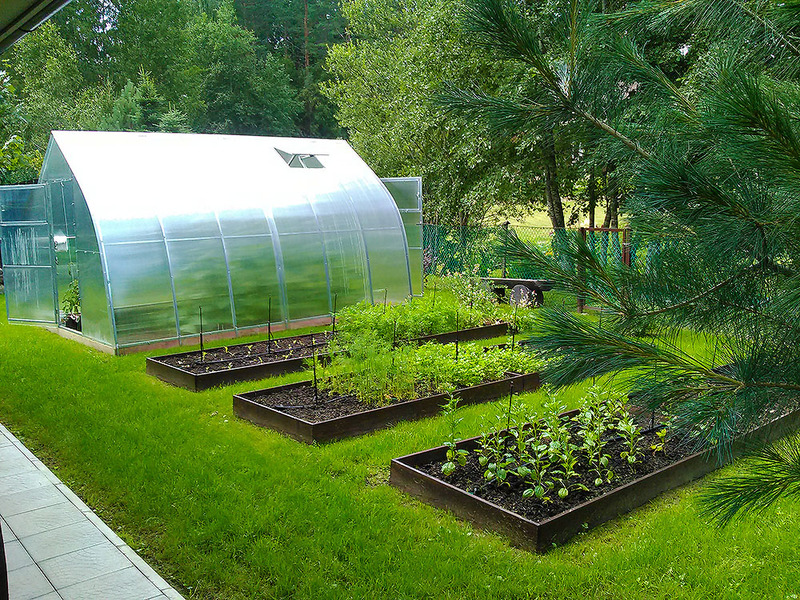 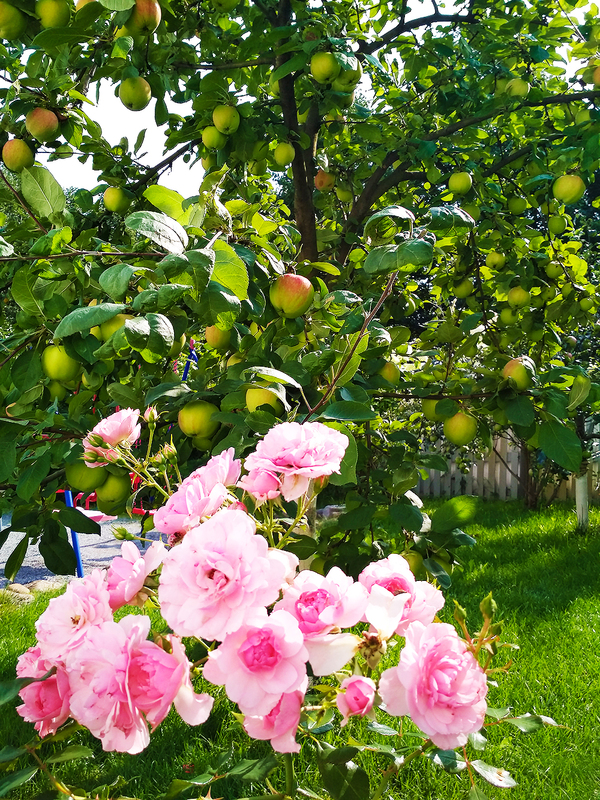 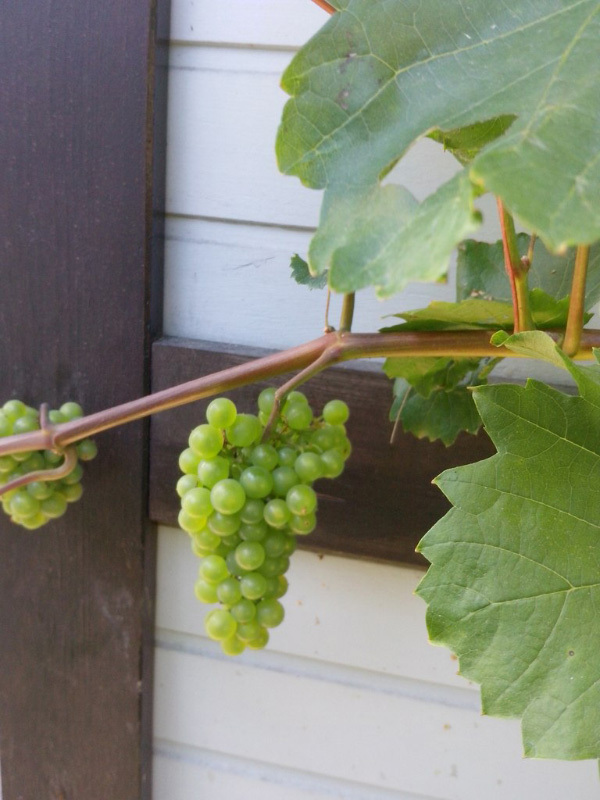 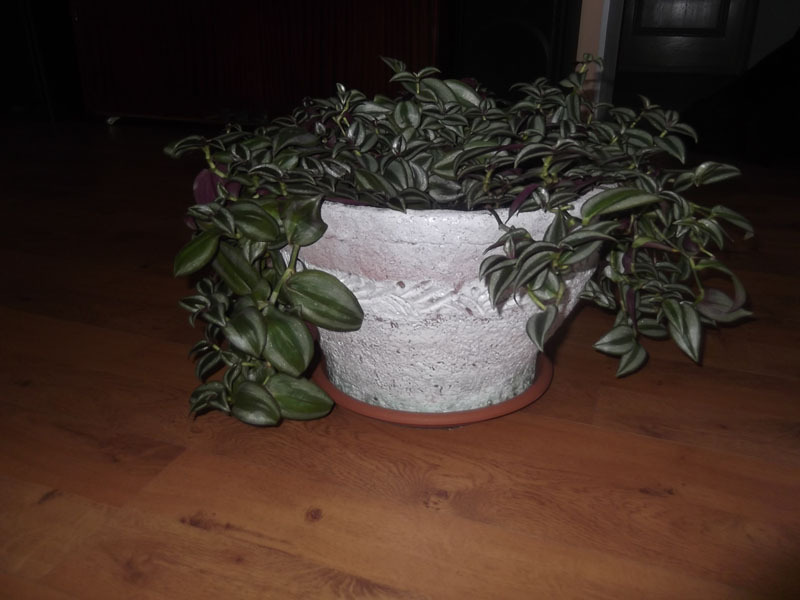 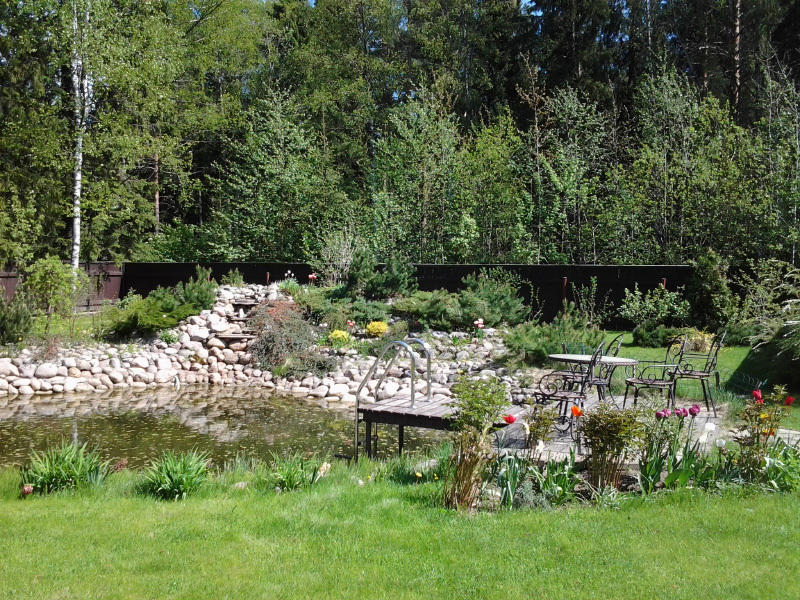 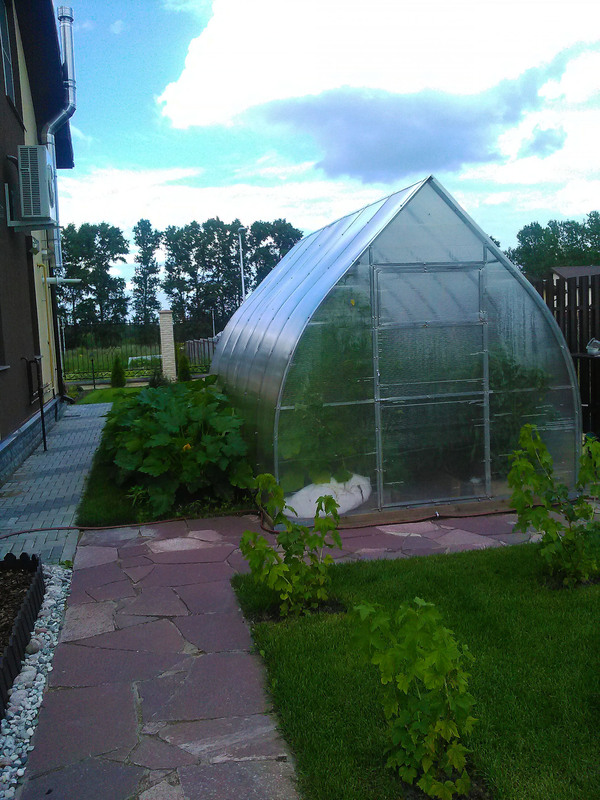 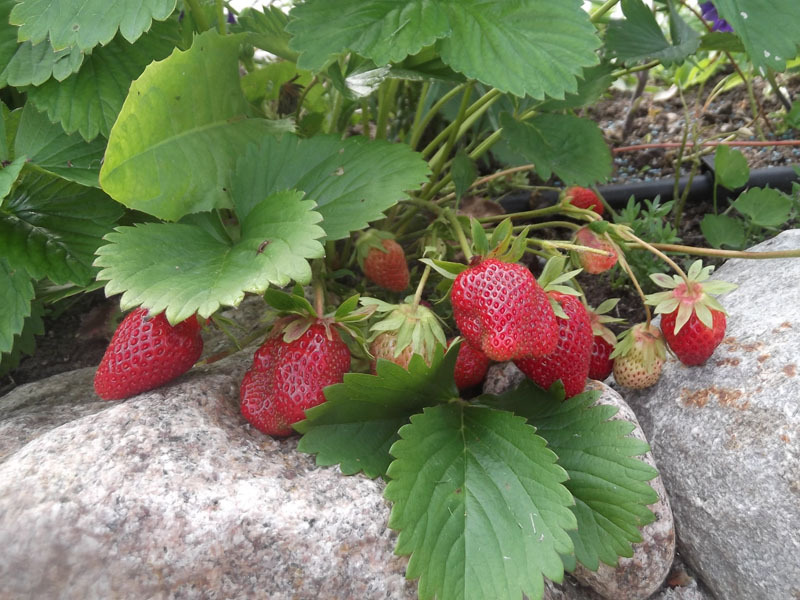 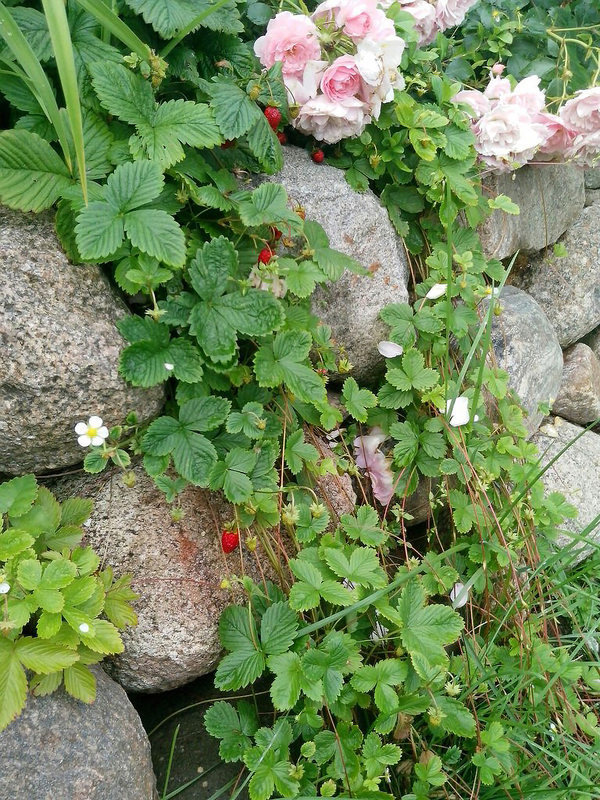 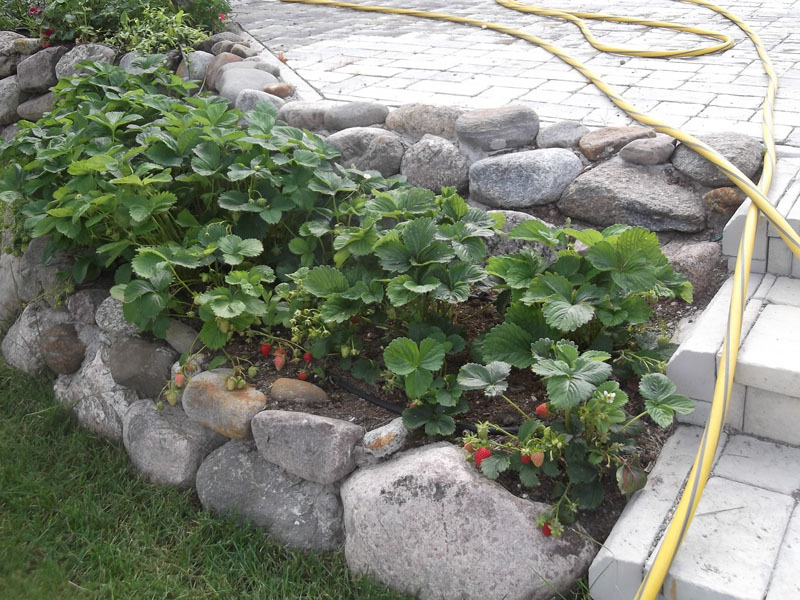 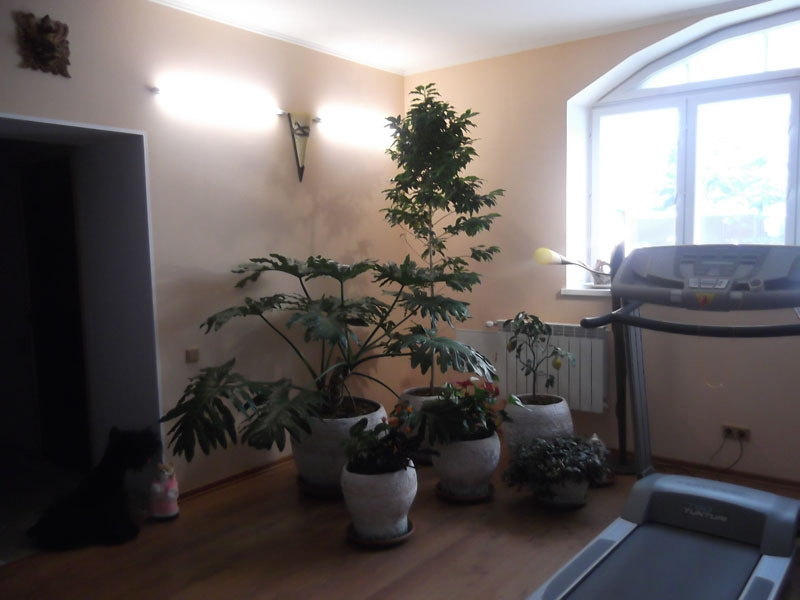 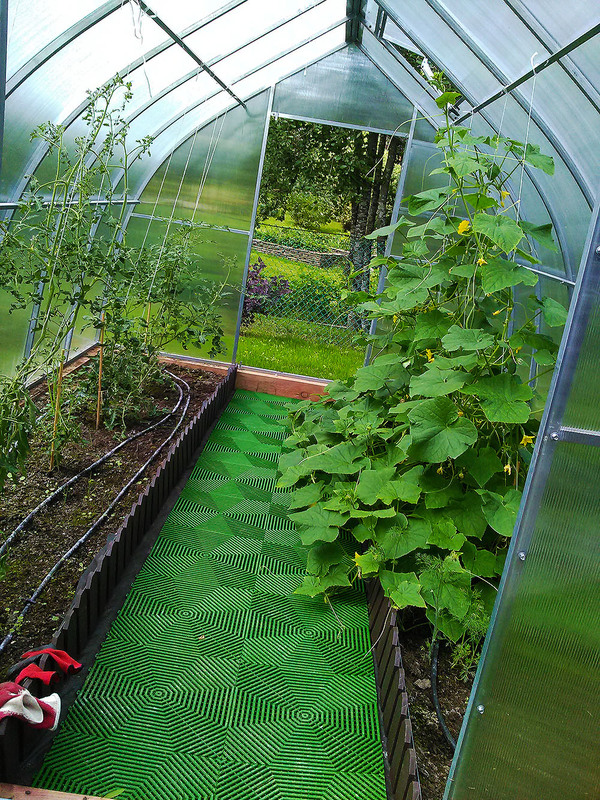 In the даче relax, create, grow vegetables and fruits. 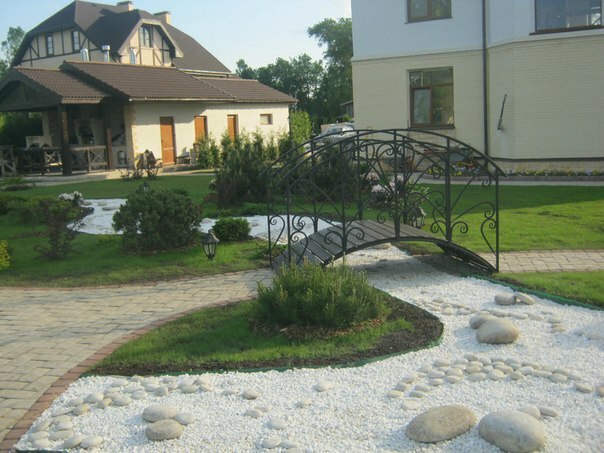 Here like to put swings, hammocks, gazebos качели, гамаки, беседки, the house adjoins a spacious veranda. 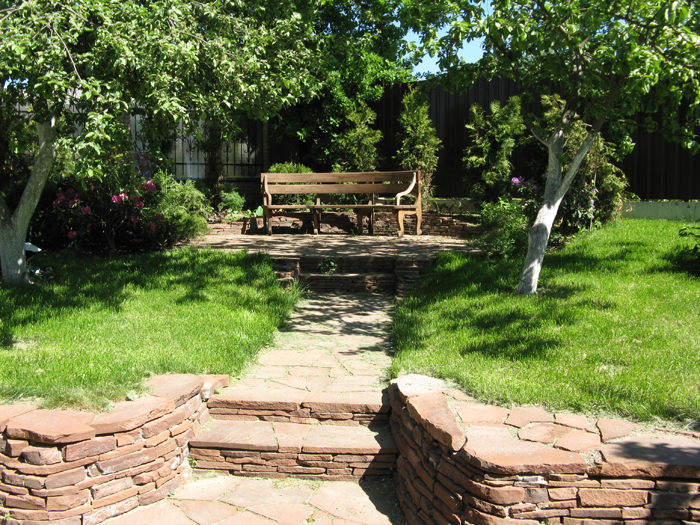 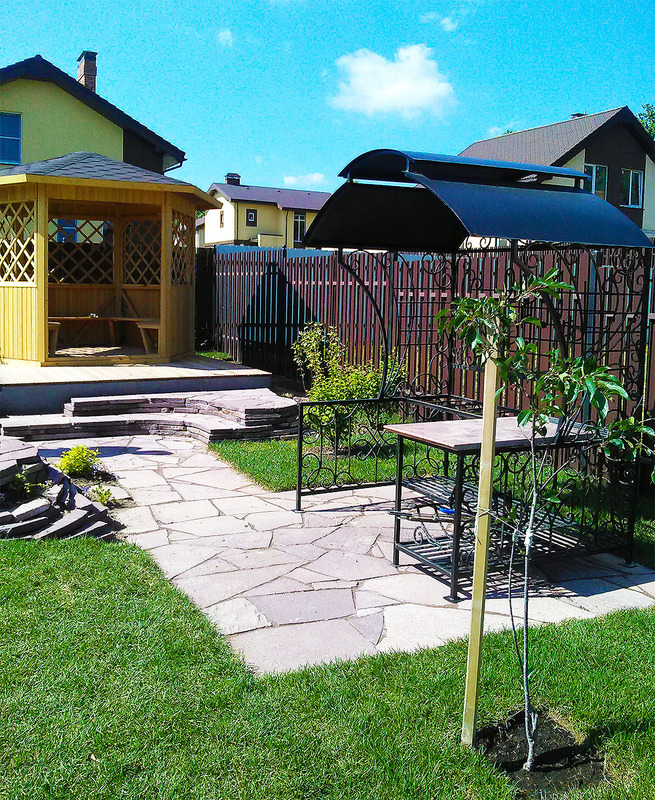 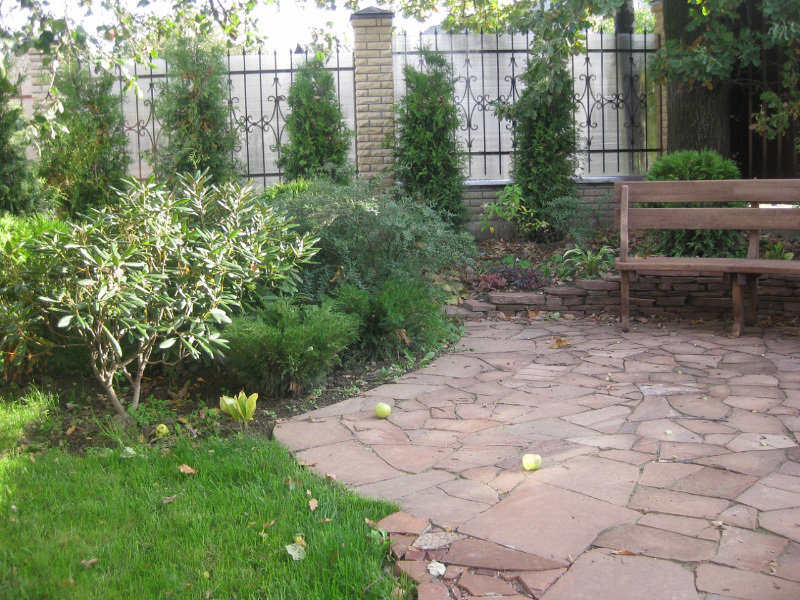 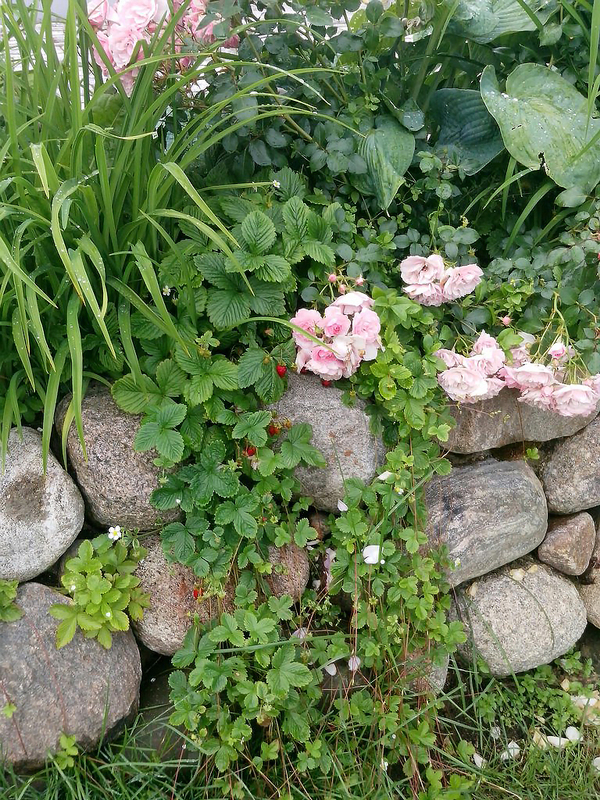 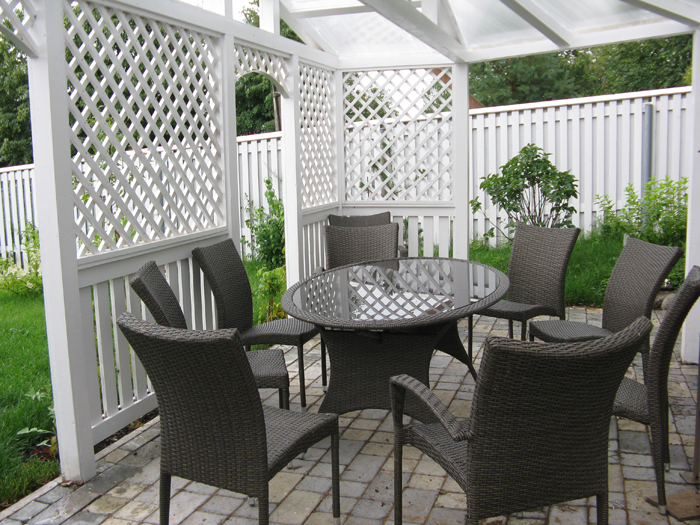 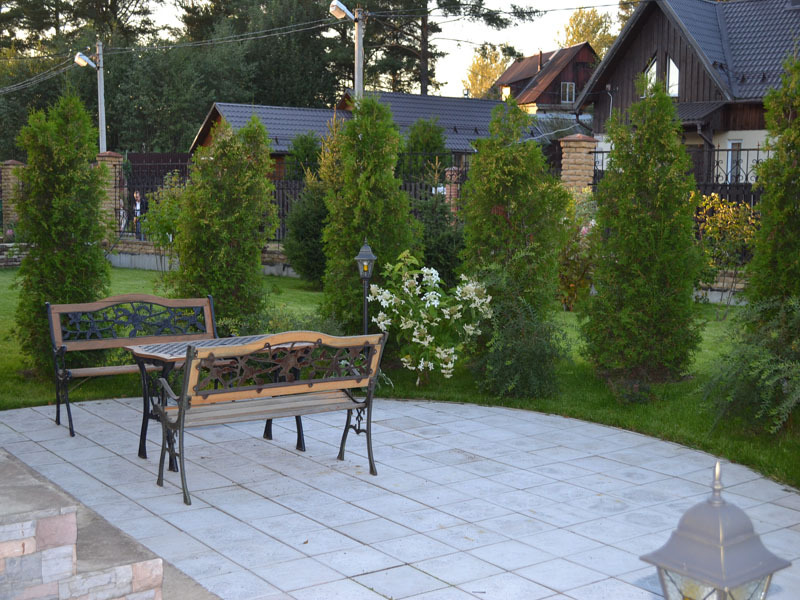 The space is organized so that people like you can spend more time in the garden. 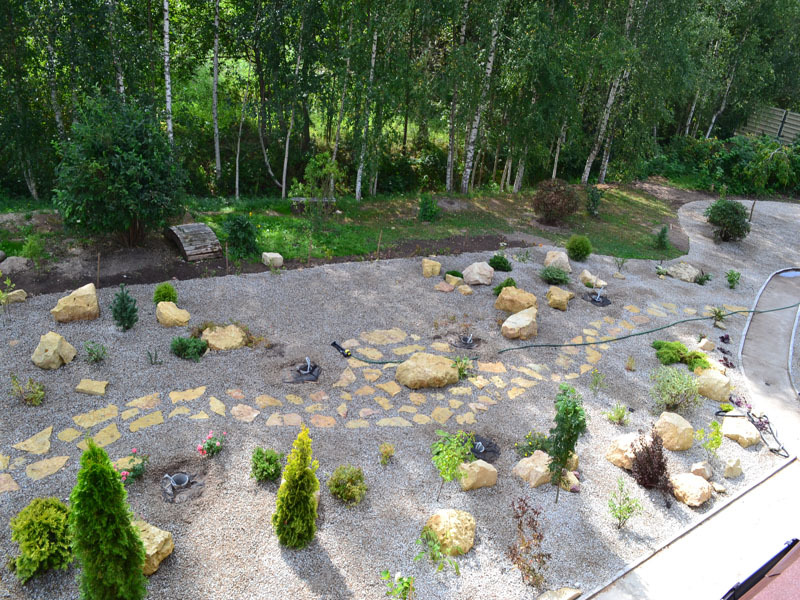 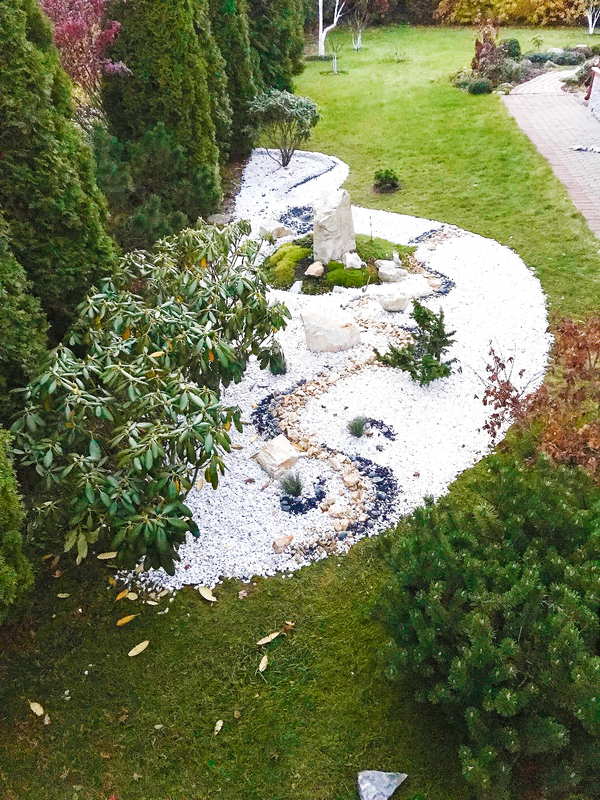 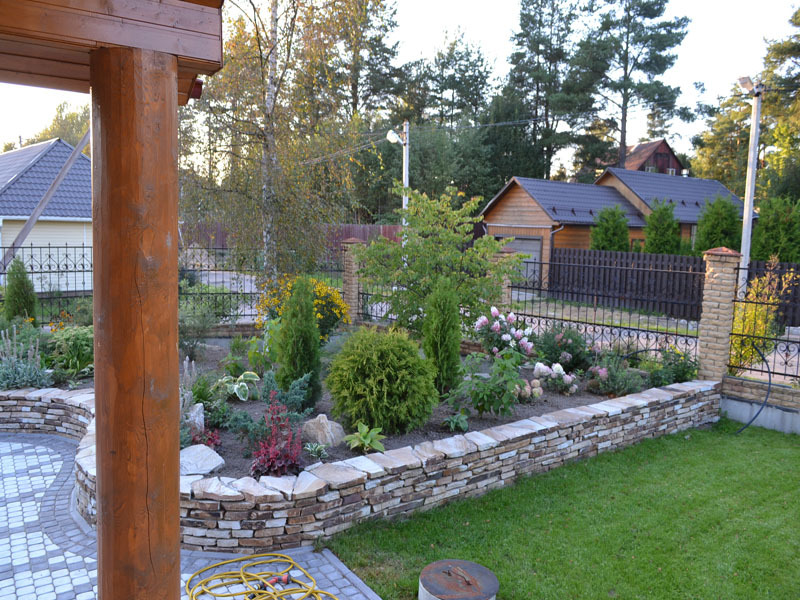 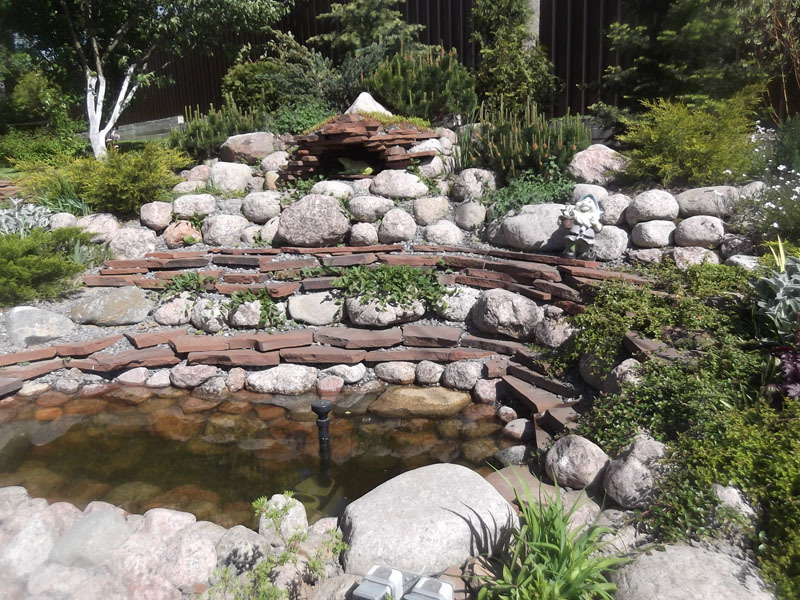 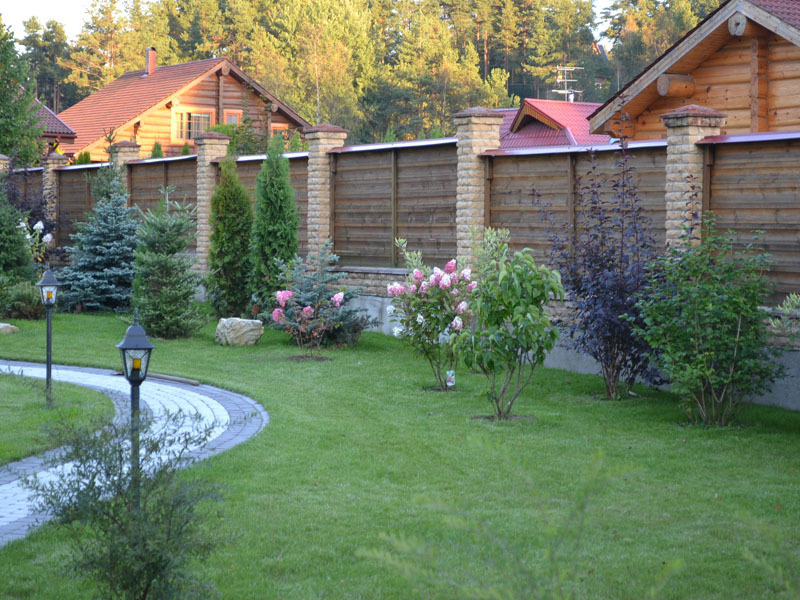 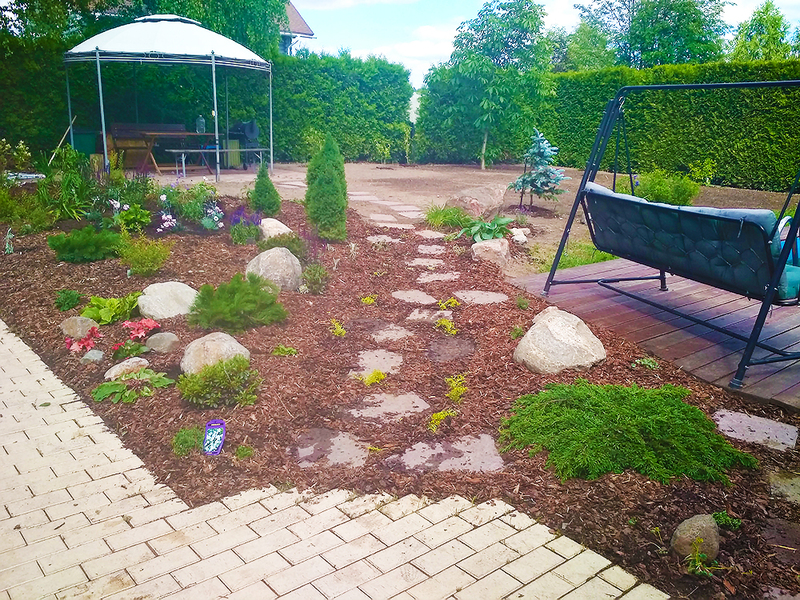 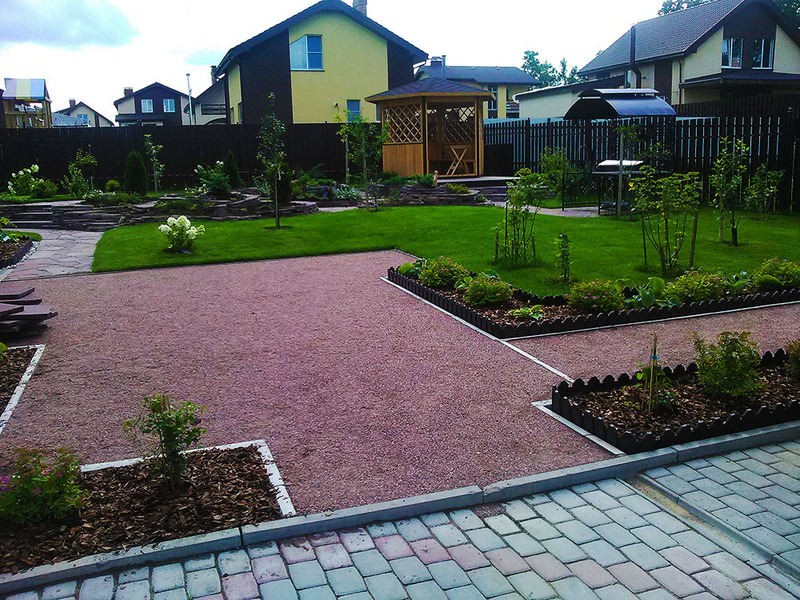 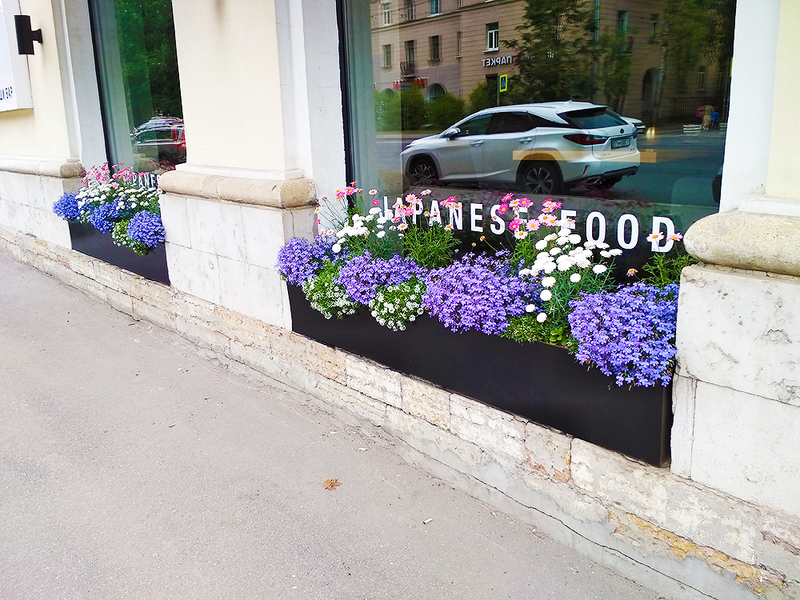 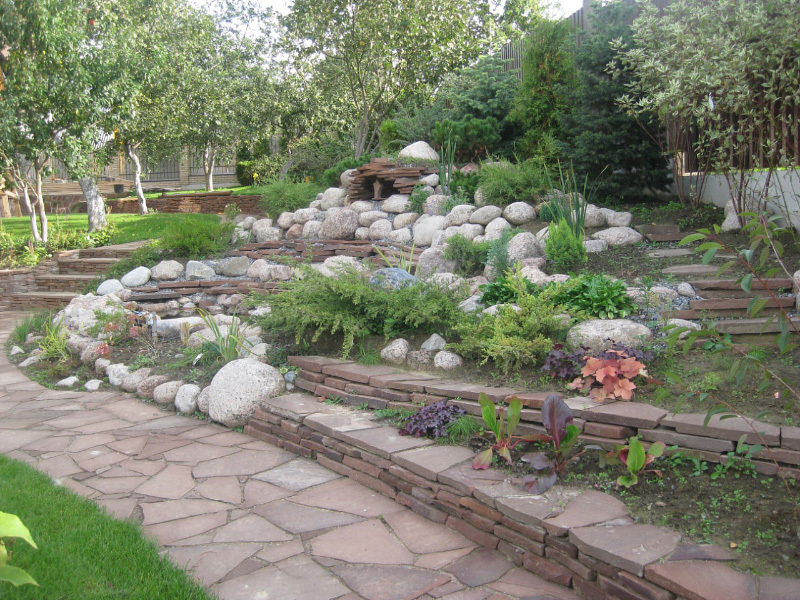 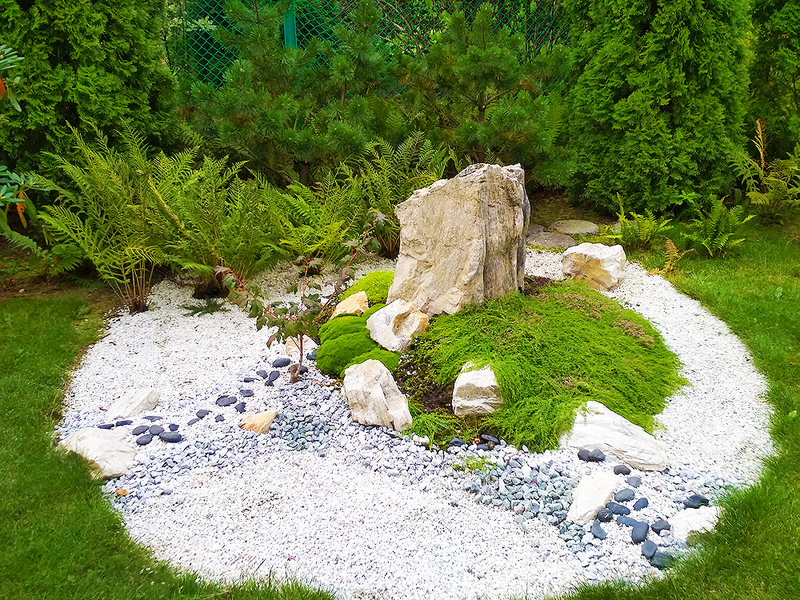 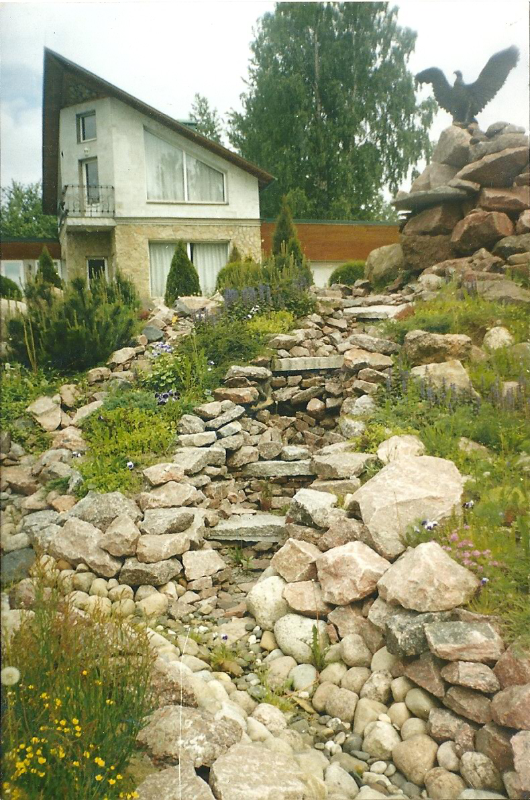 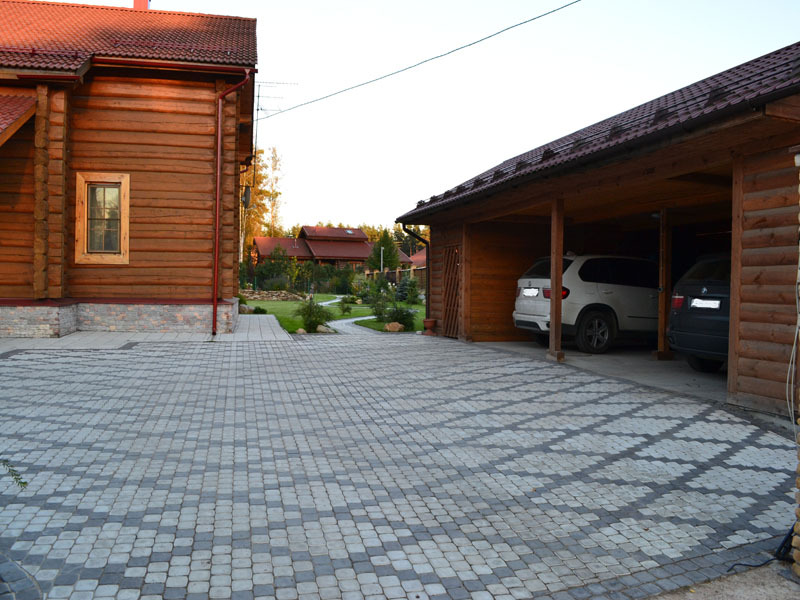 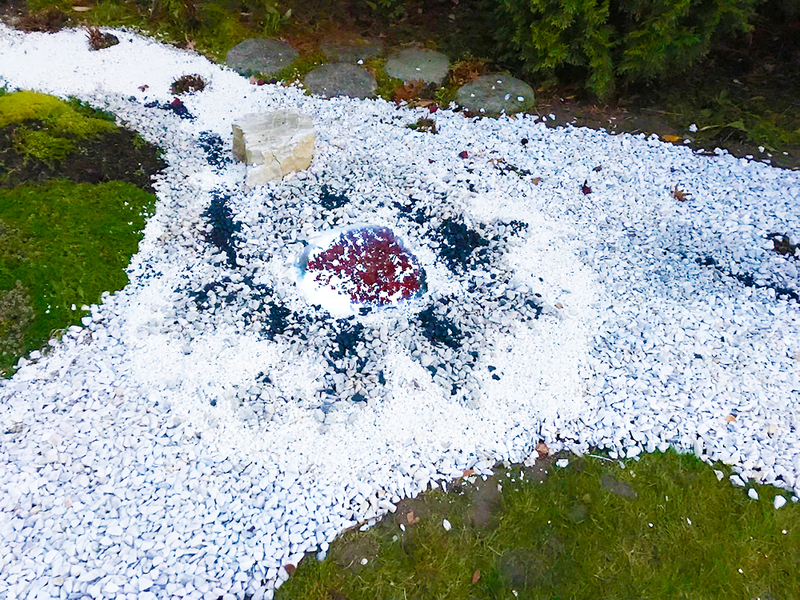 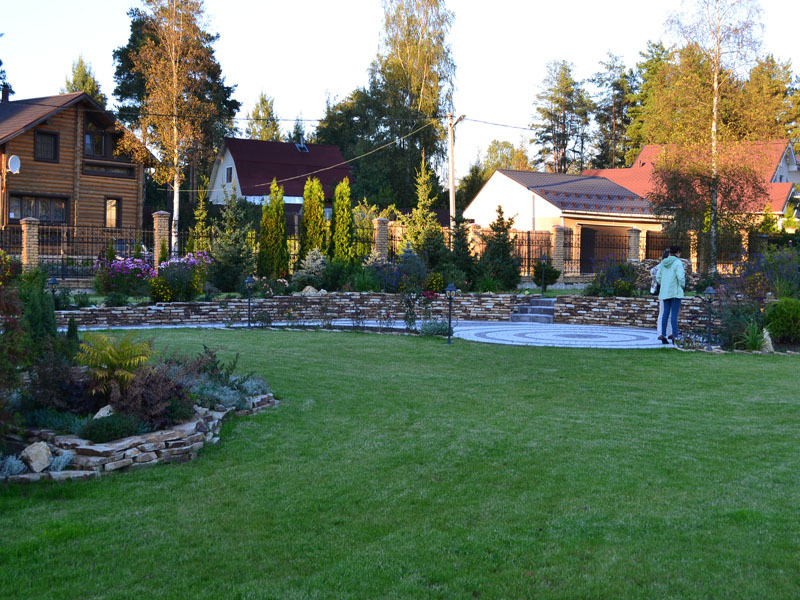 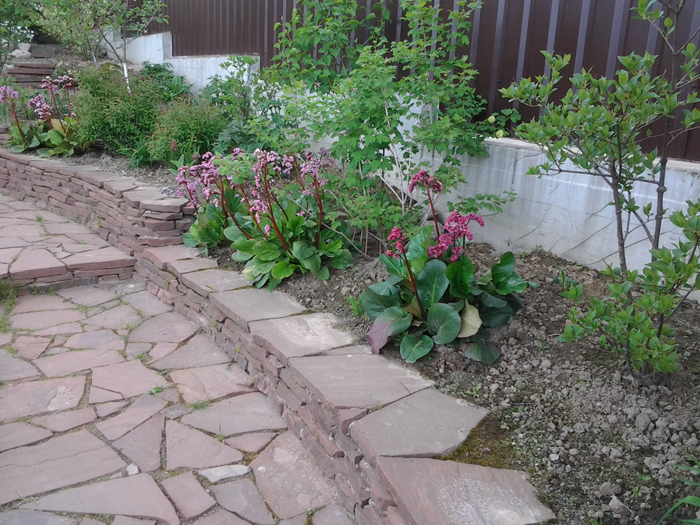 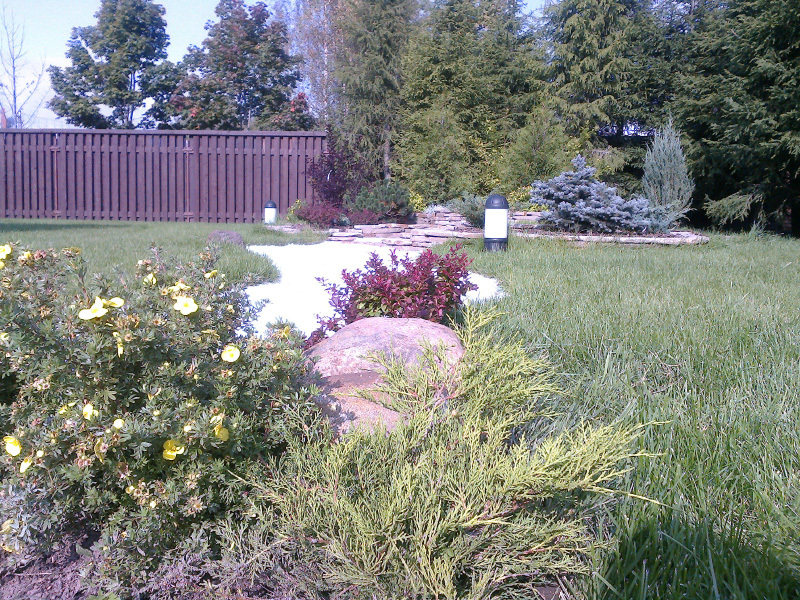 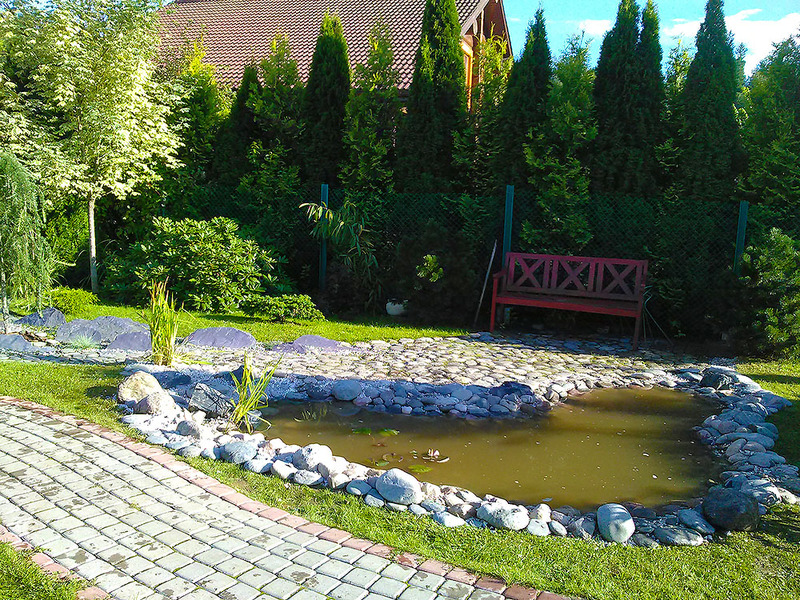 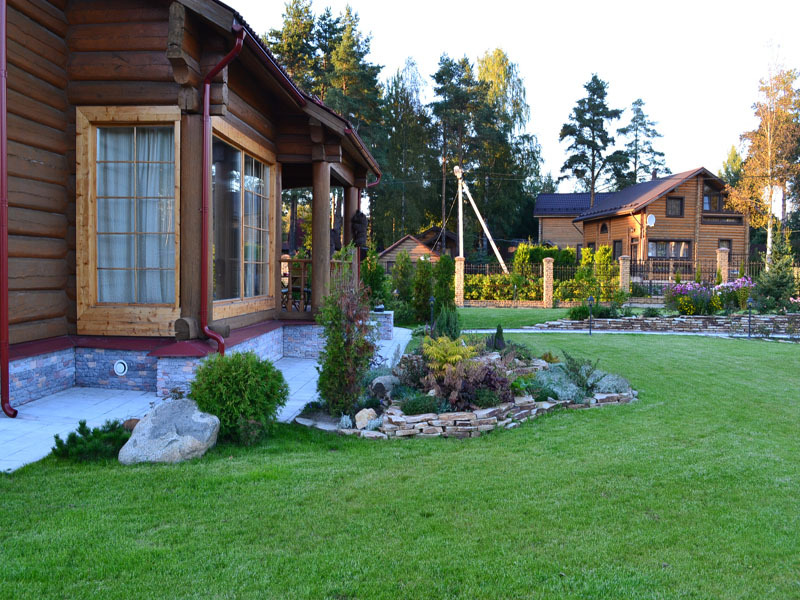 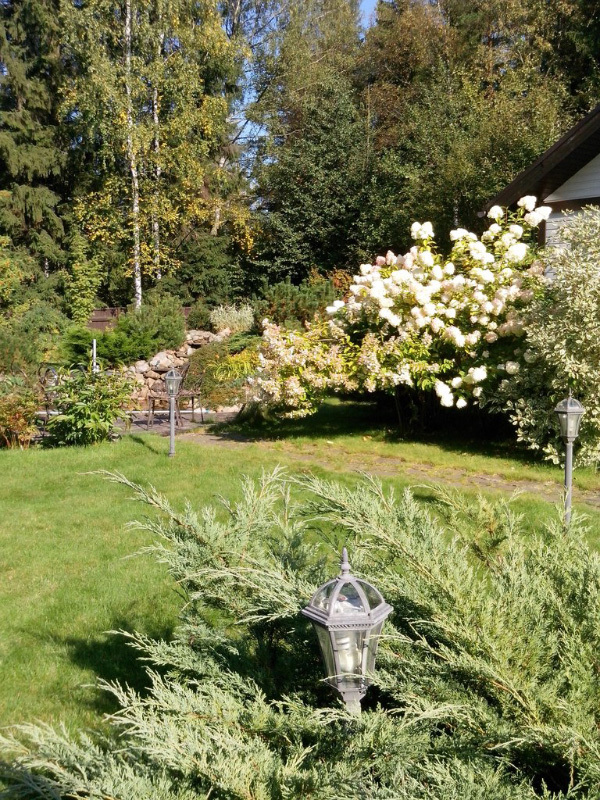 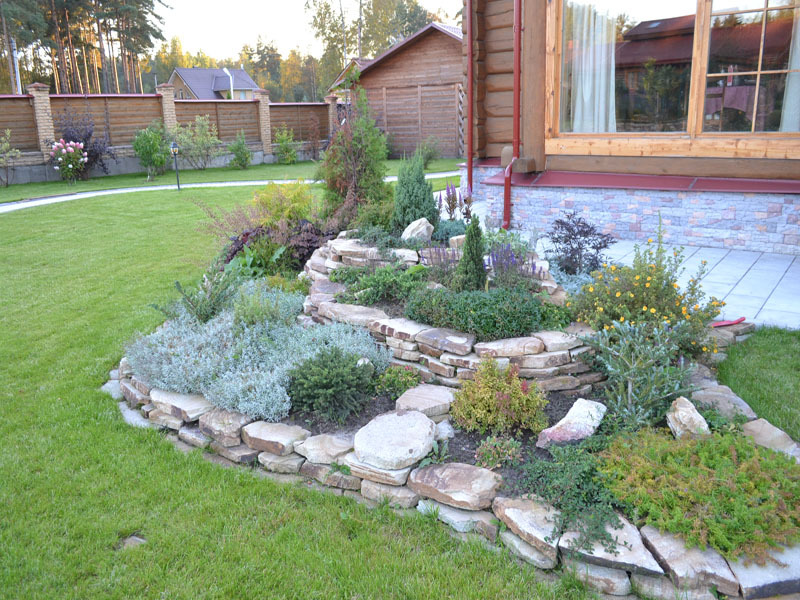 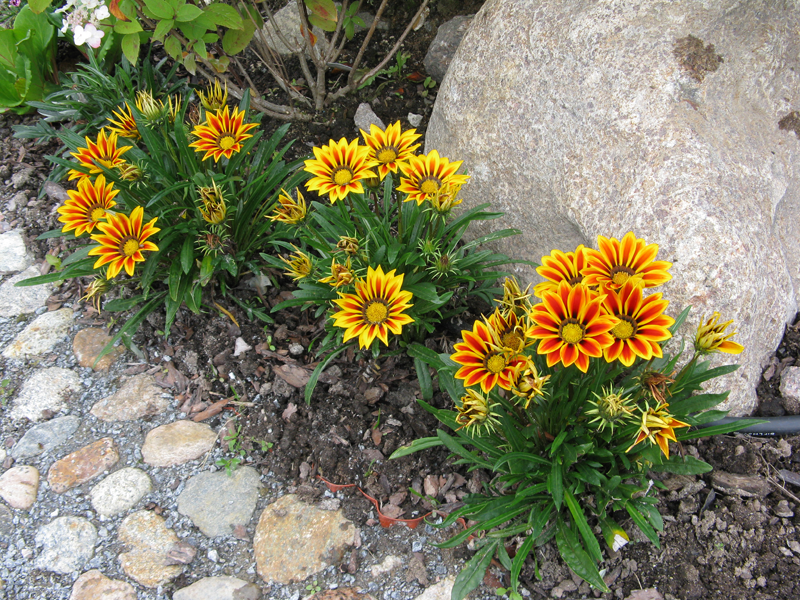 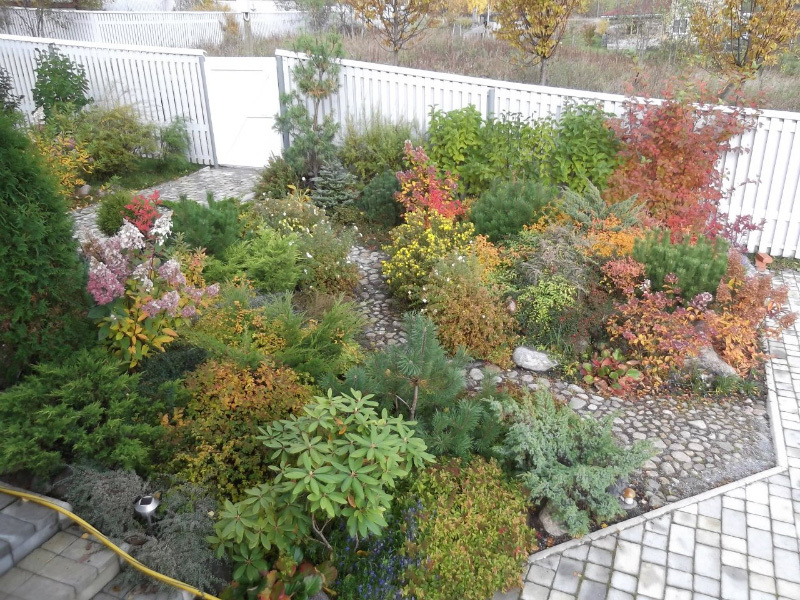 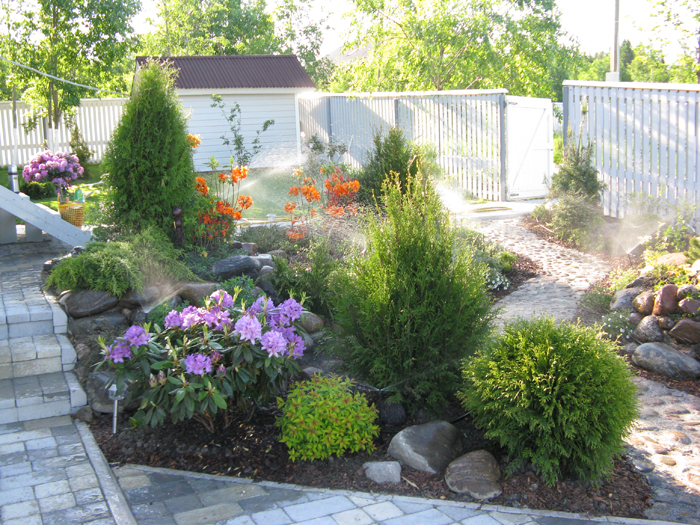 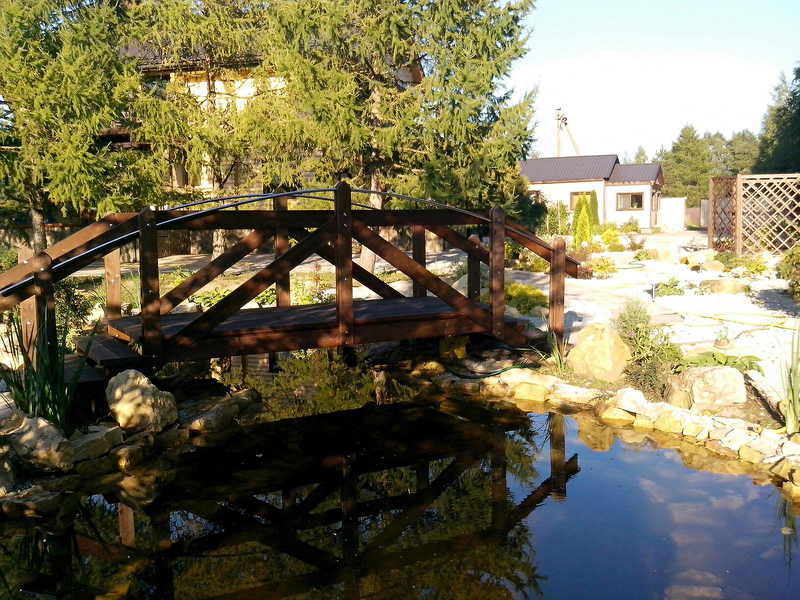 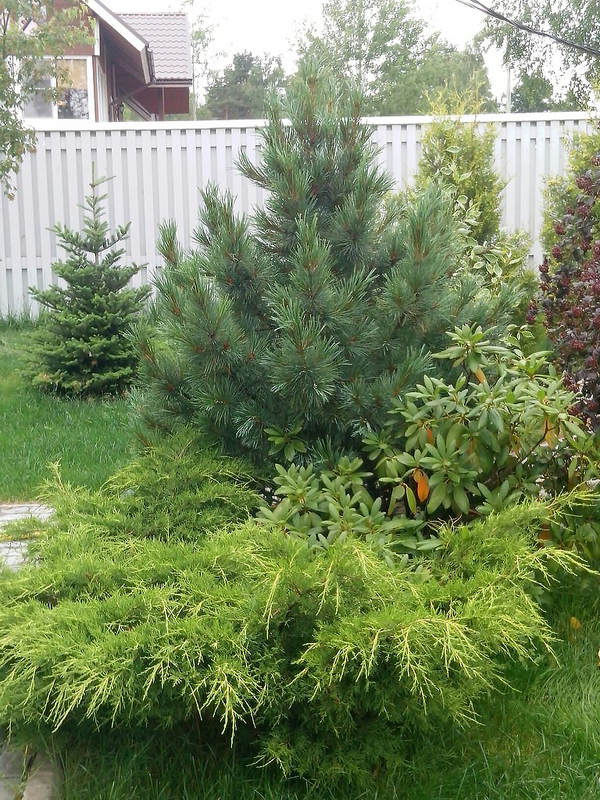 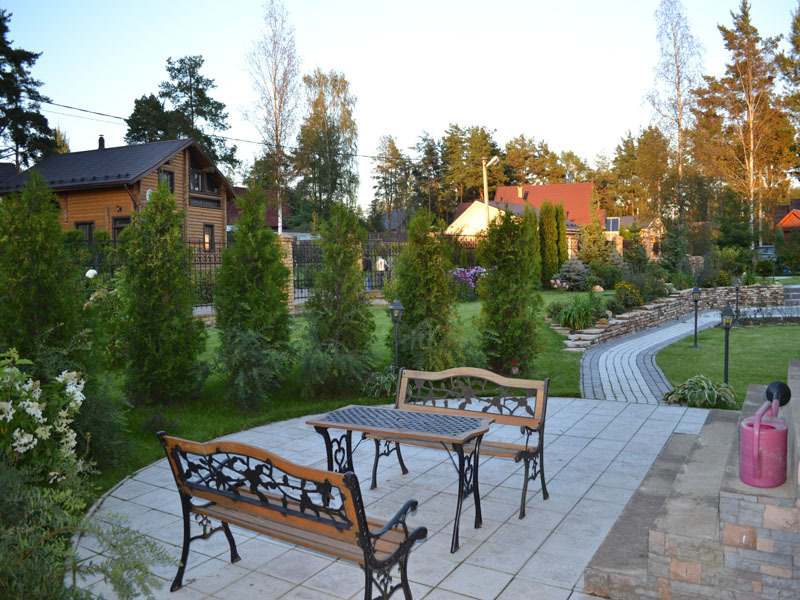 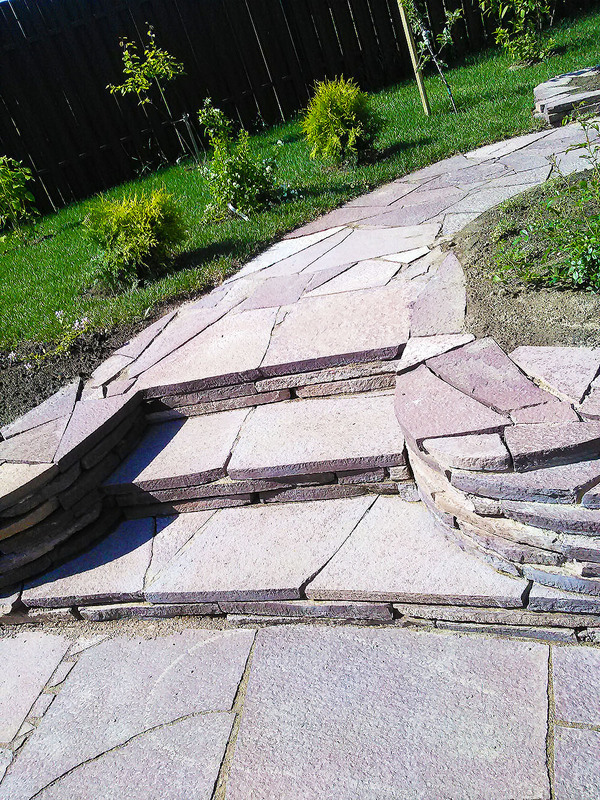 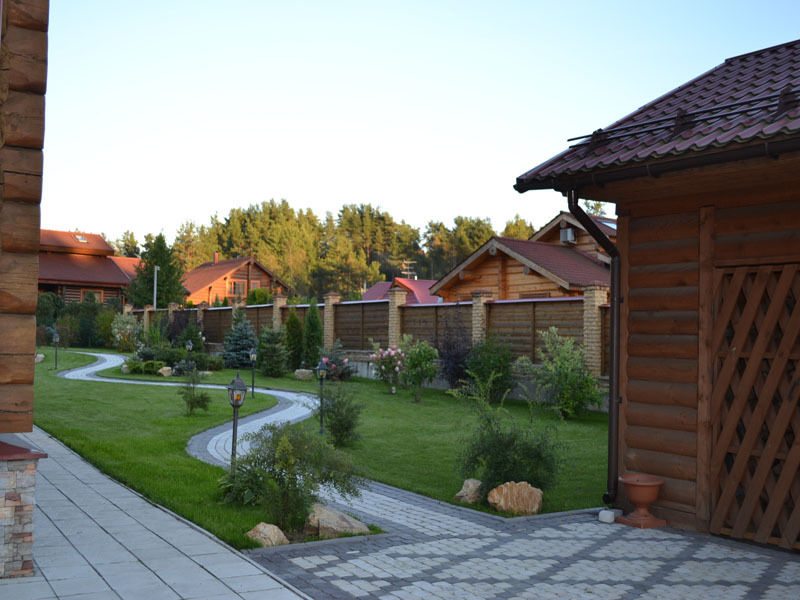 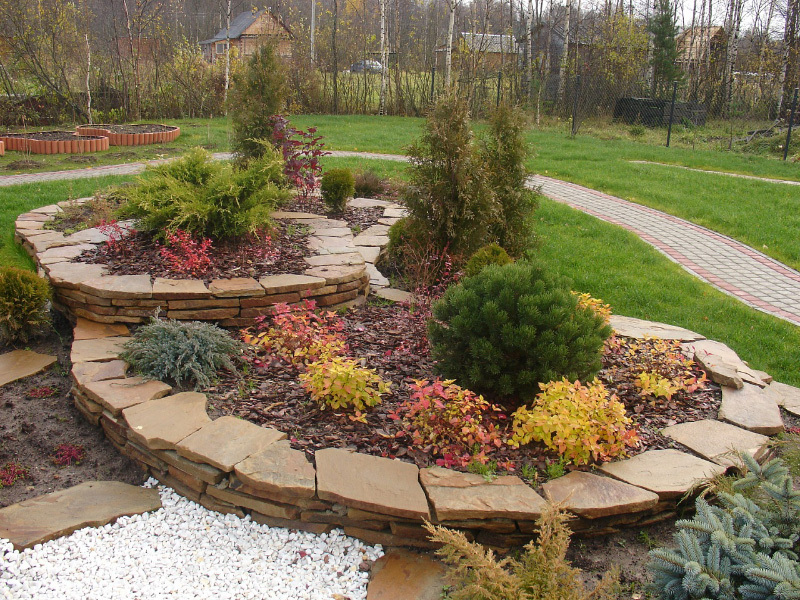 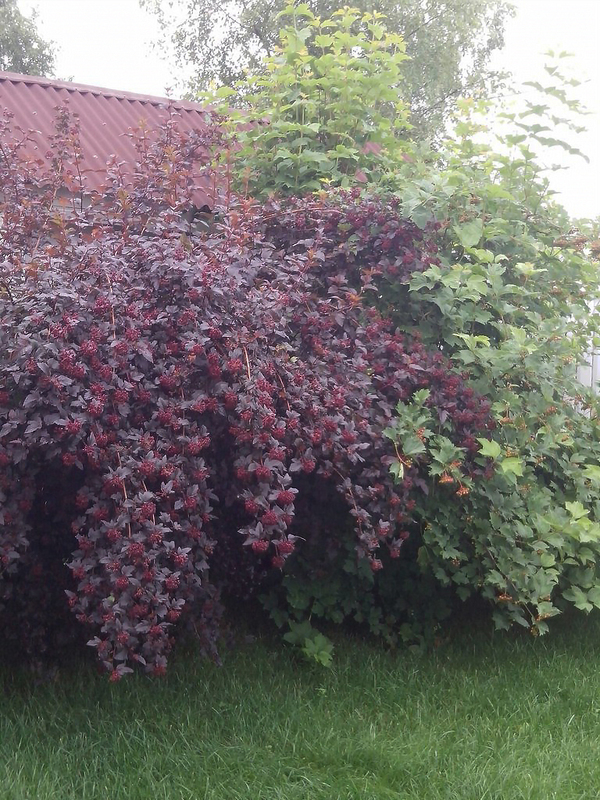 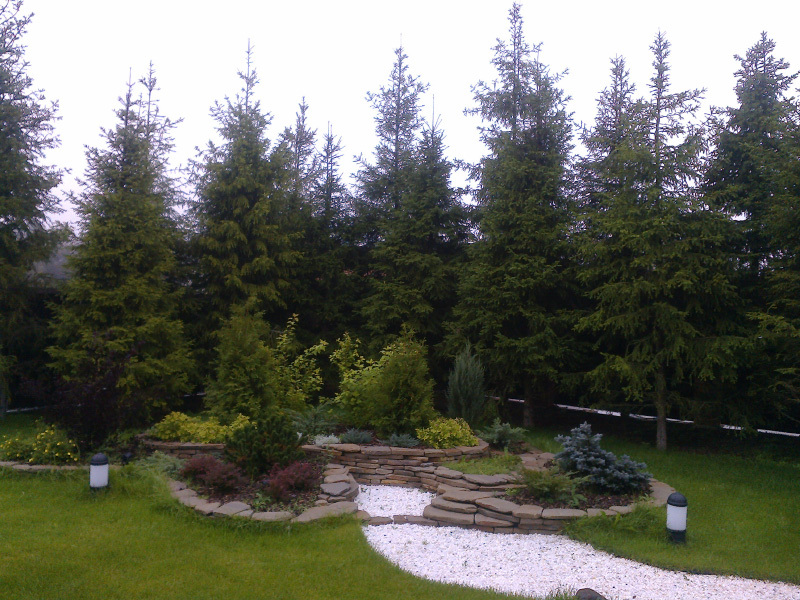 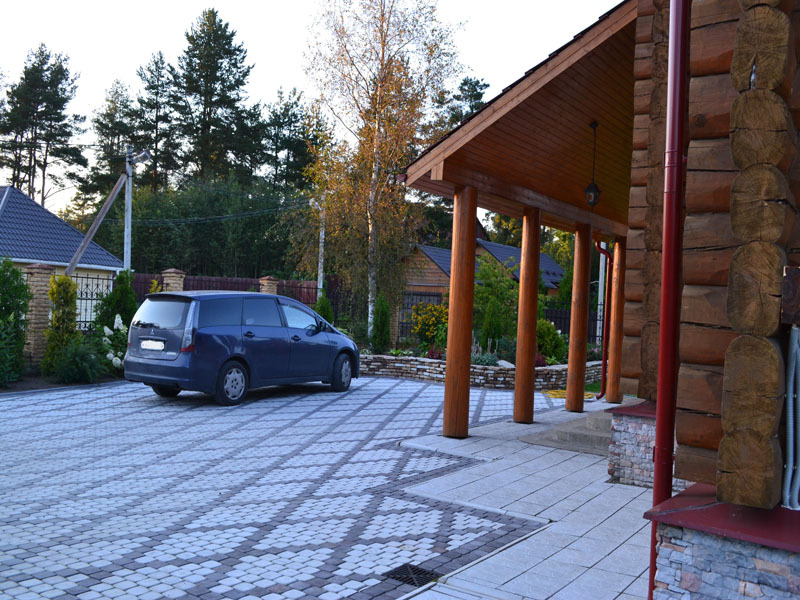 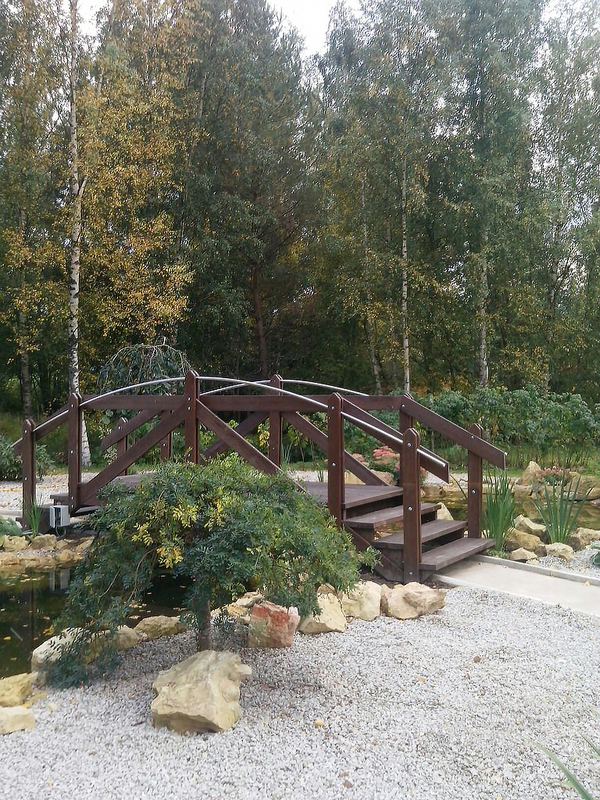 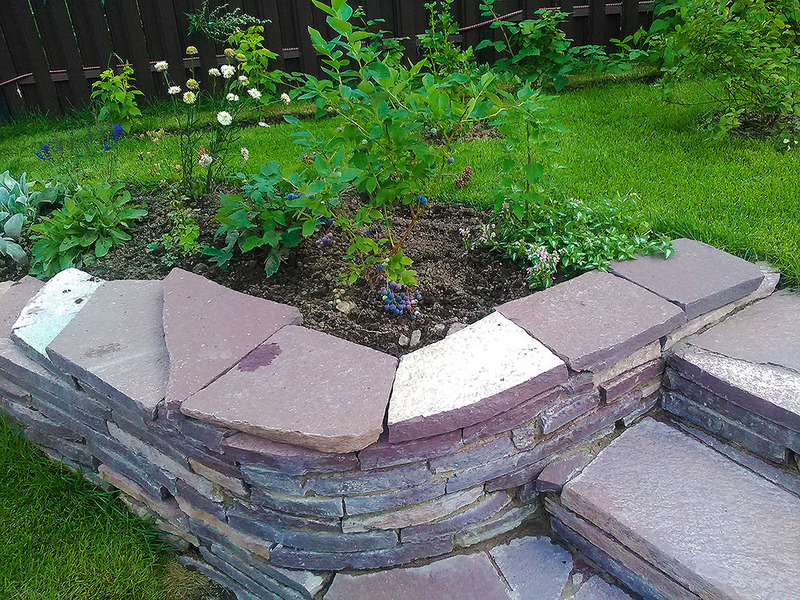 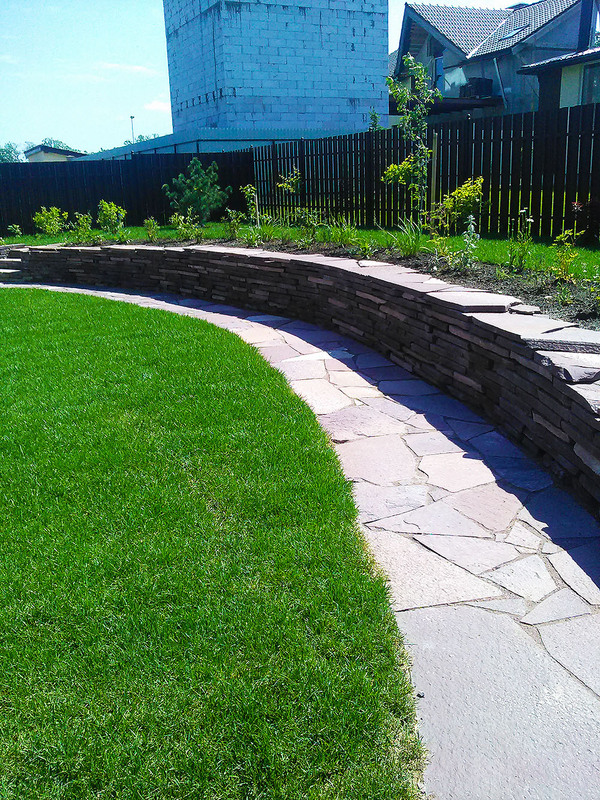 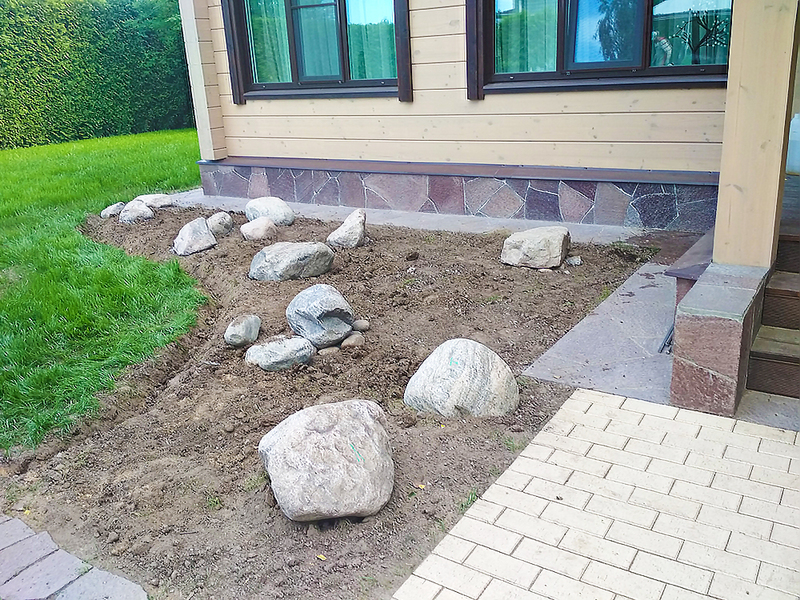 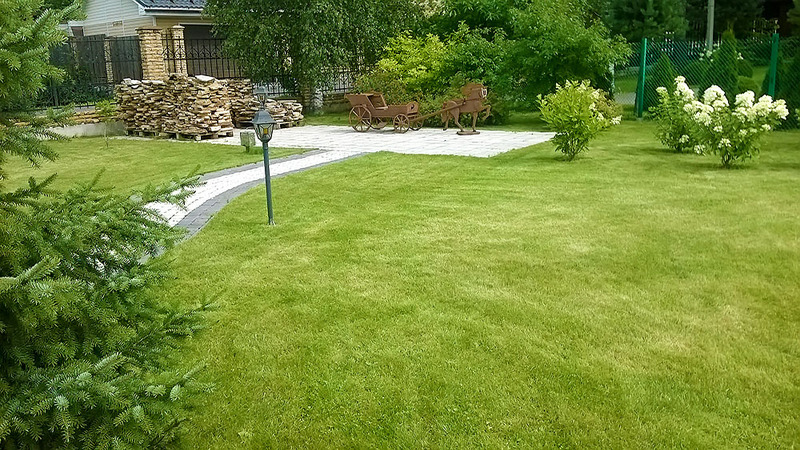 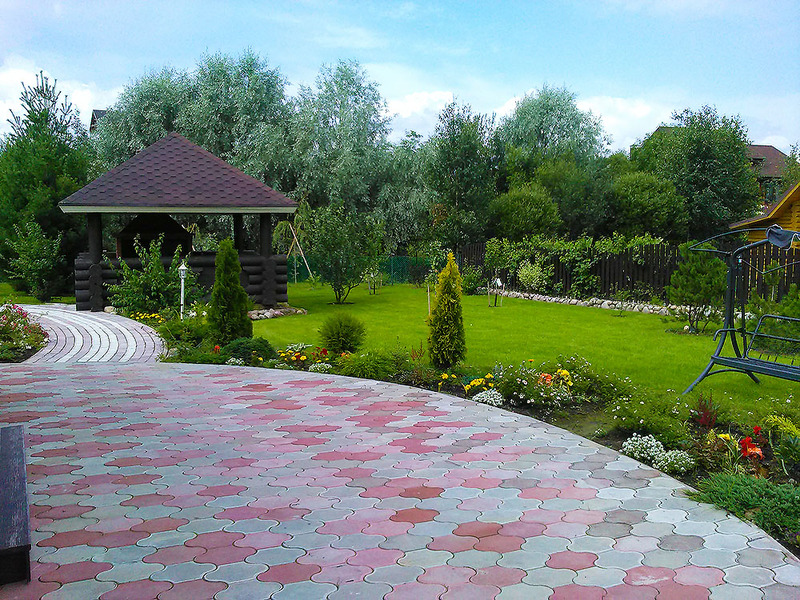 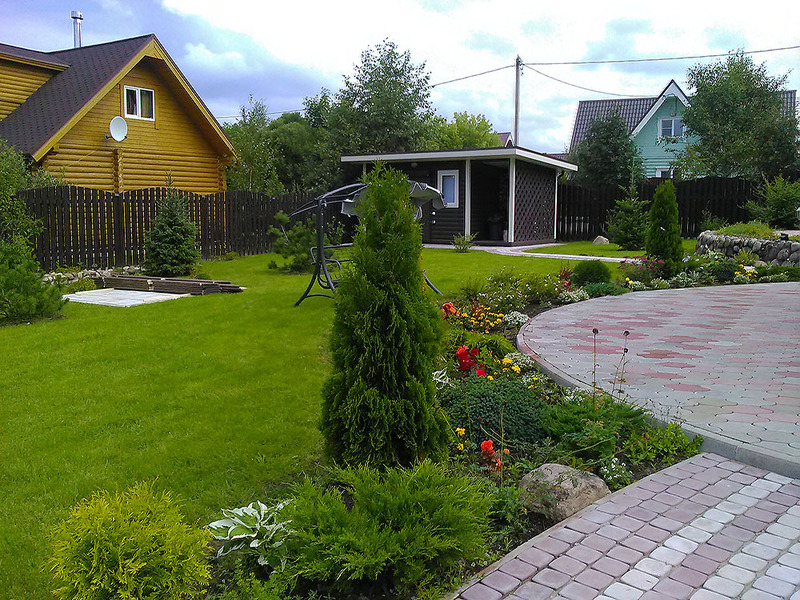 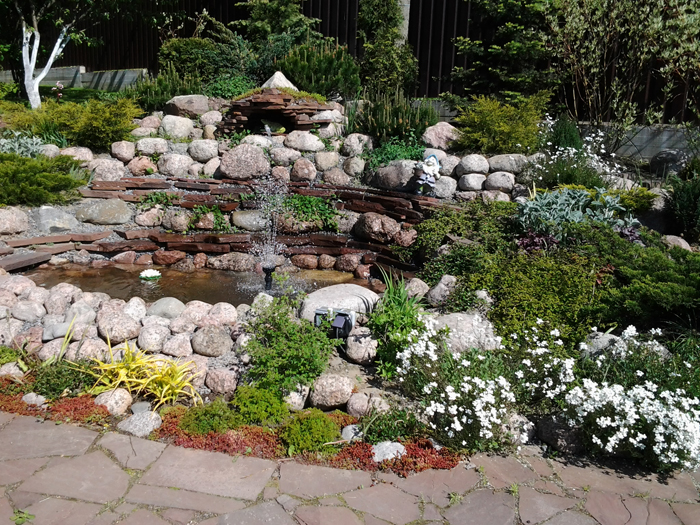 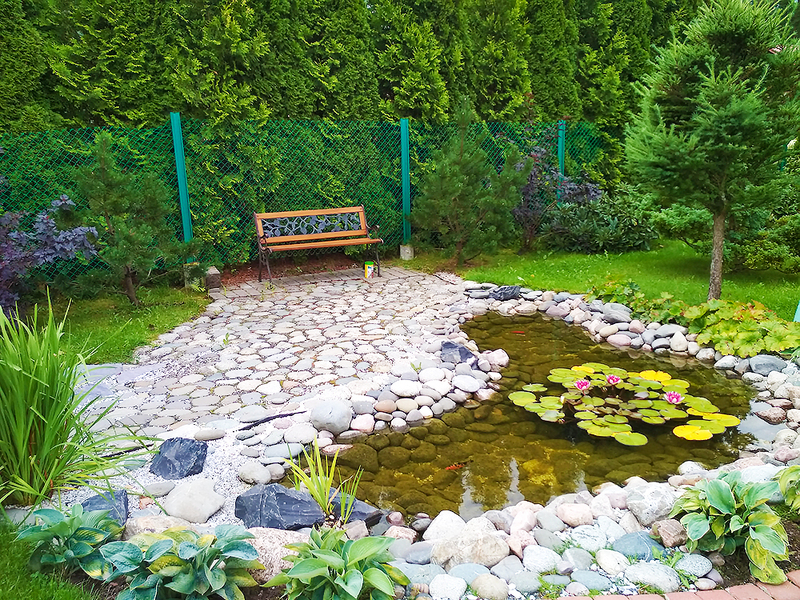 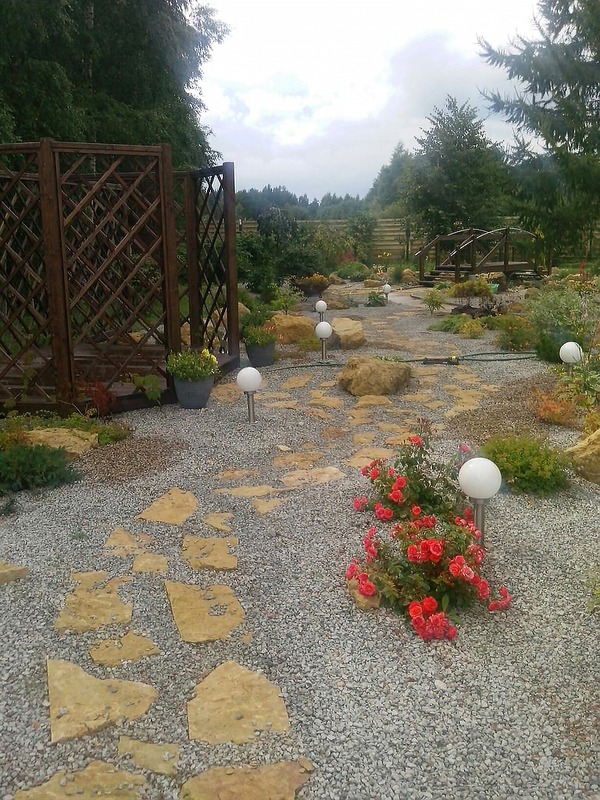 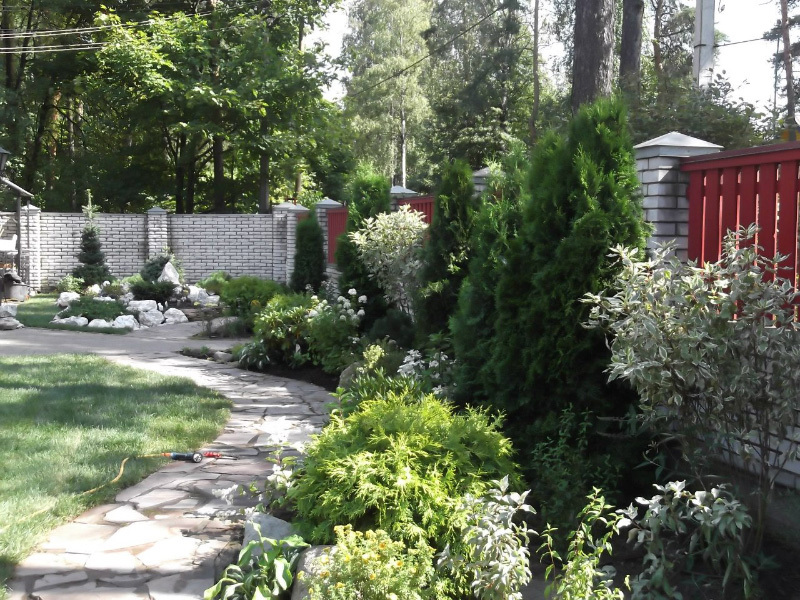 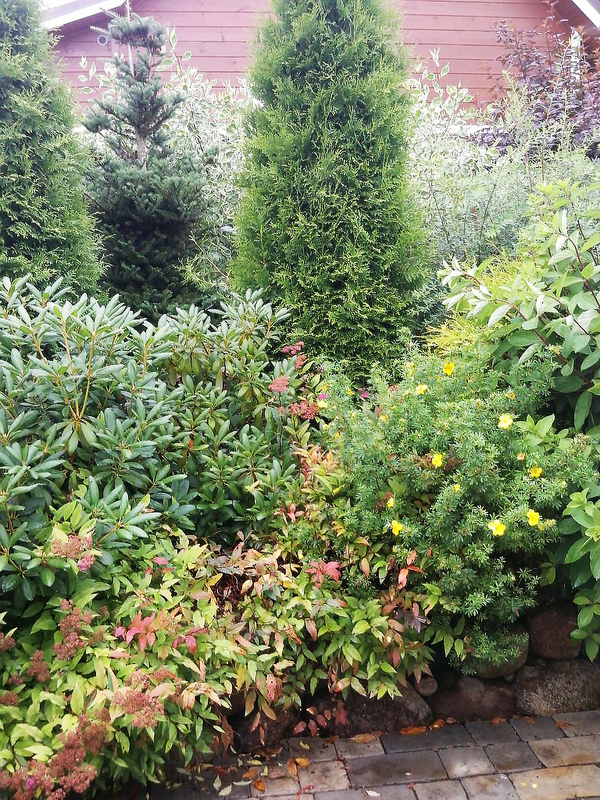 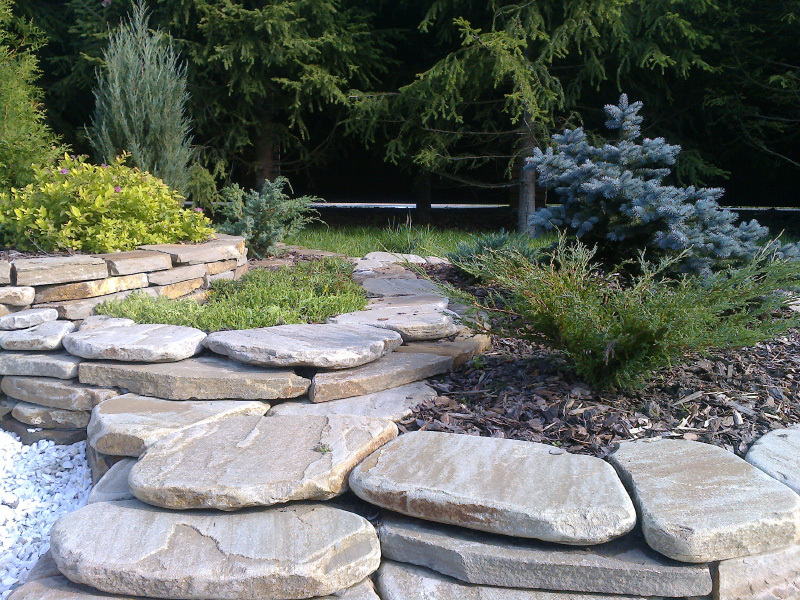 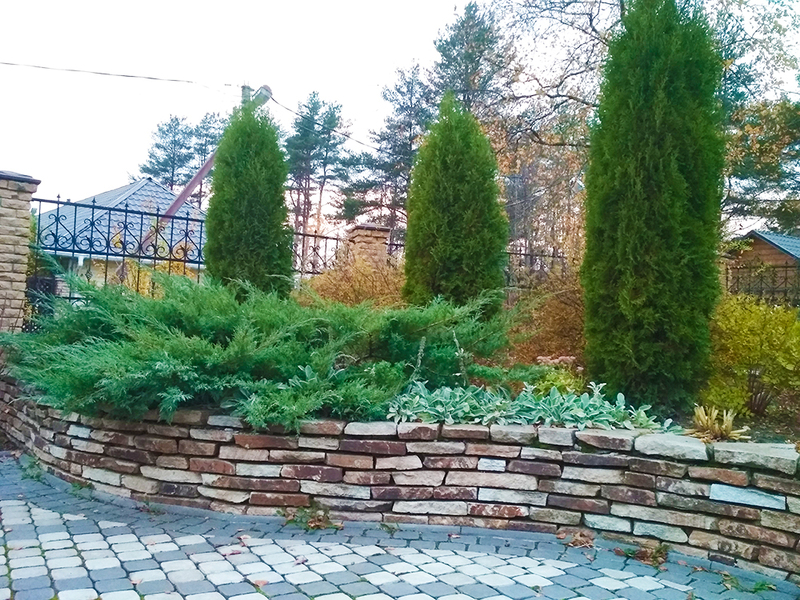 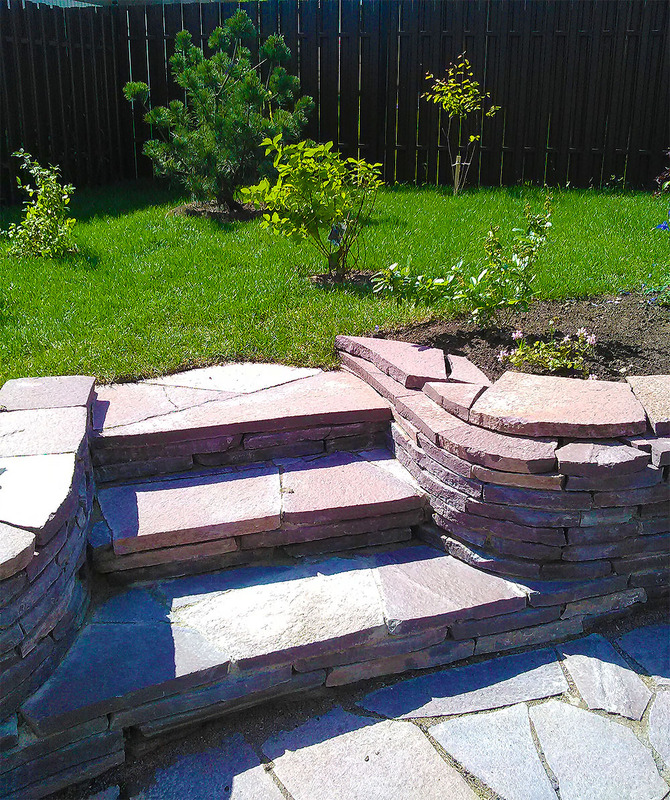 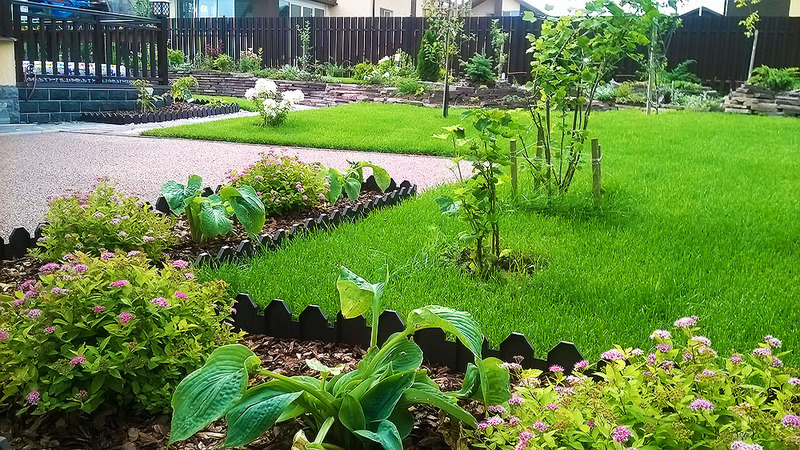 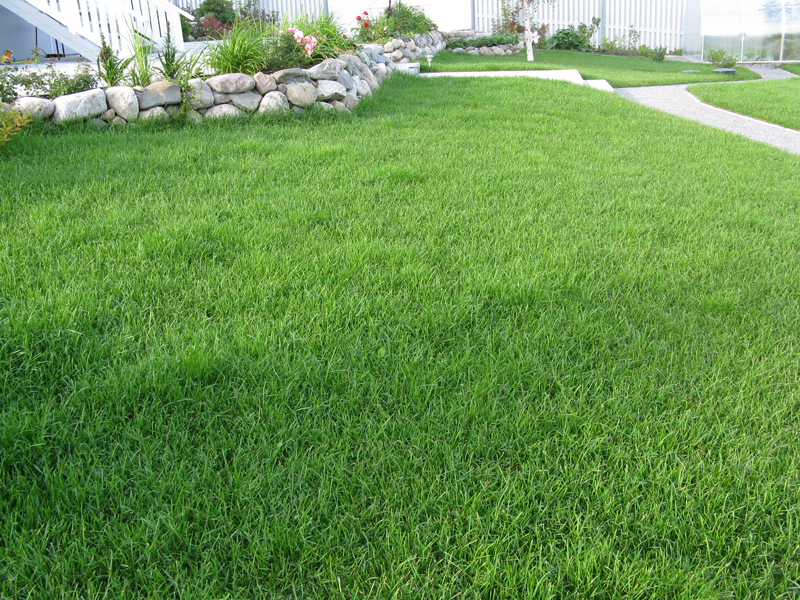 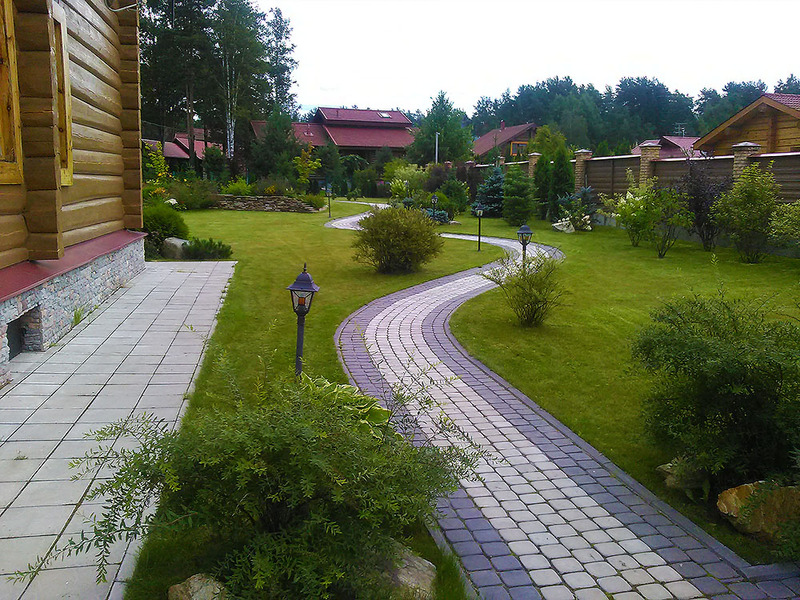 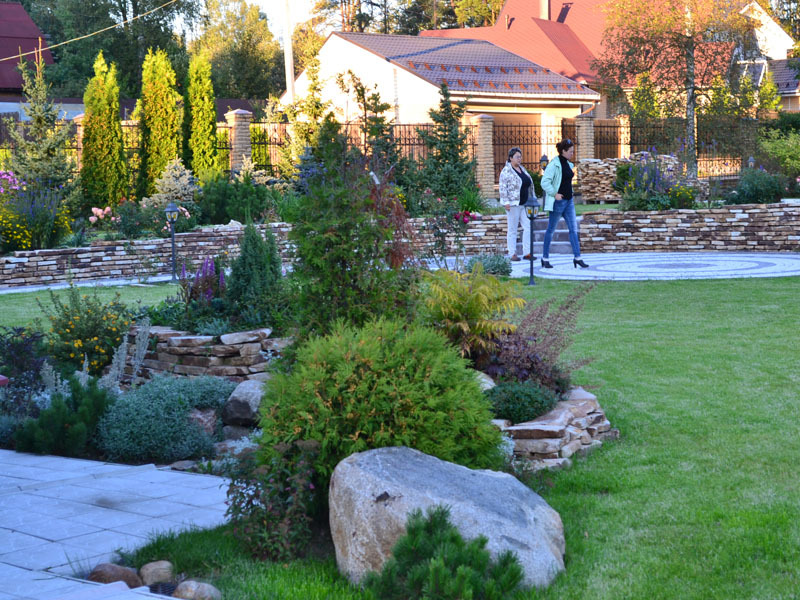 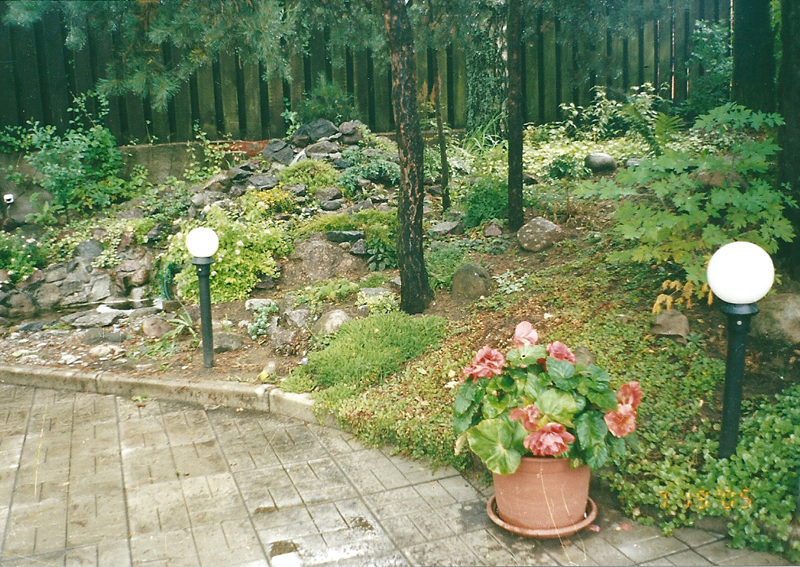 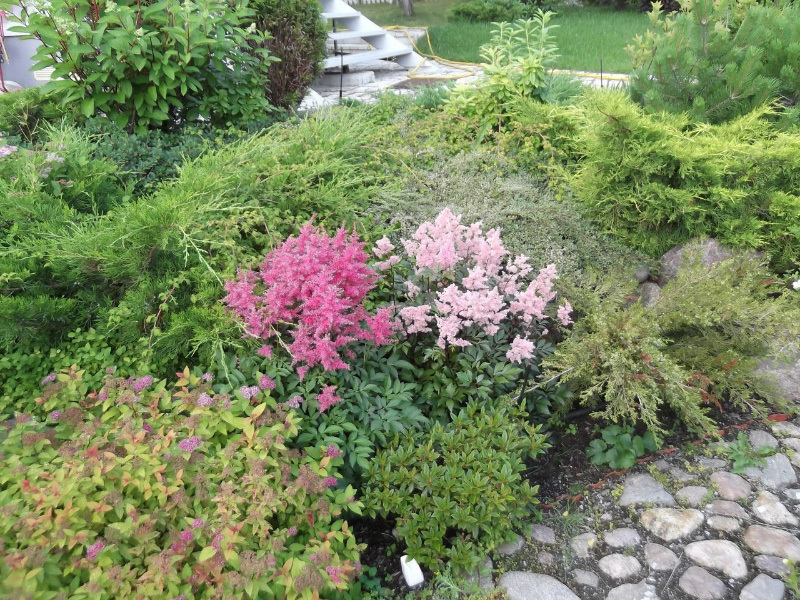 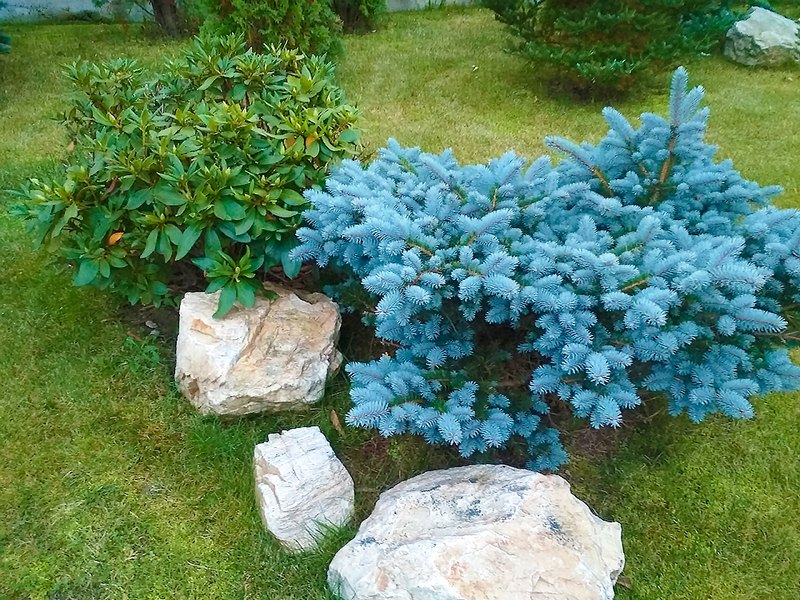 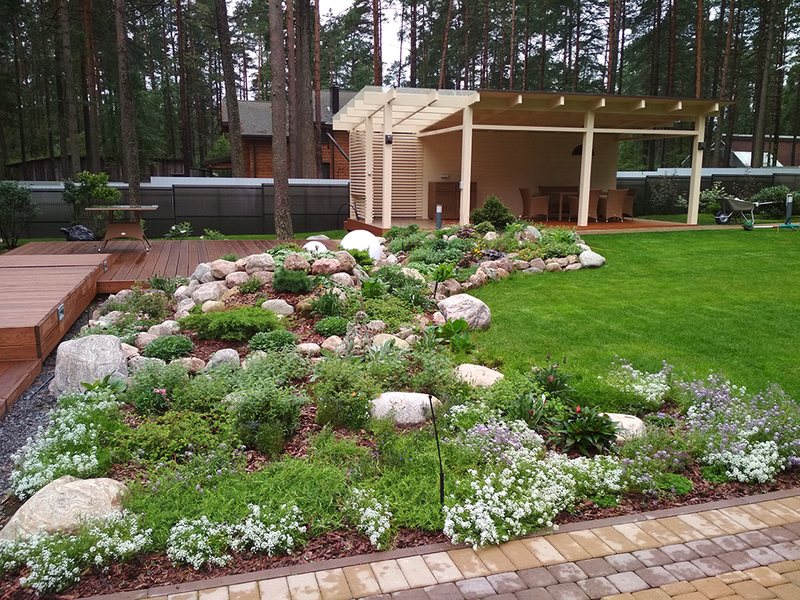 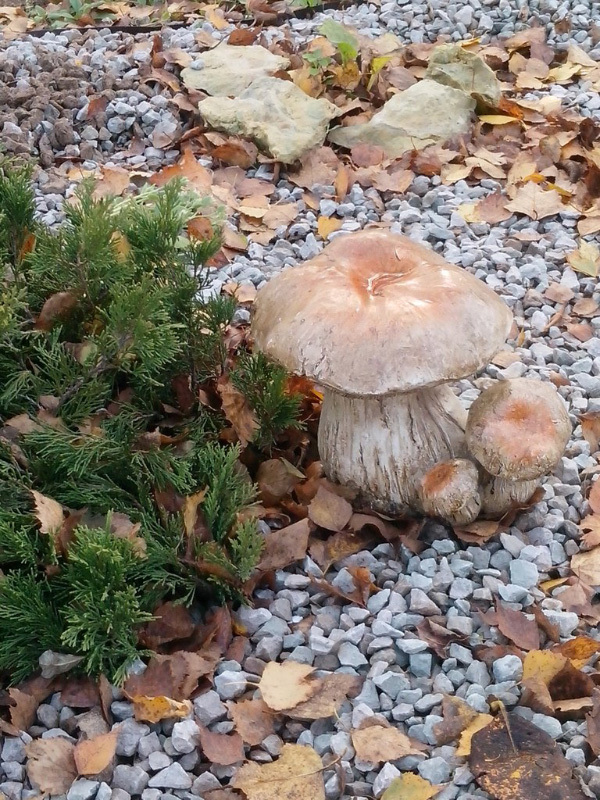 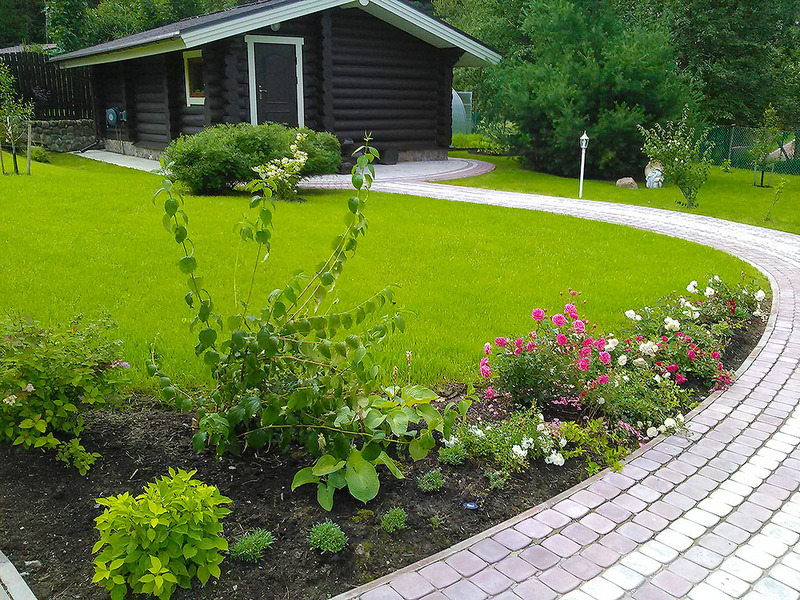 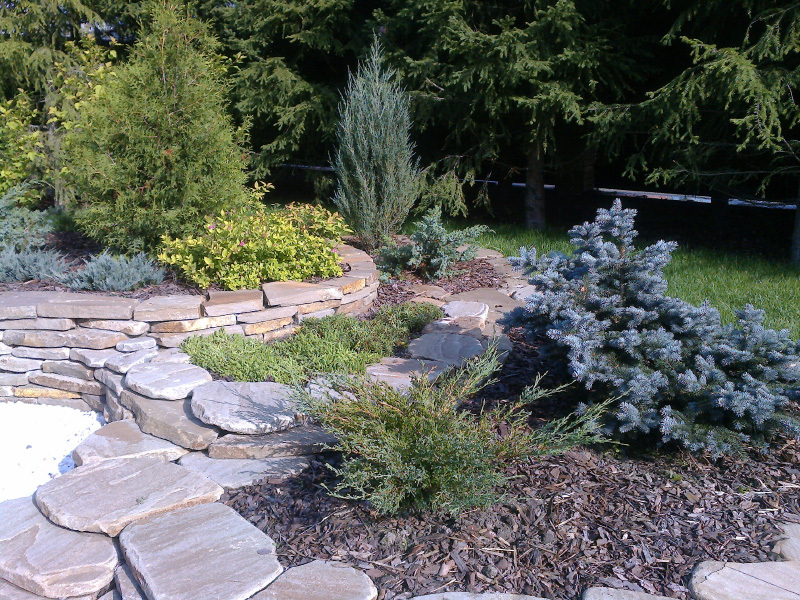 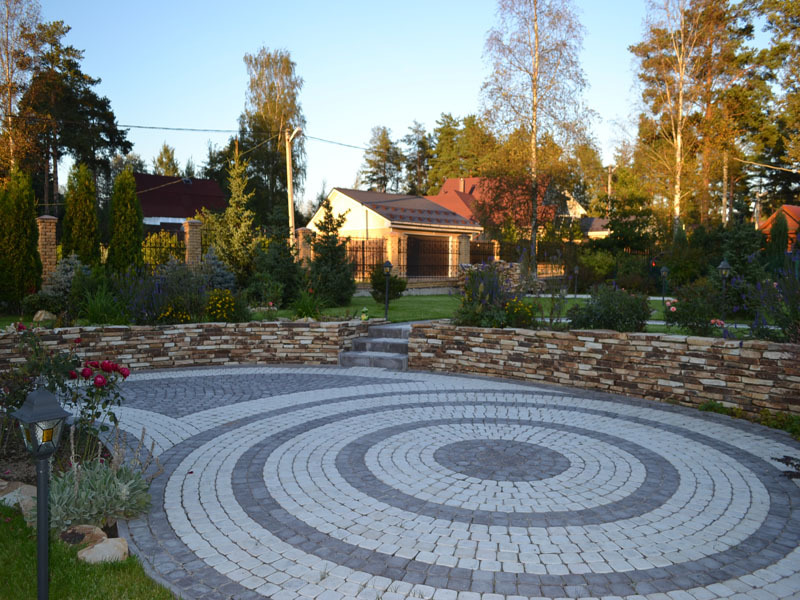 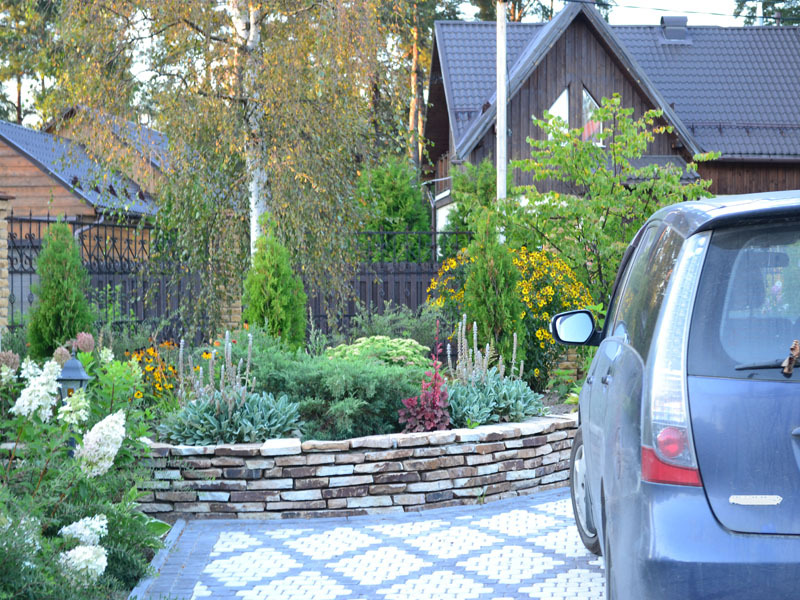 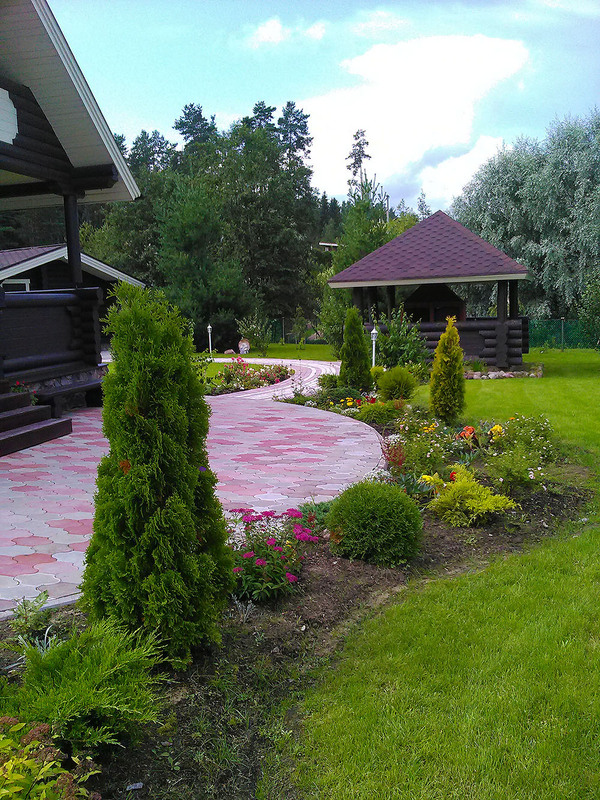 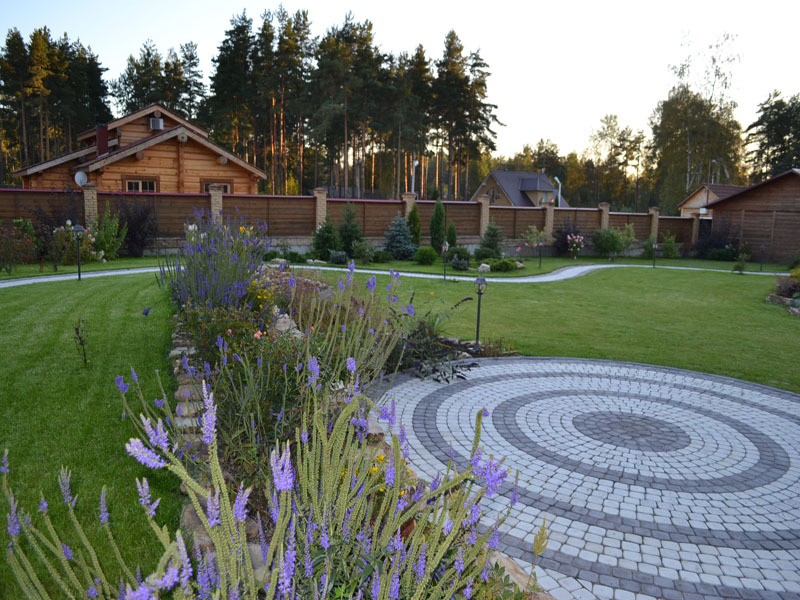 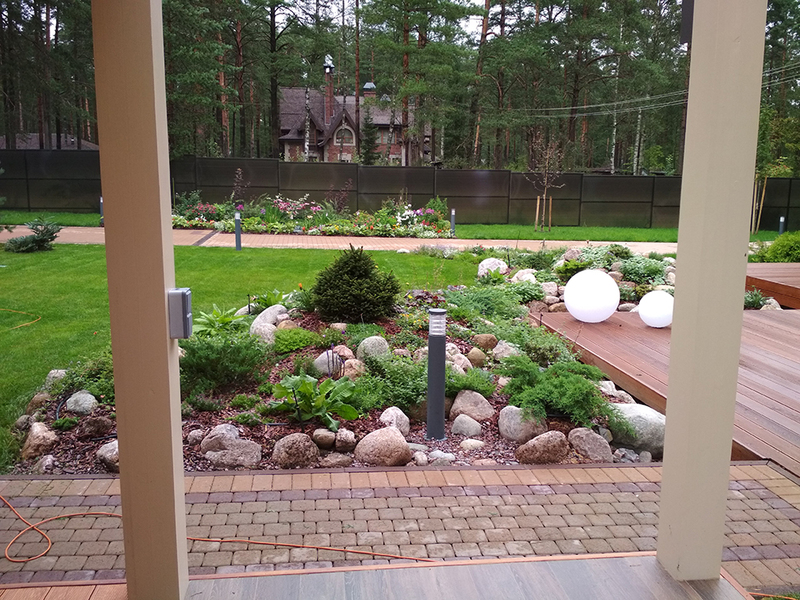 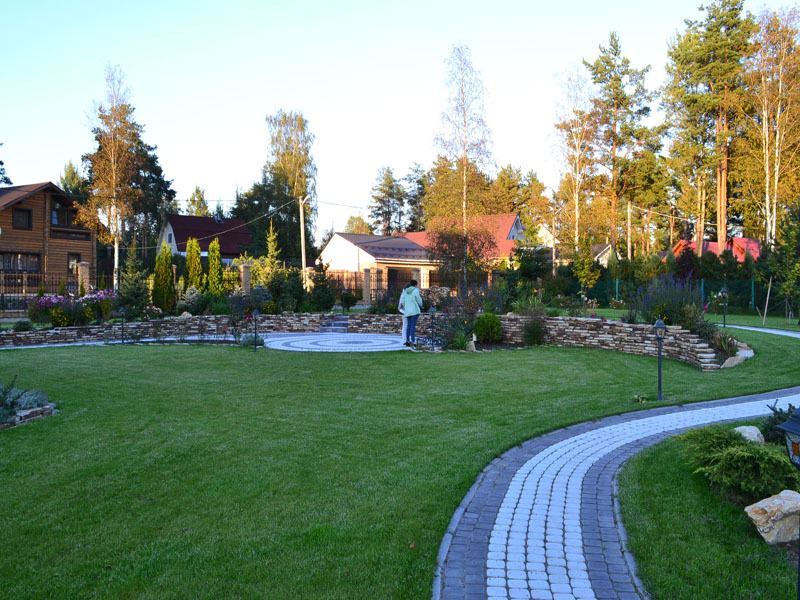 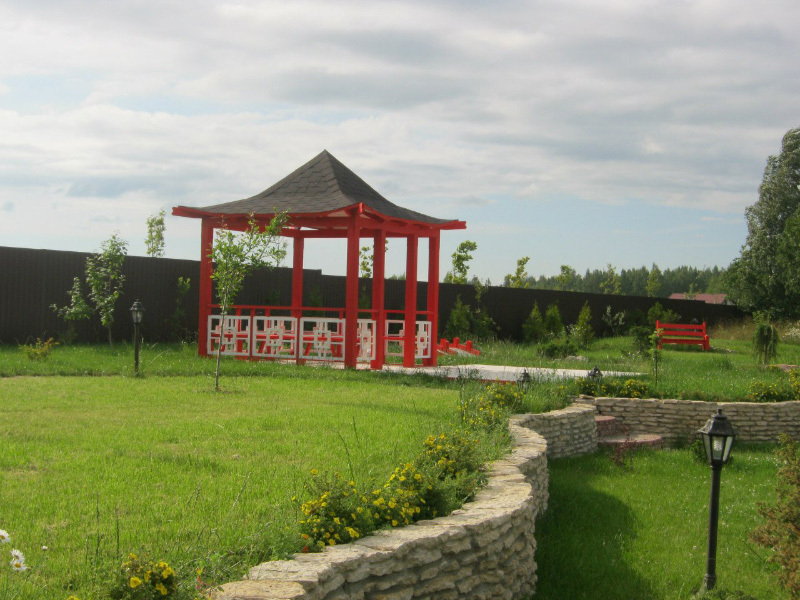 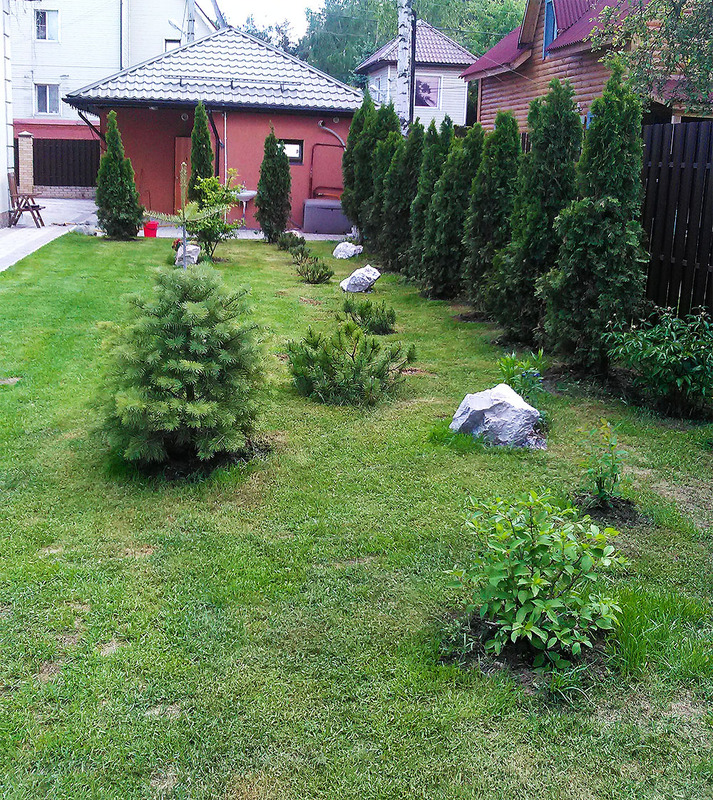 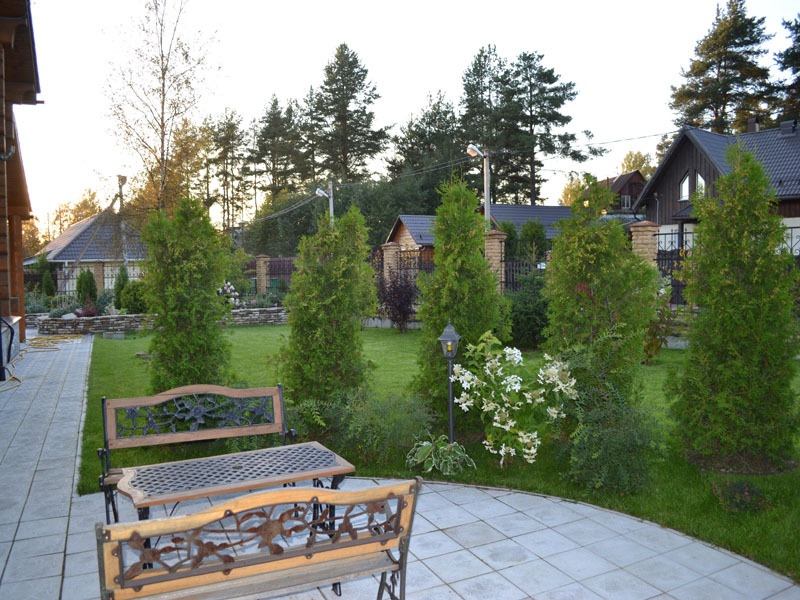 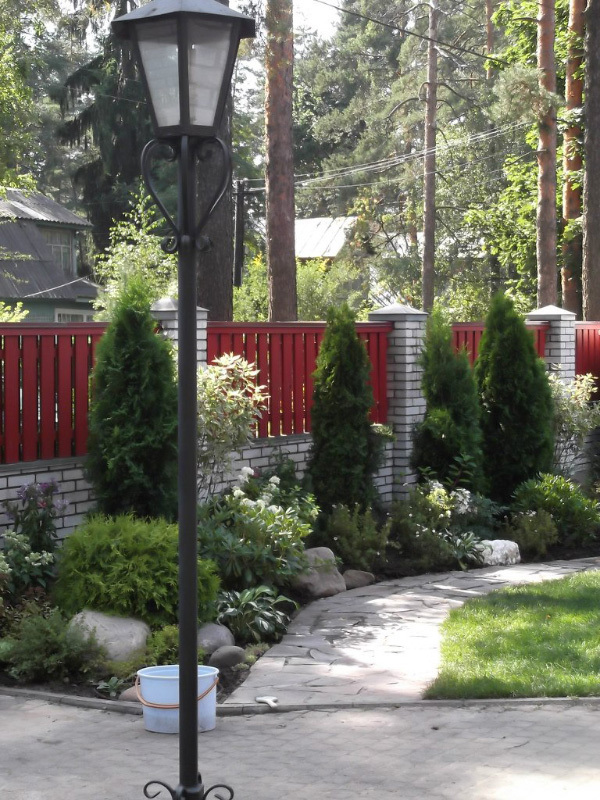 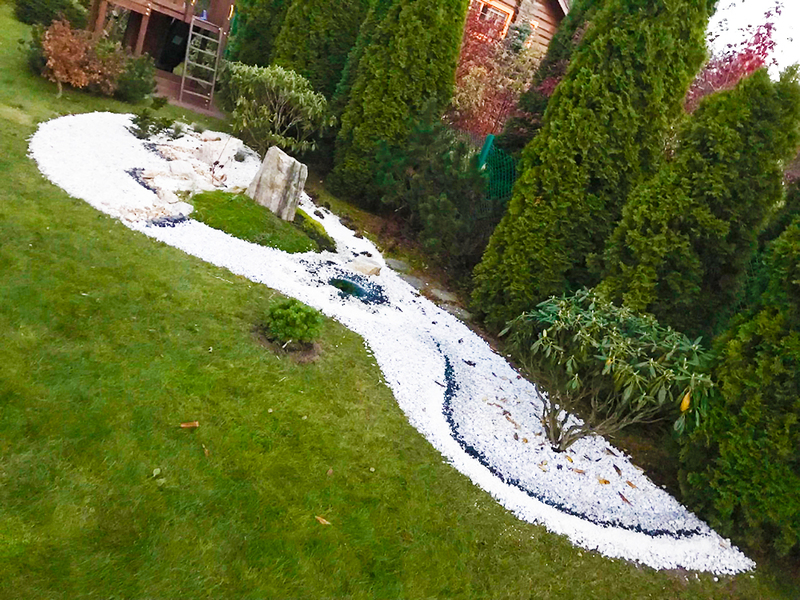 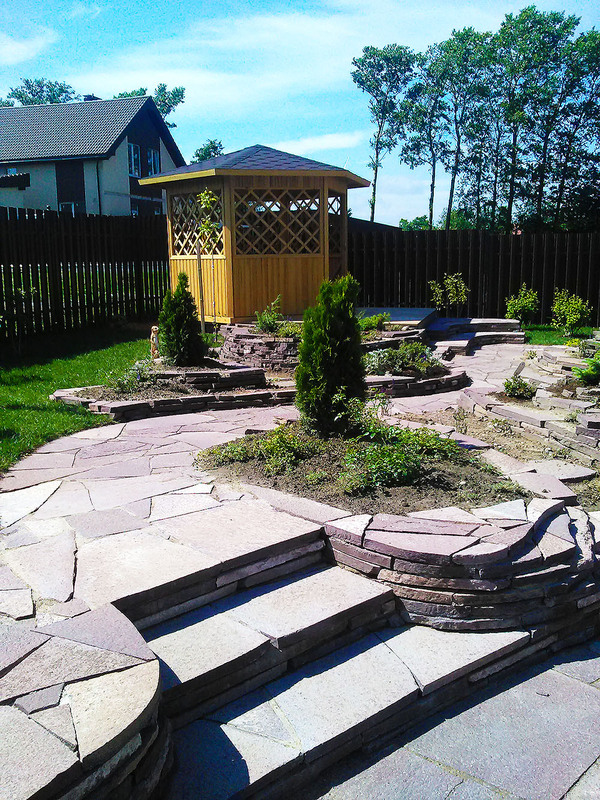 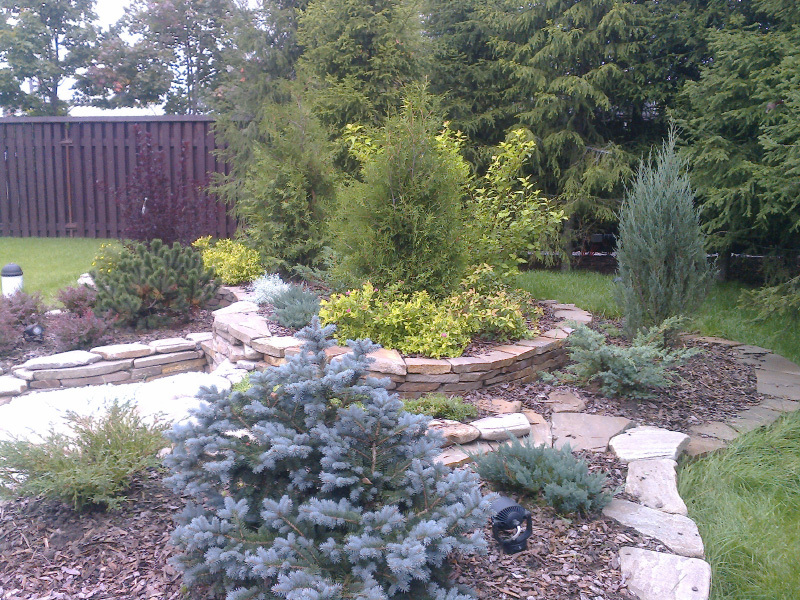 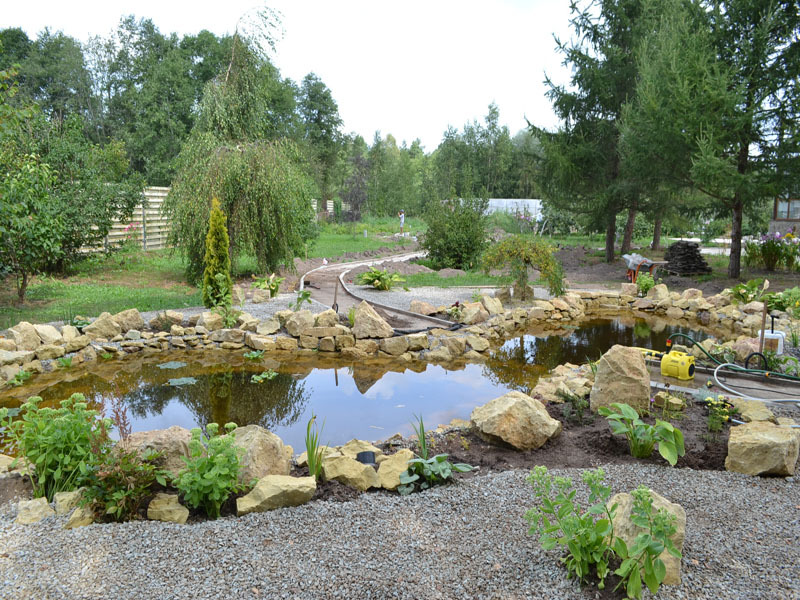 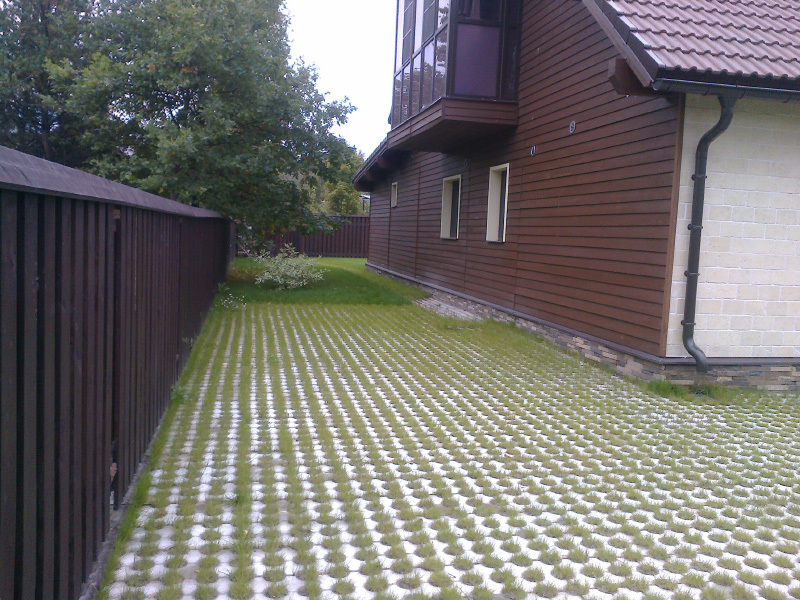 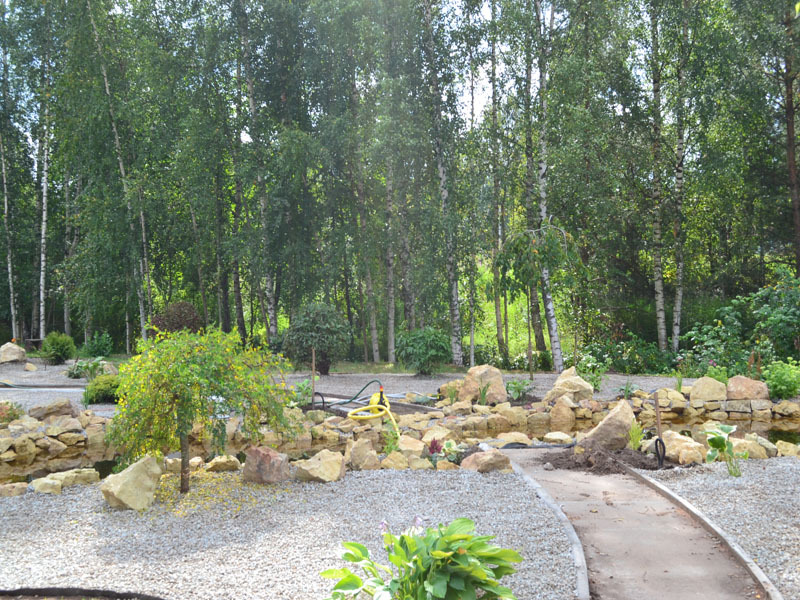 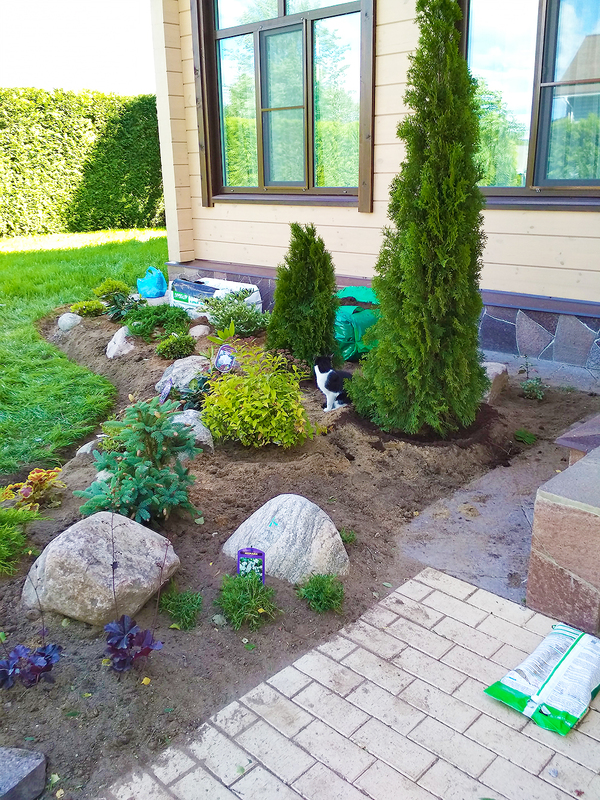 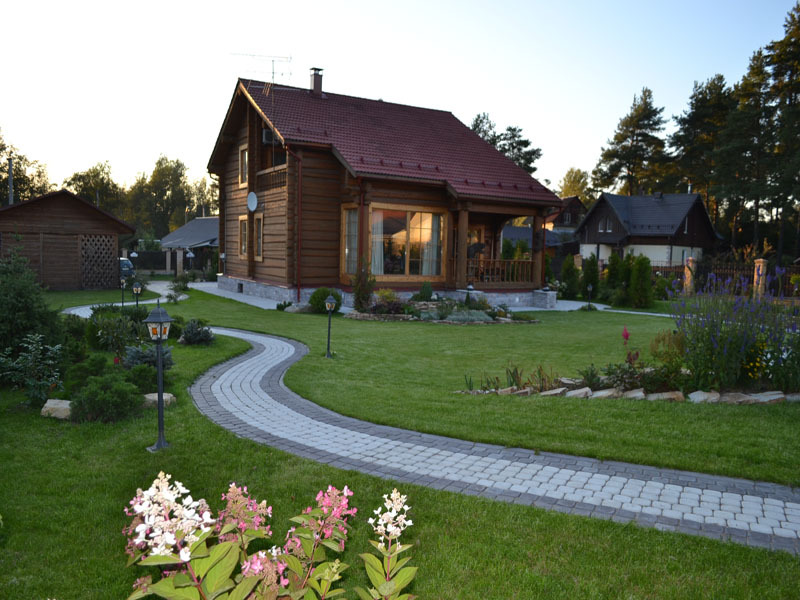 Now Russia has a growing interest in landscape design ландшафтному дизайну, and this industry is rapidly developing. 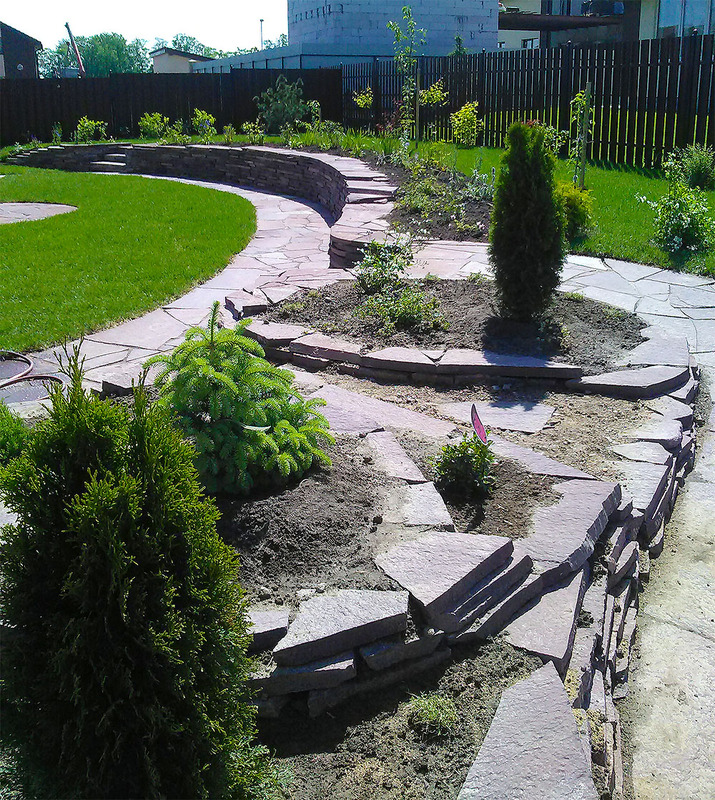 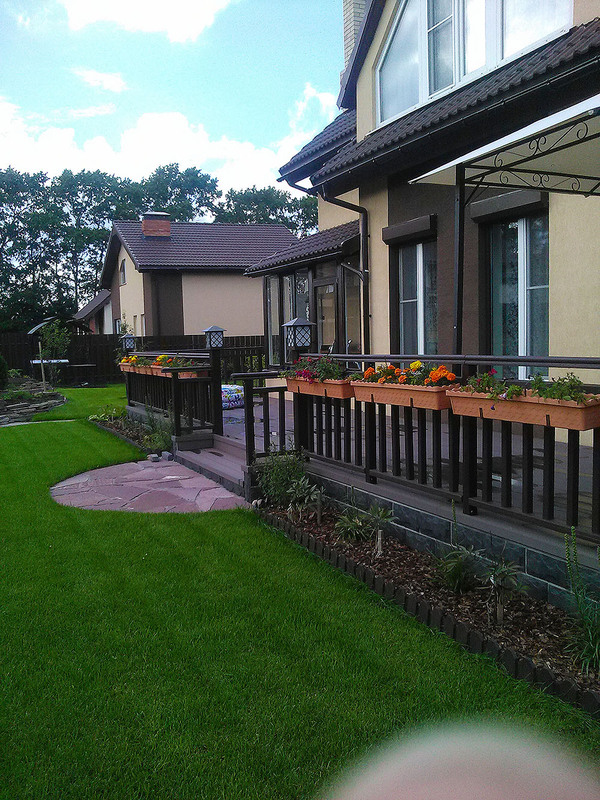 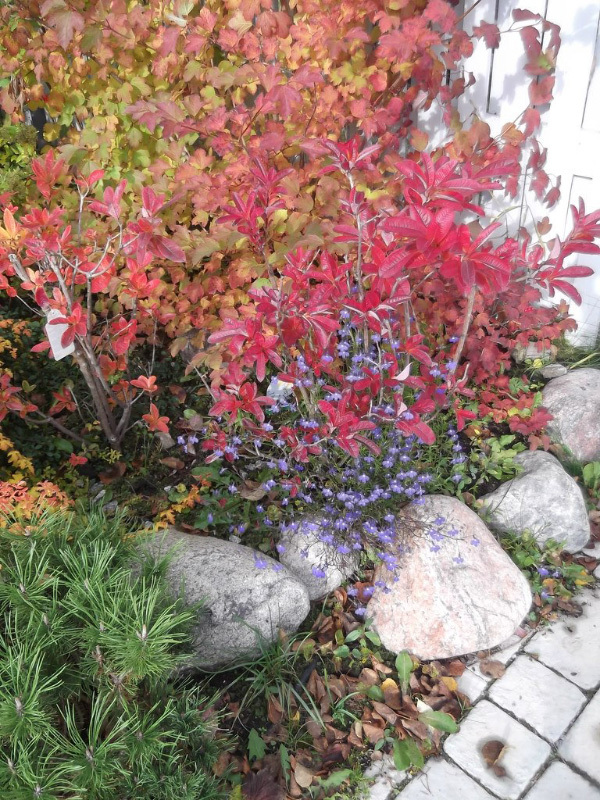 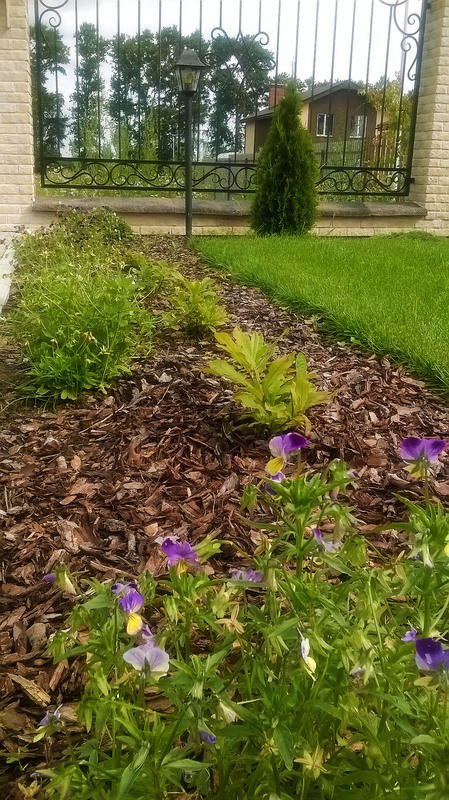 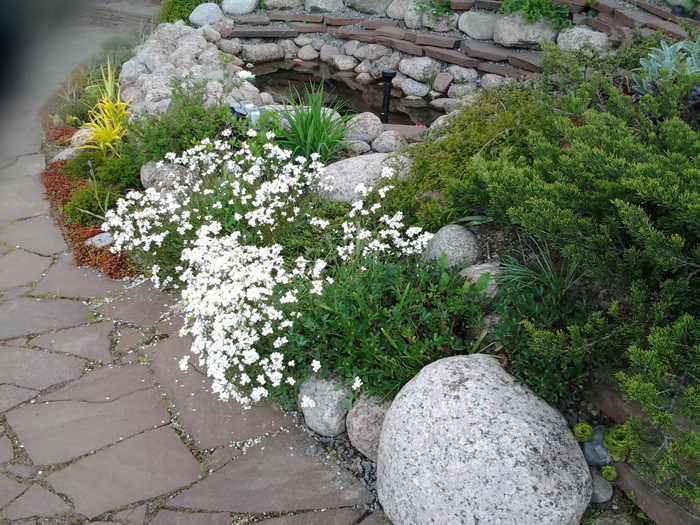 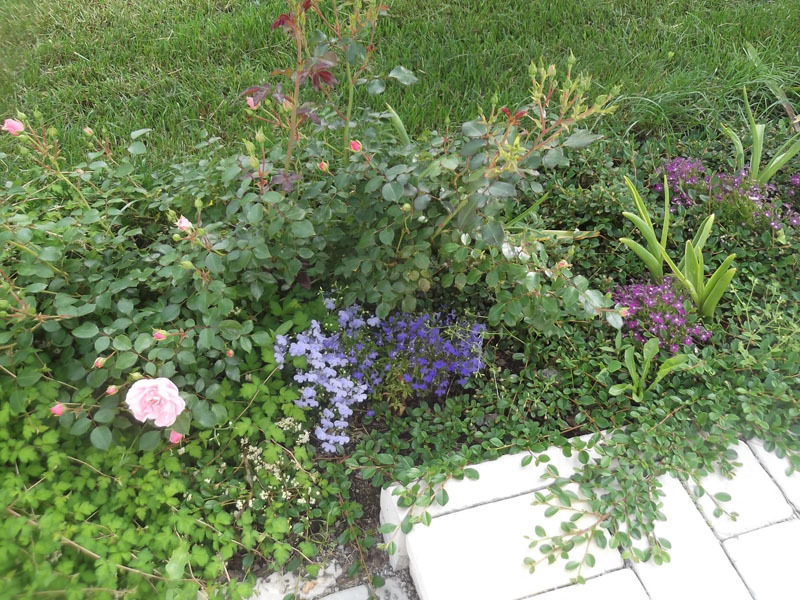 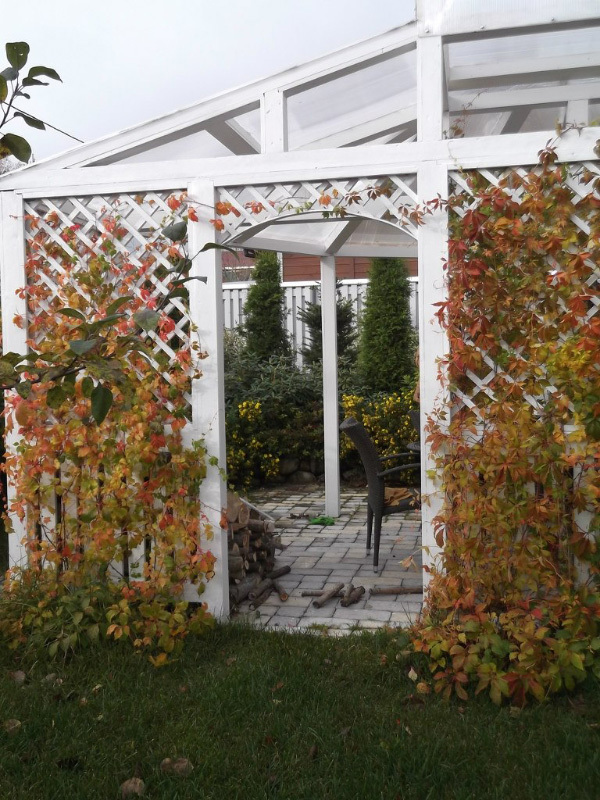 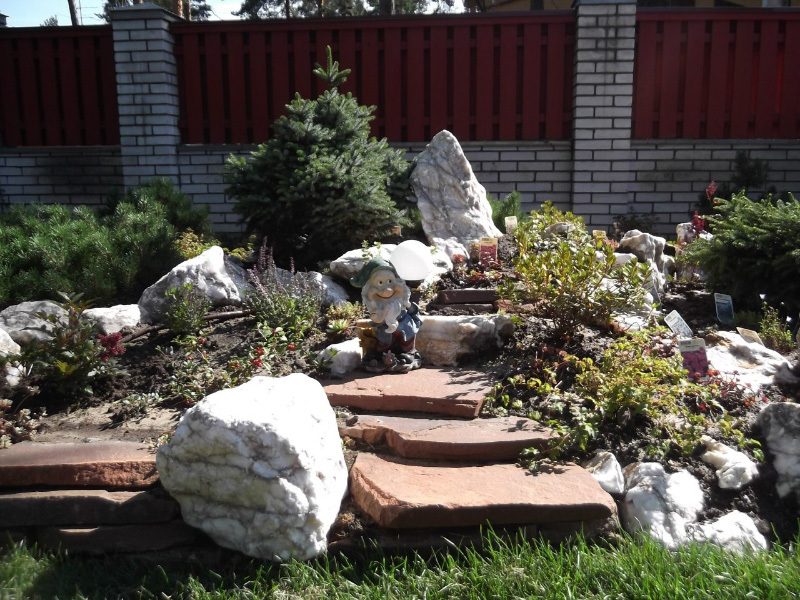 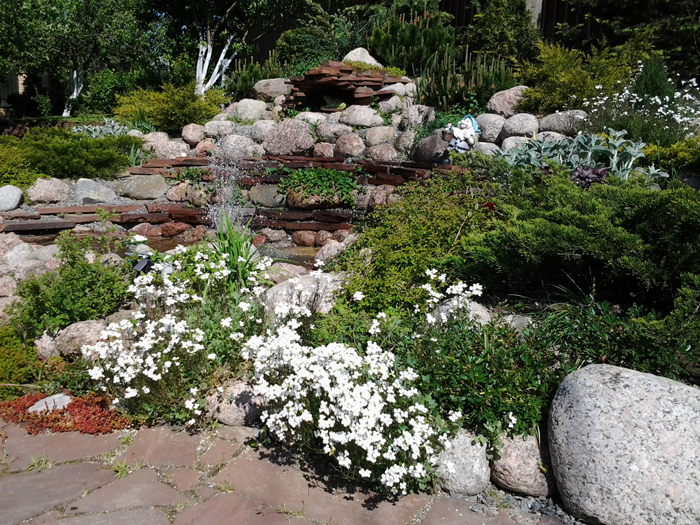 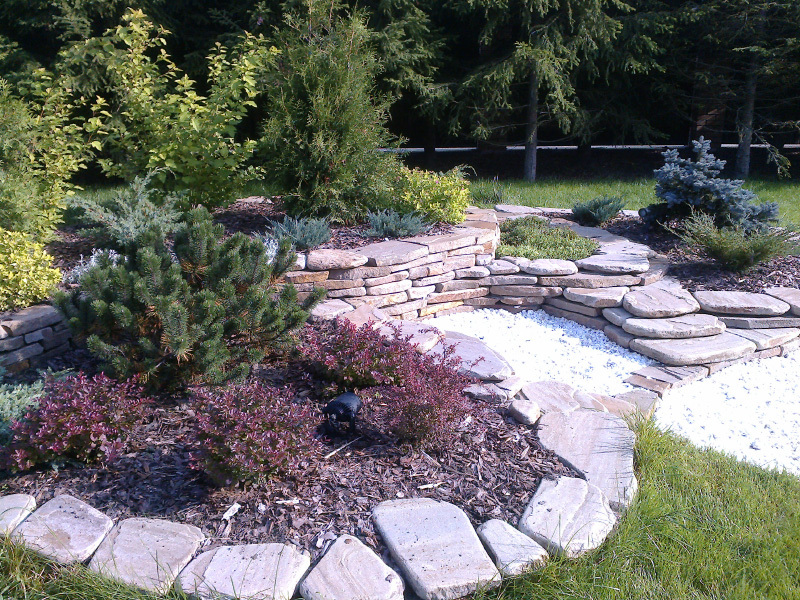 We have many talented landscape architects, who create gardens for customers in a variety of styles from classic to contemporary. 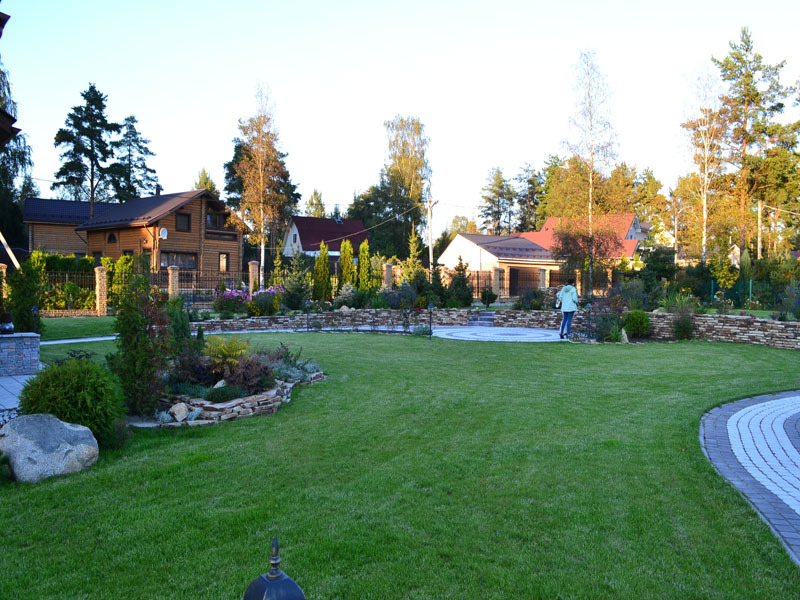 The average plot size of such customers - 20-50 acres. 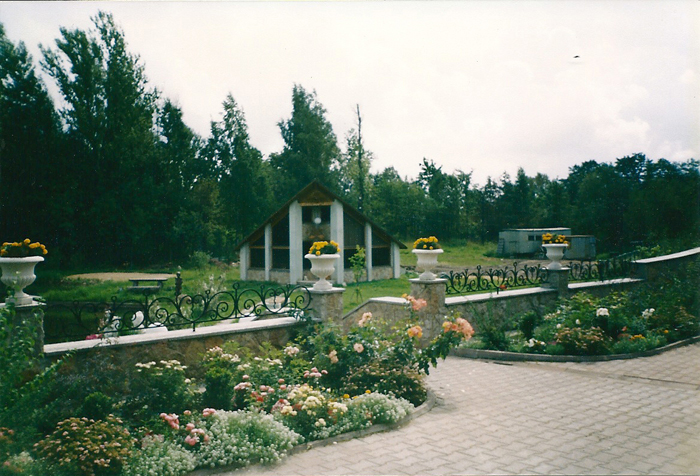 Recently there was a tendency to fly away from large areas of the city, an area of ​​several hectares, and build it with a large manor house усадьбы stables, a farmyard, an apple orchard, fish pond, sometimes even with their own church с большим домом, конюшней, скотным двором, яблоневым садом, рыбным прудом, иногда даже с собственной церковью. 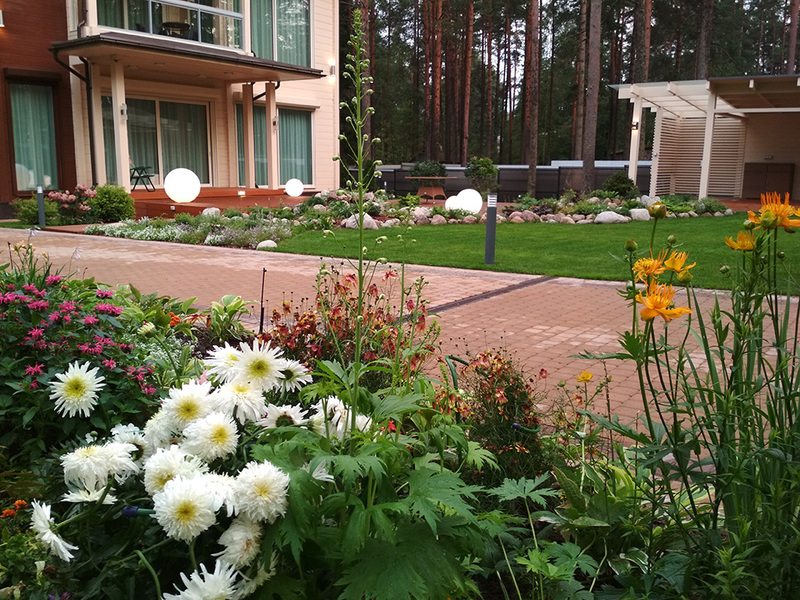 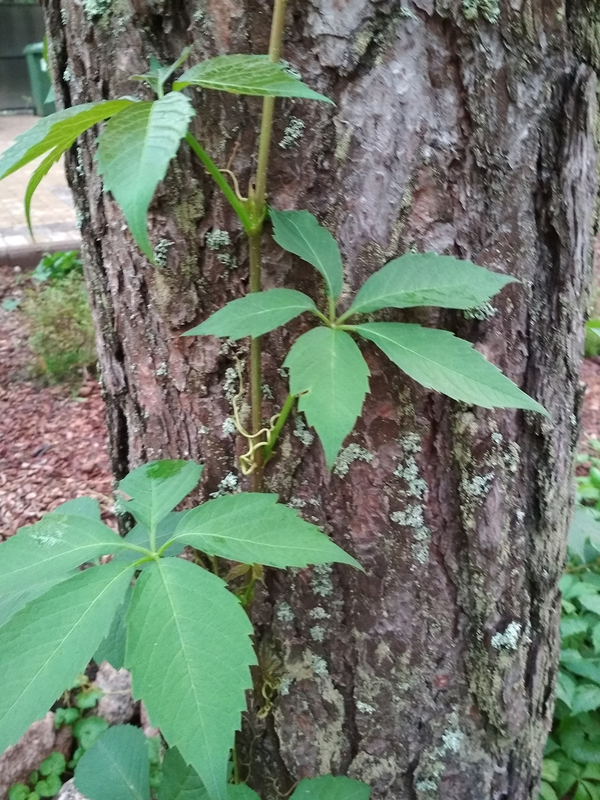 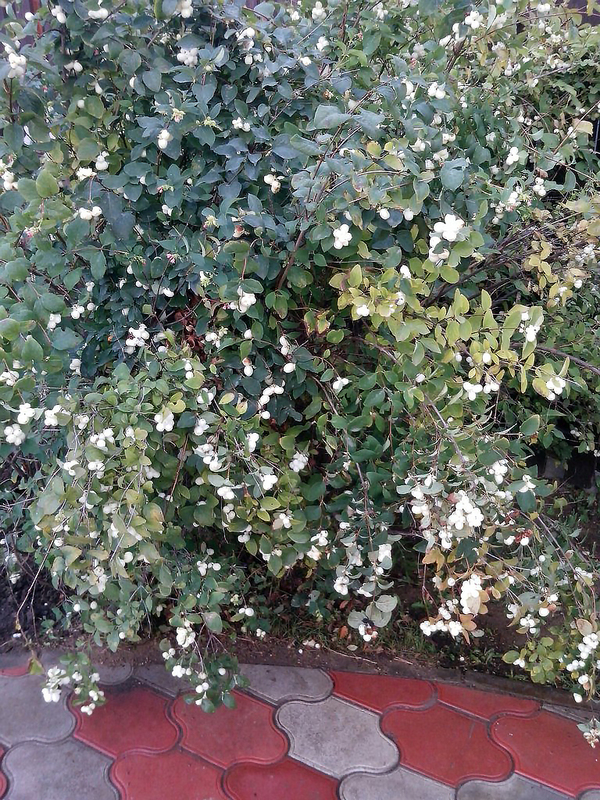 And all this vraschaetsya around greenery, flowers and trees. 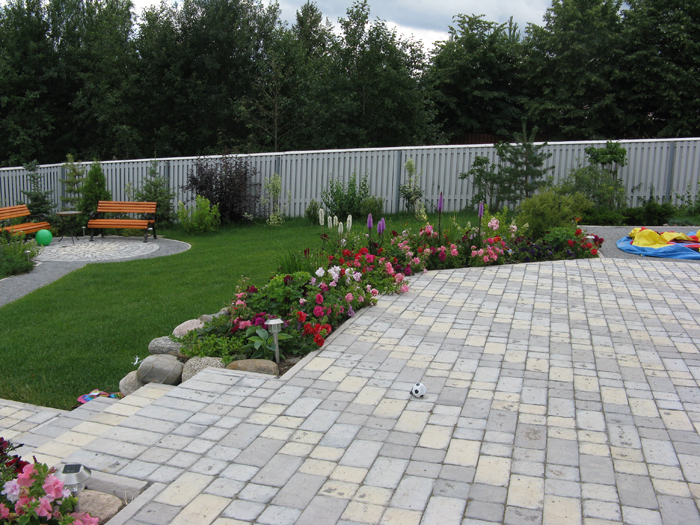 Lots of light, lots of air as well as have a place where to place the child or the sports field. 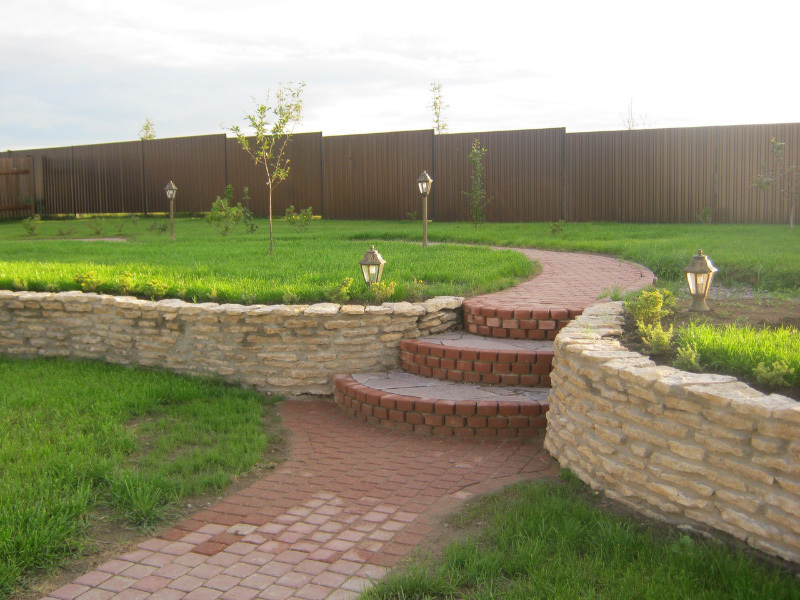 Virtually any bold plan is feasible if the hand is a team of experienced professionals. 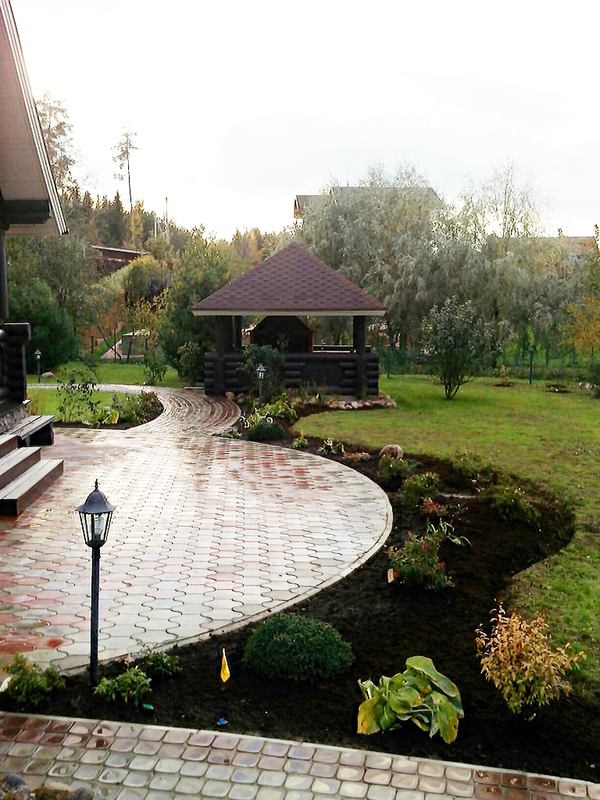 We work in St. Petersburg and Leningrad region. 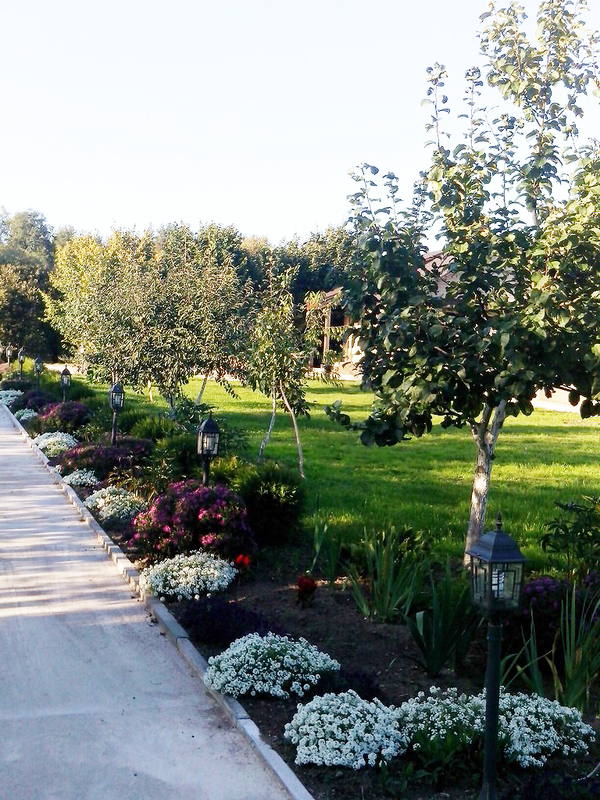 We invite you to read our work. 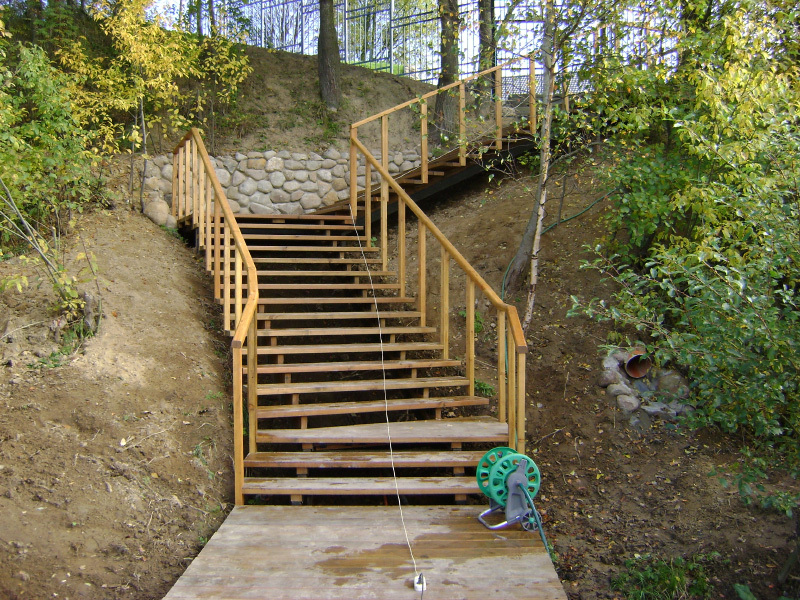 You can find a list of the works and the price of the services provided on the page Services and Prices.